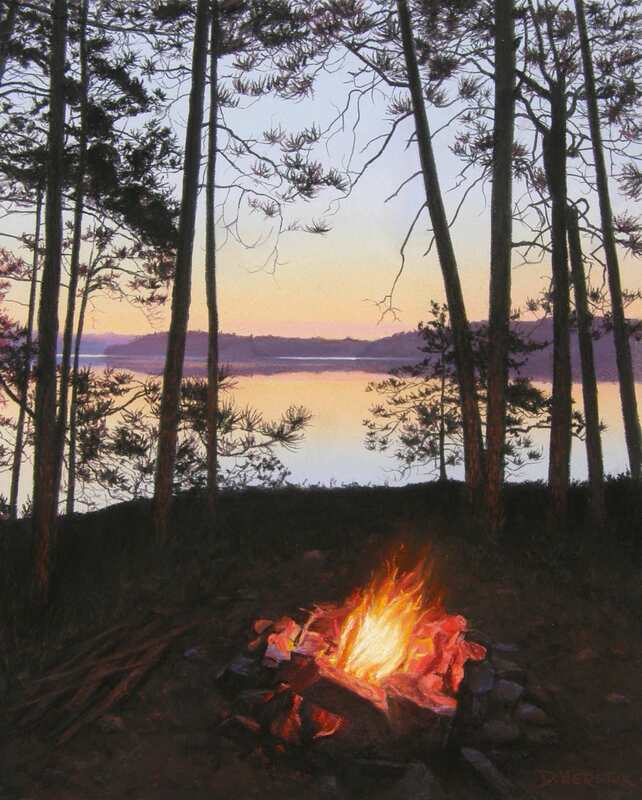 These paintings unless otherwise noted are sold and reside in private collections. 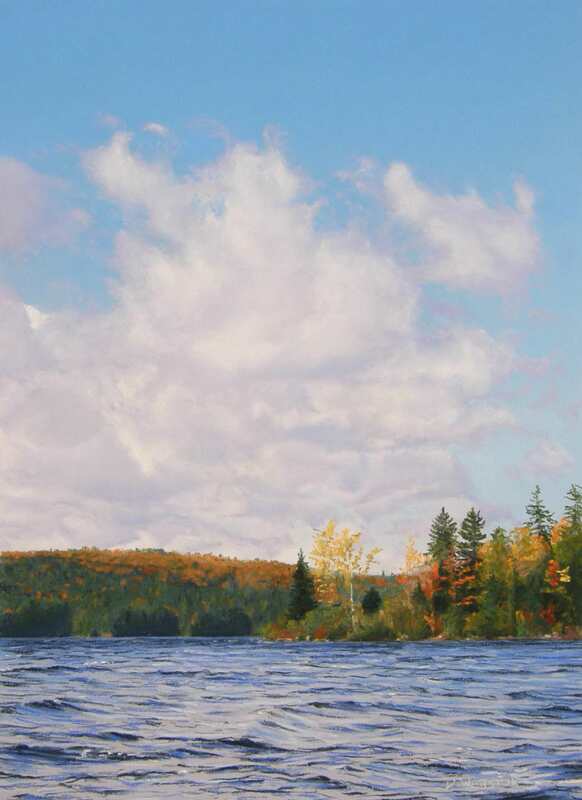 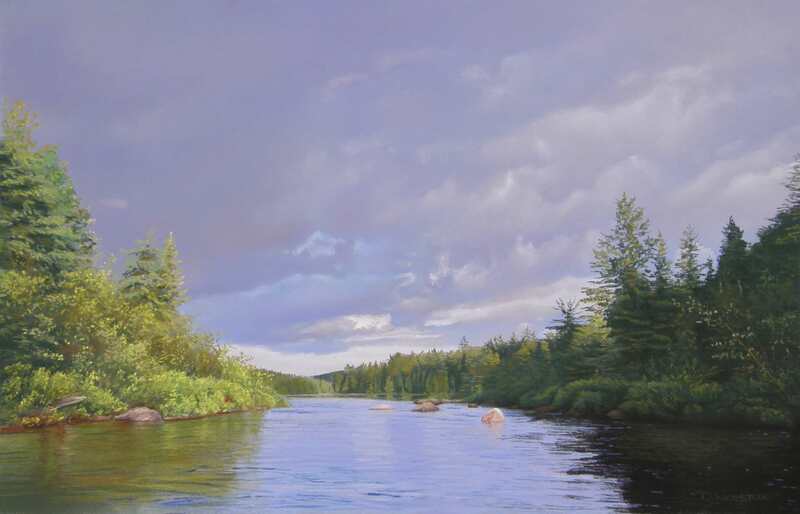 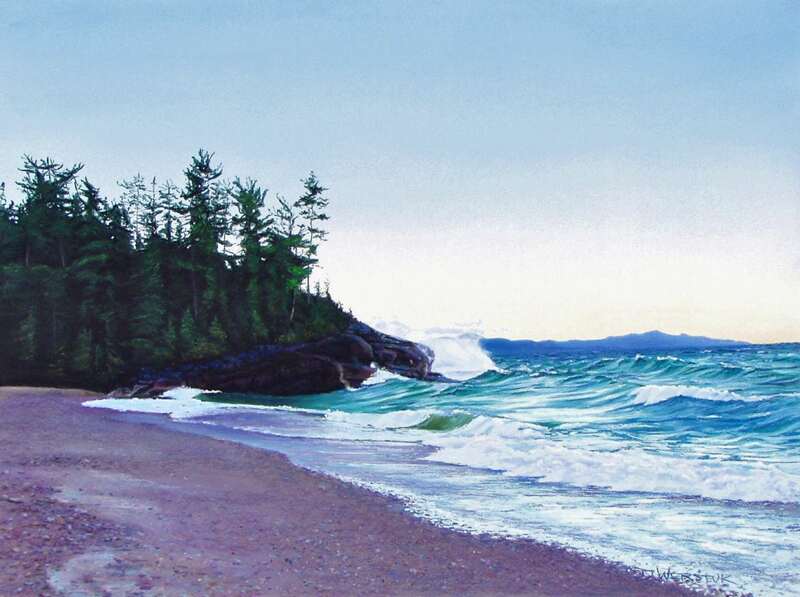 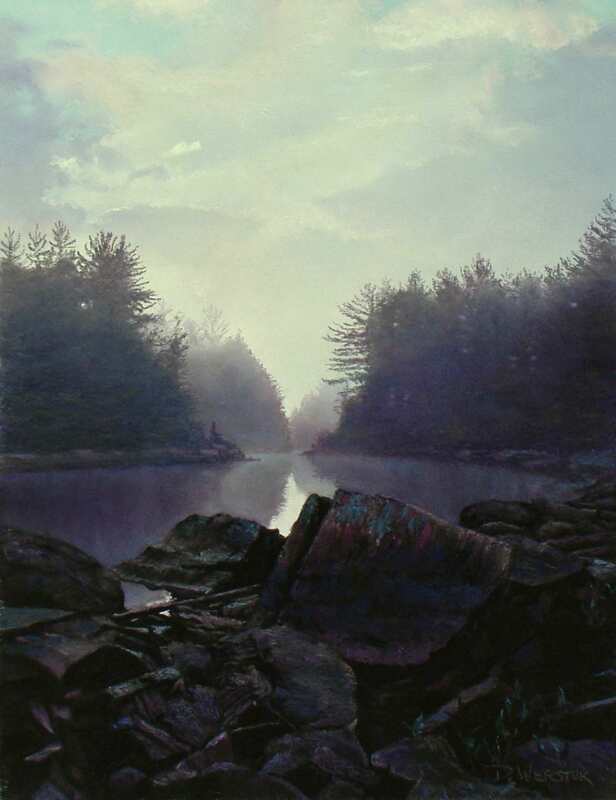 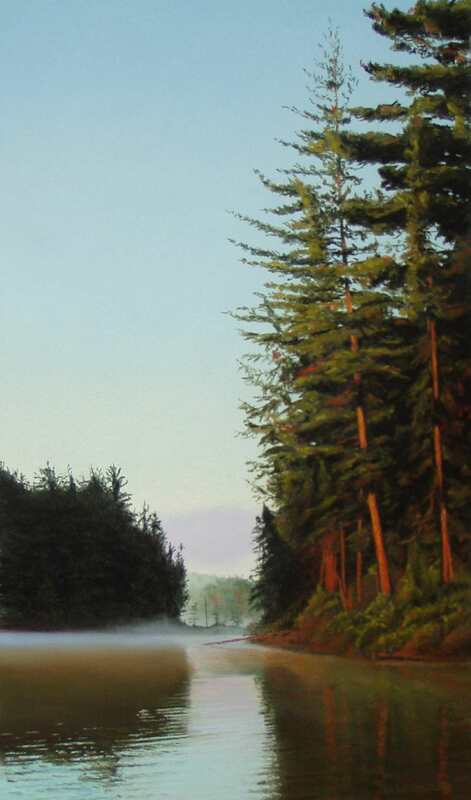 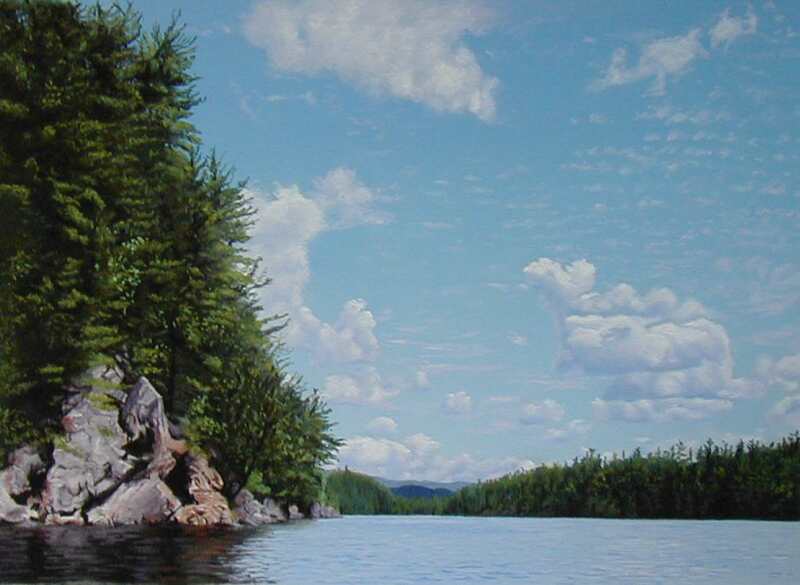 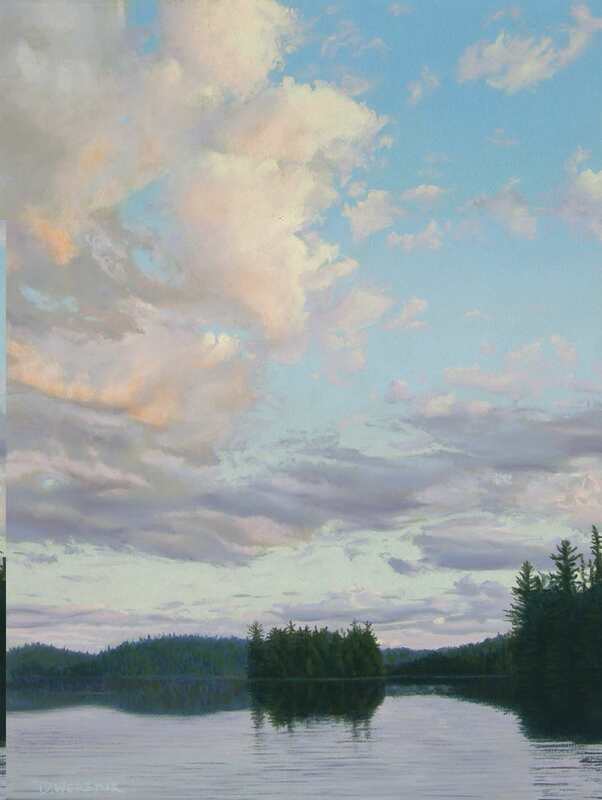 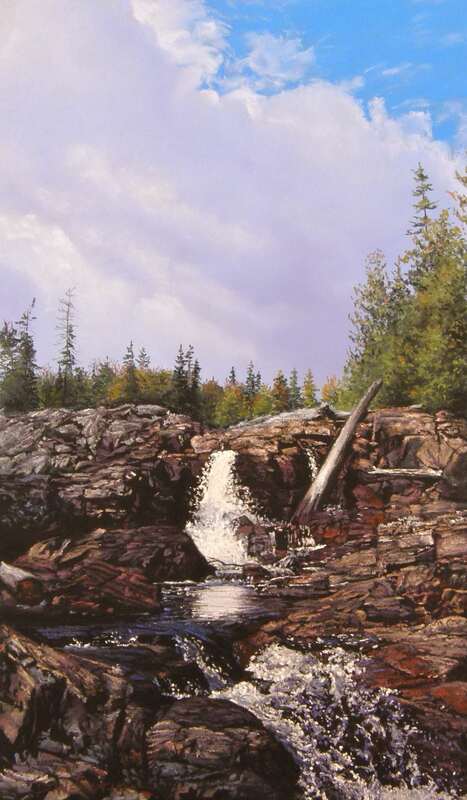 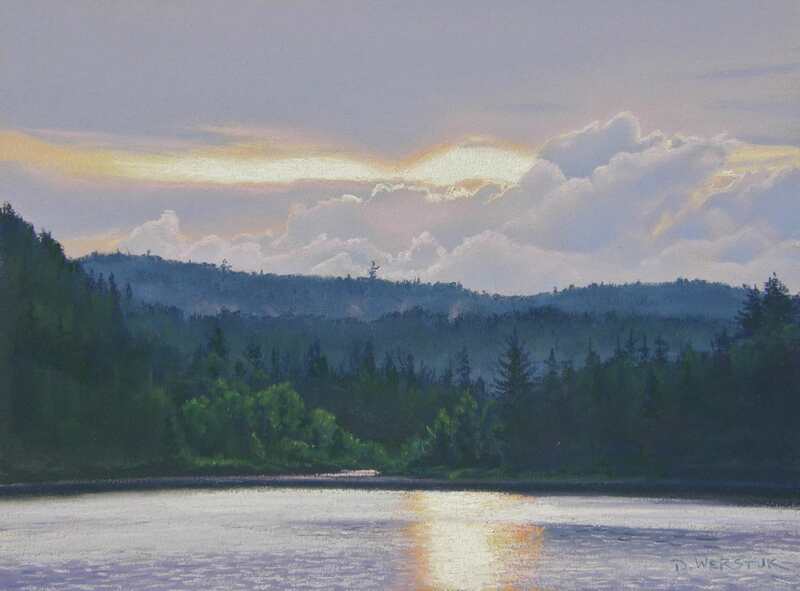 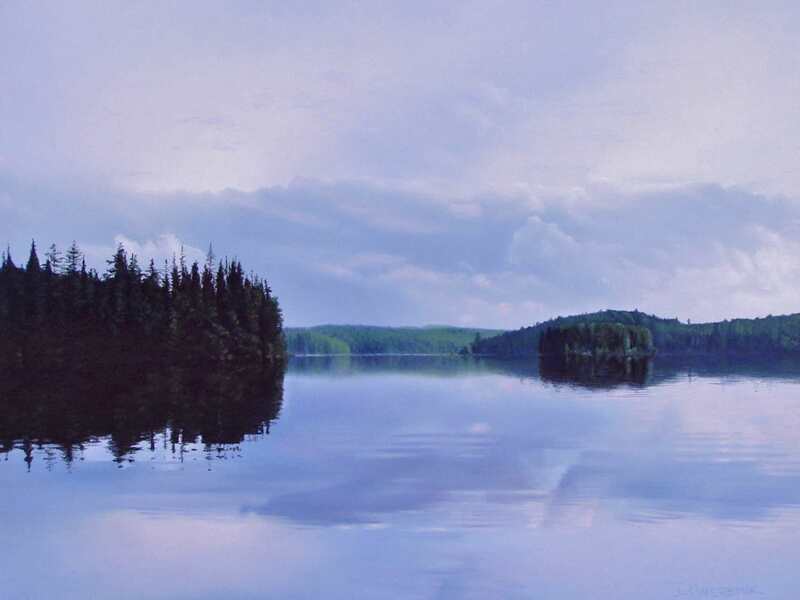 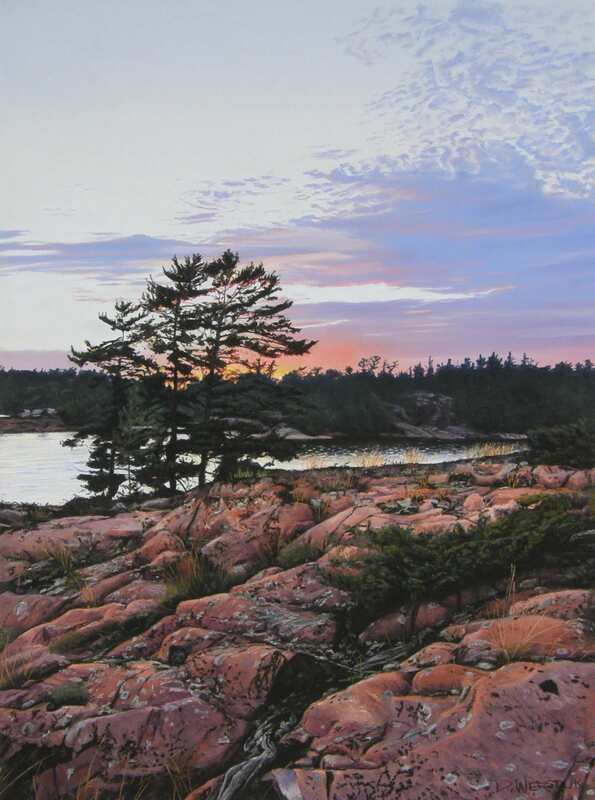 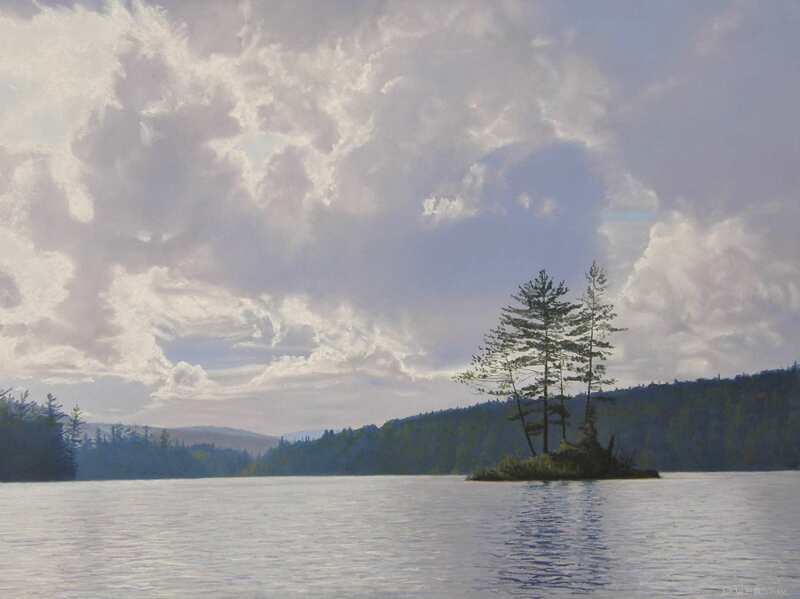 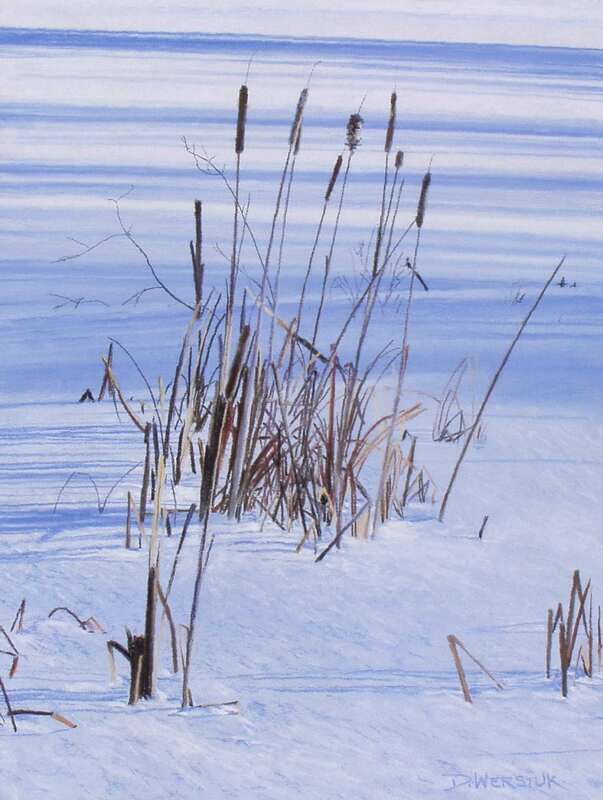 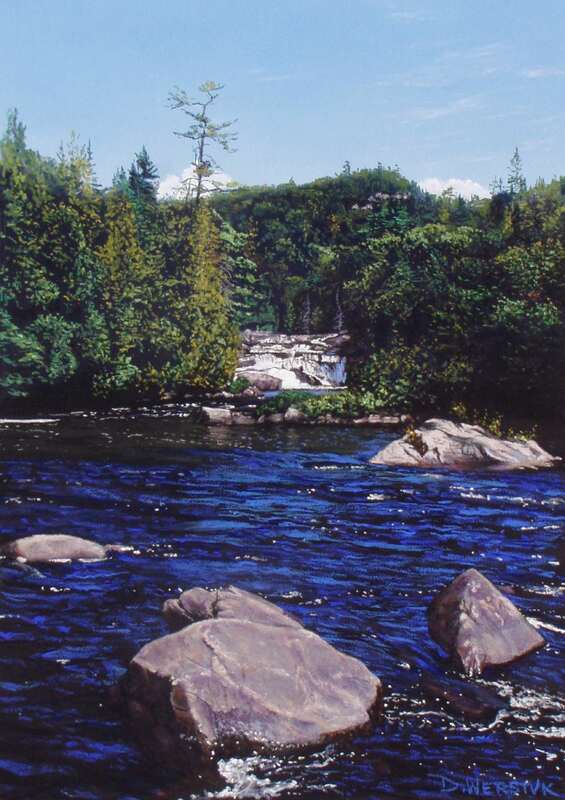 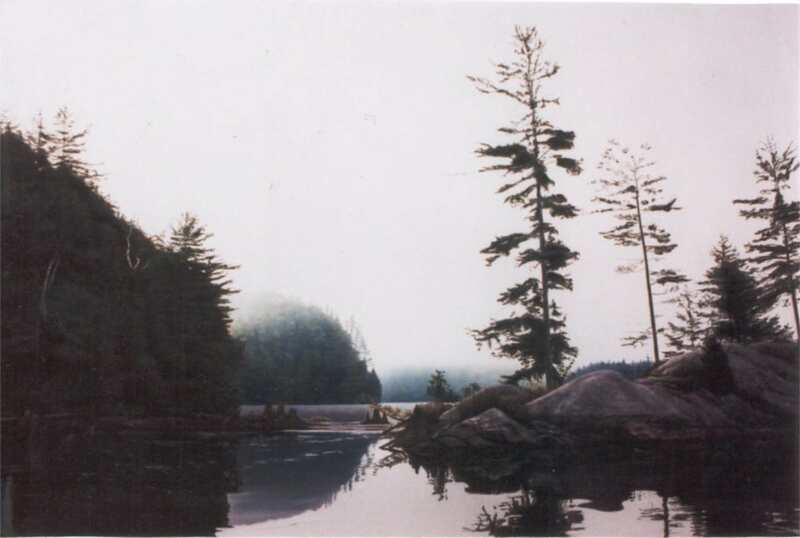 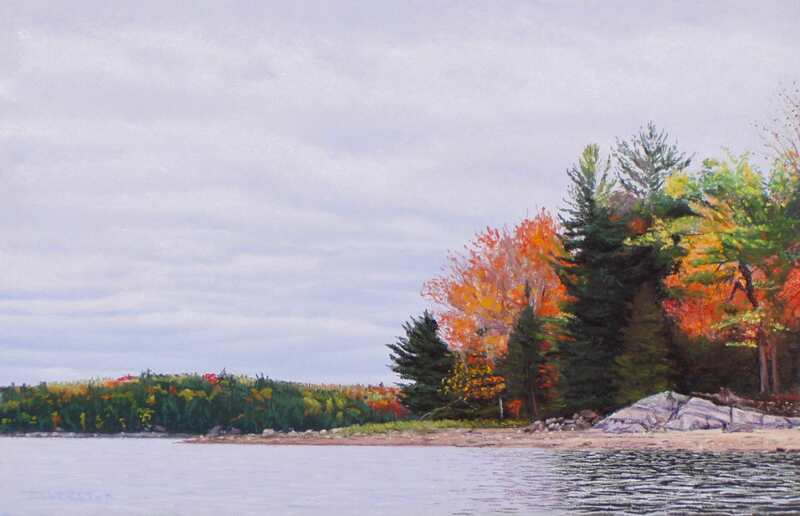 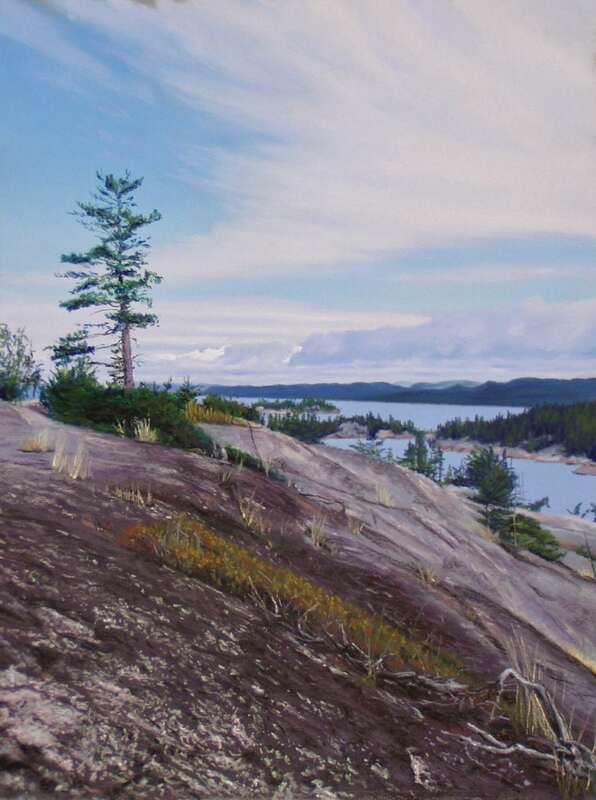 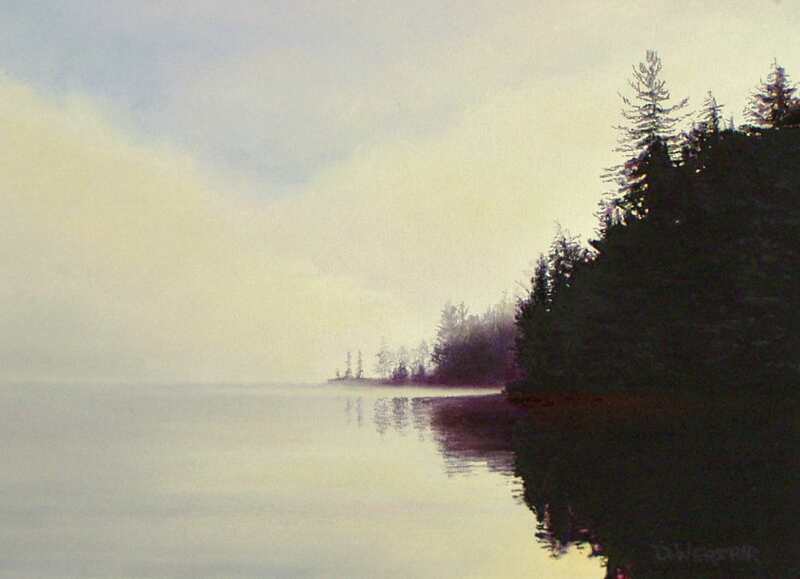 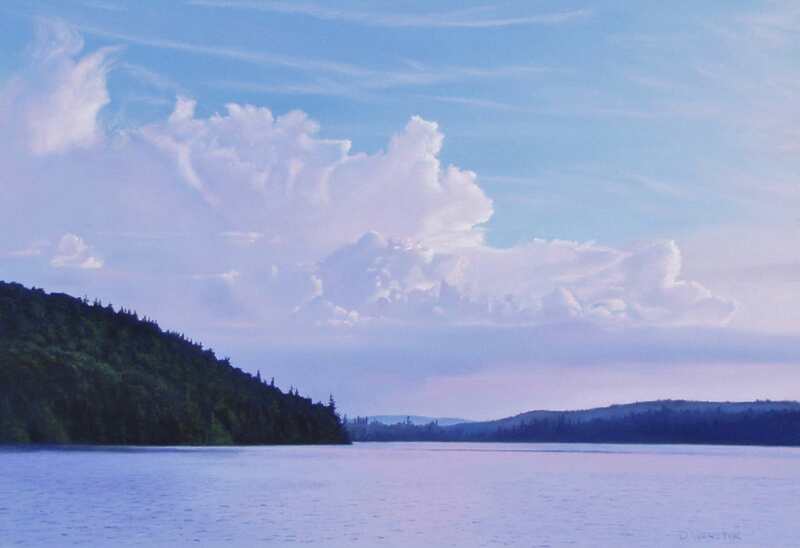 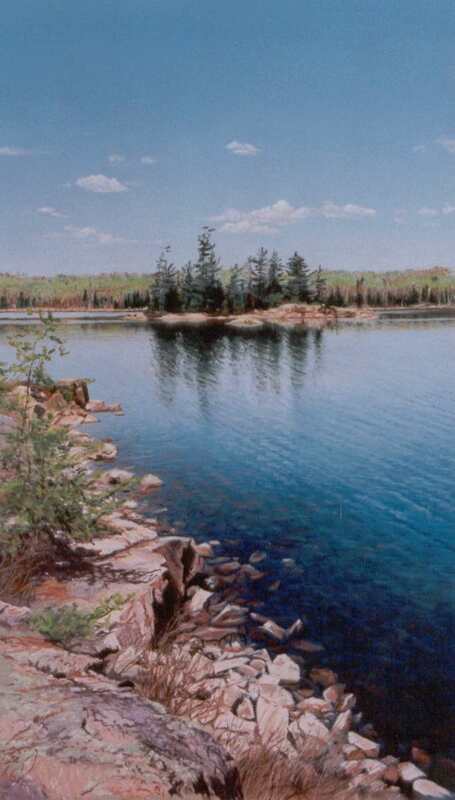 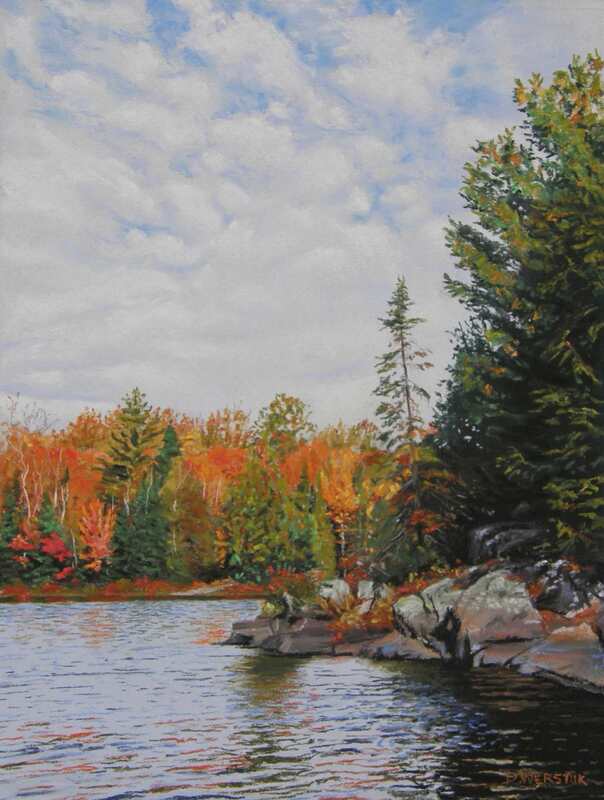 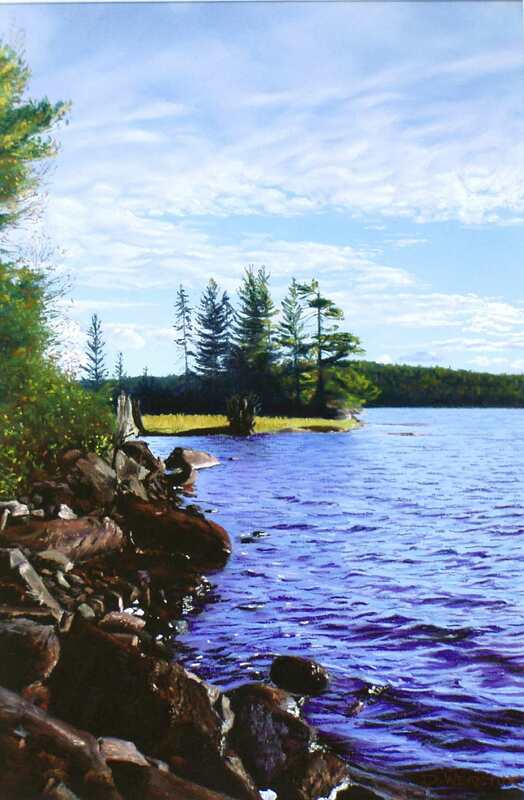 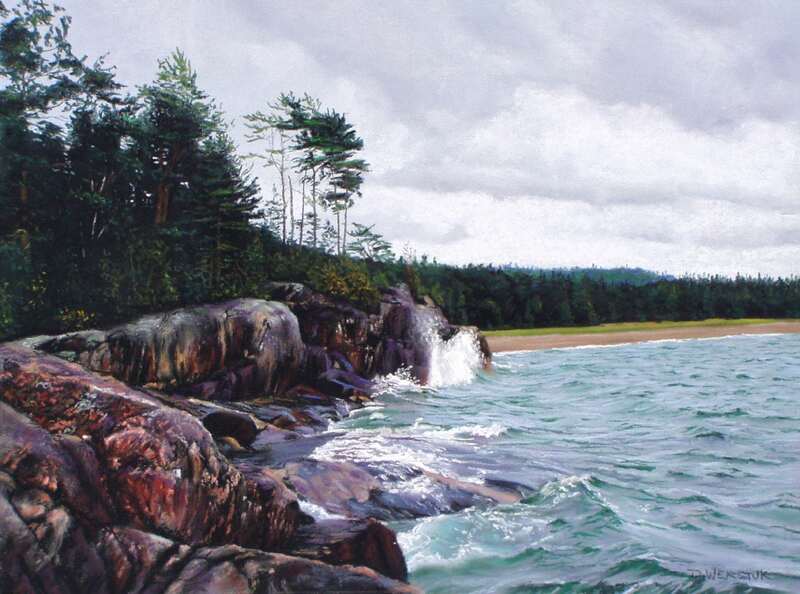 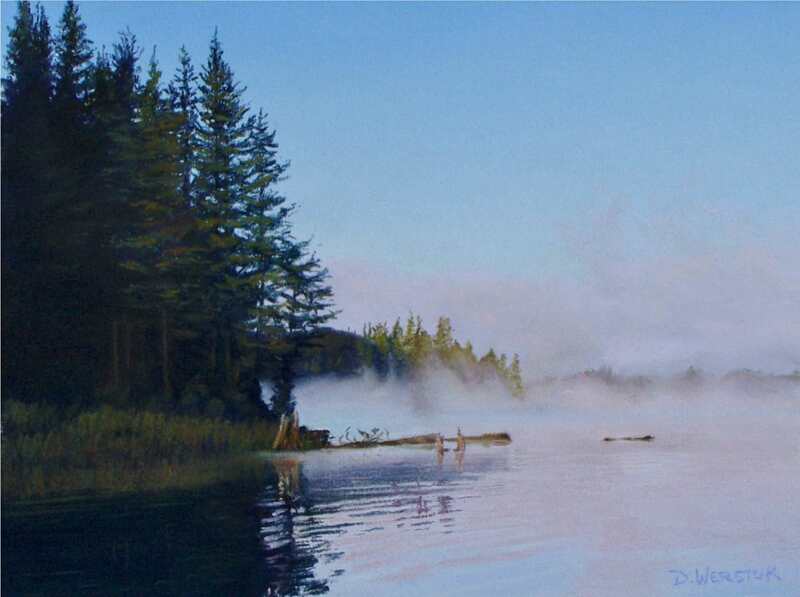 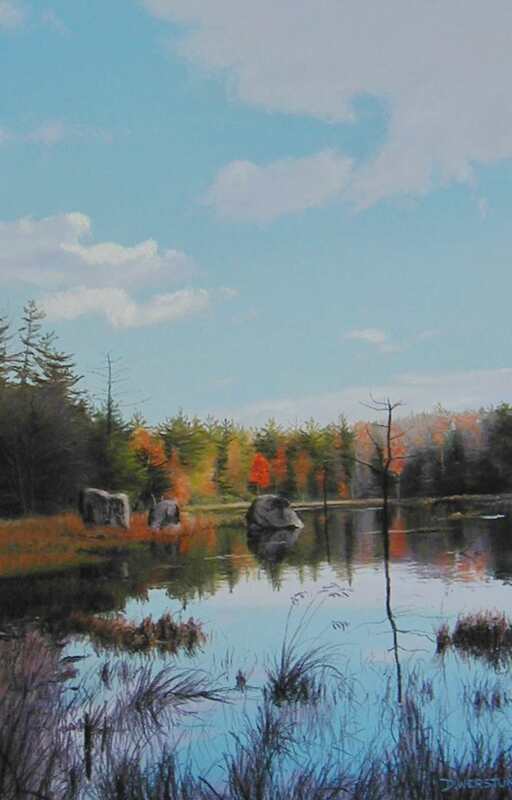 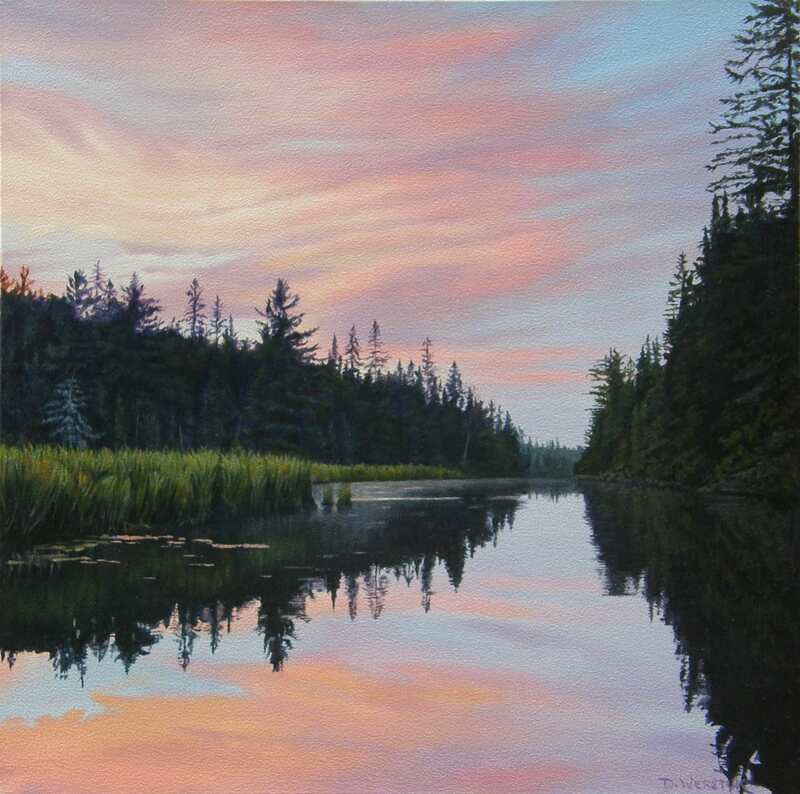 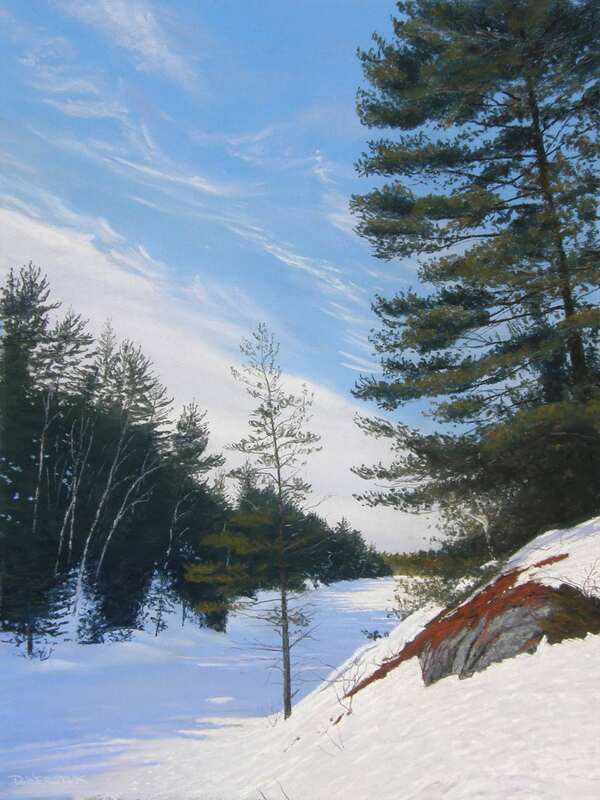 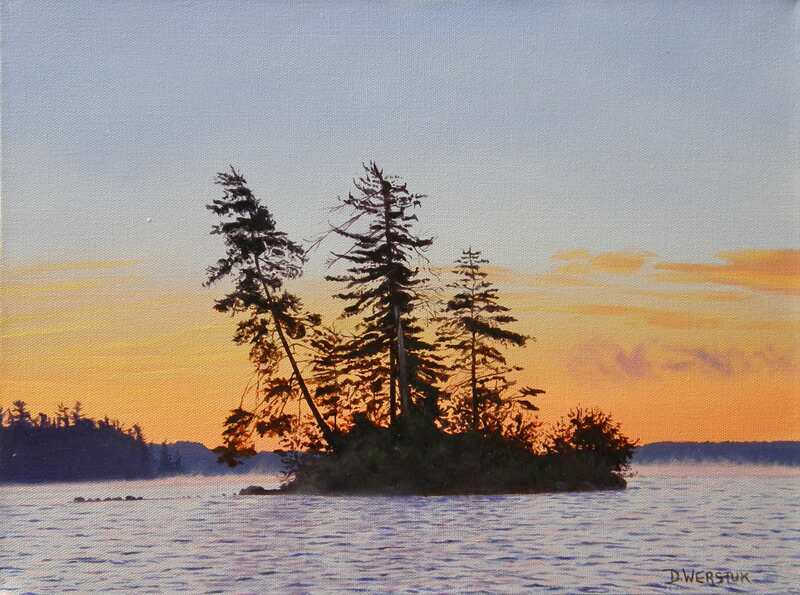 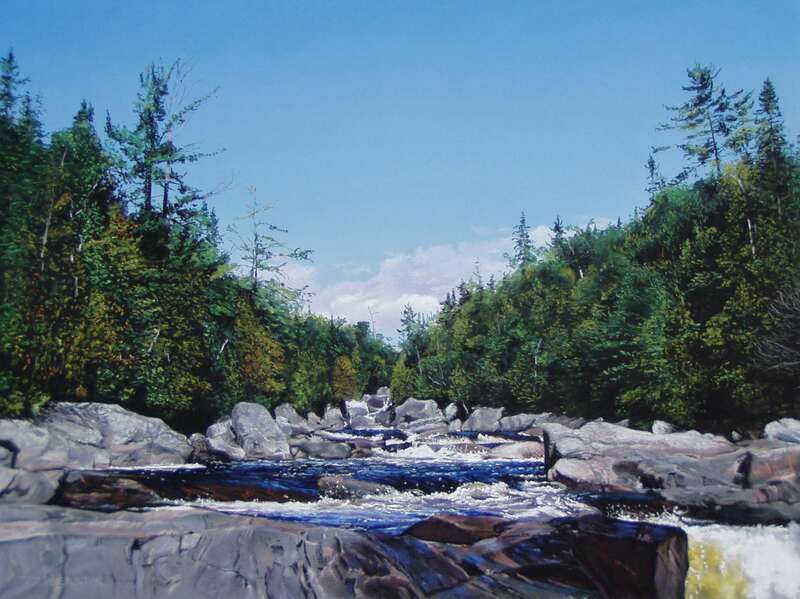 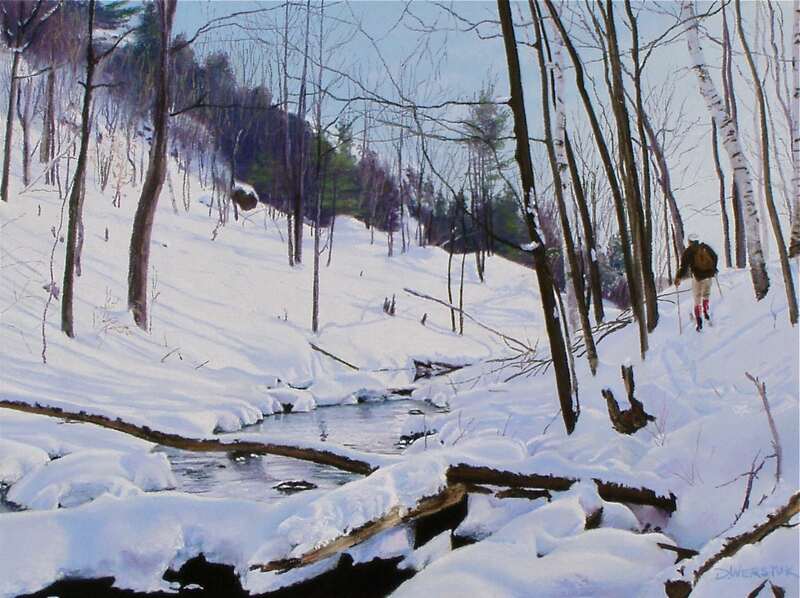 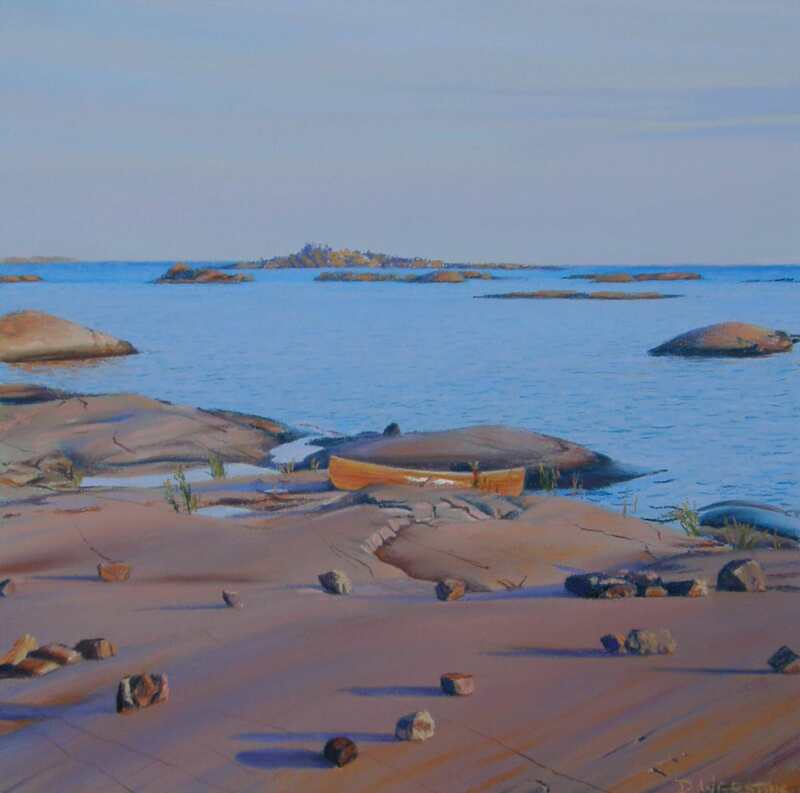 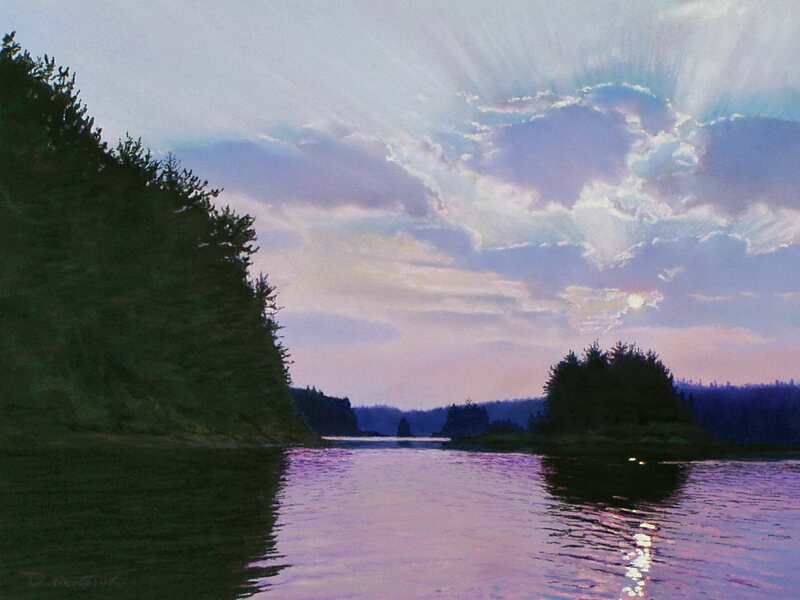 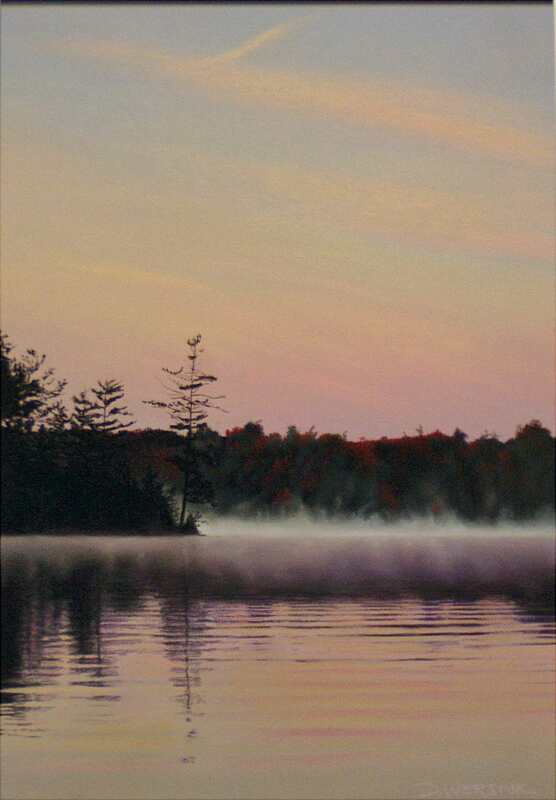 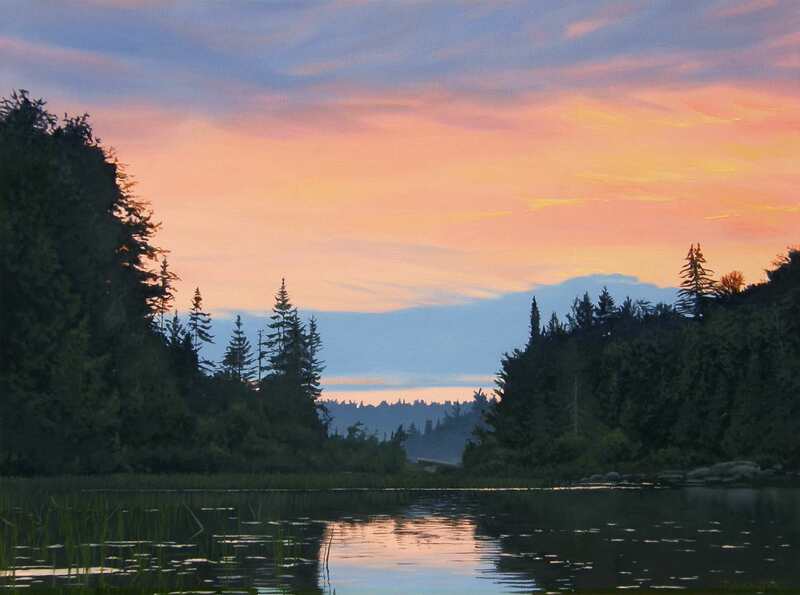 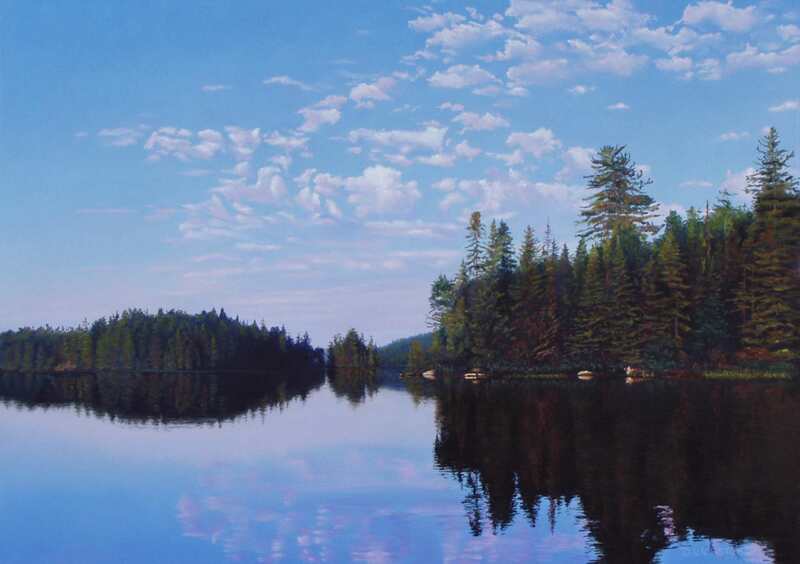 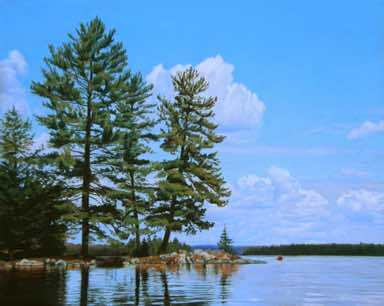 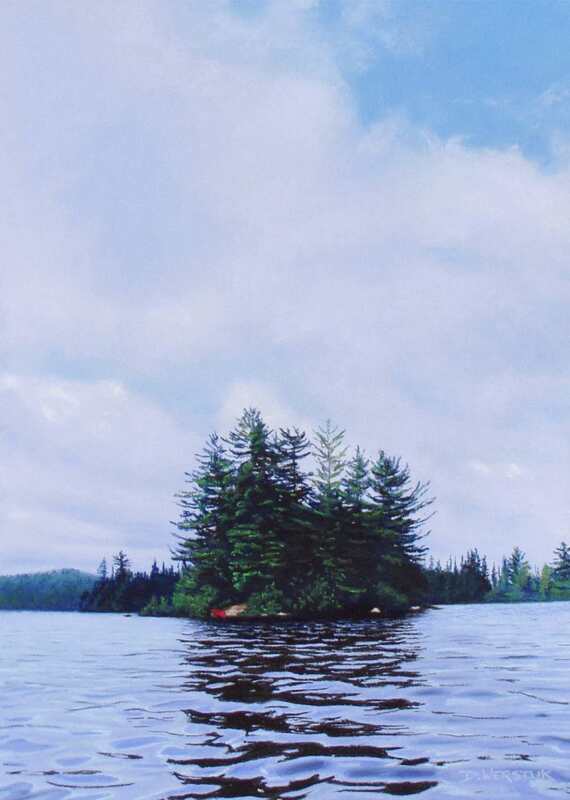 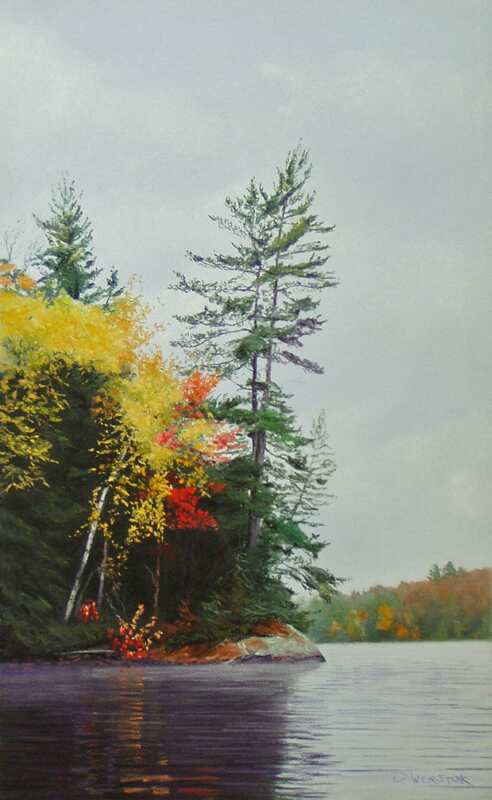 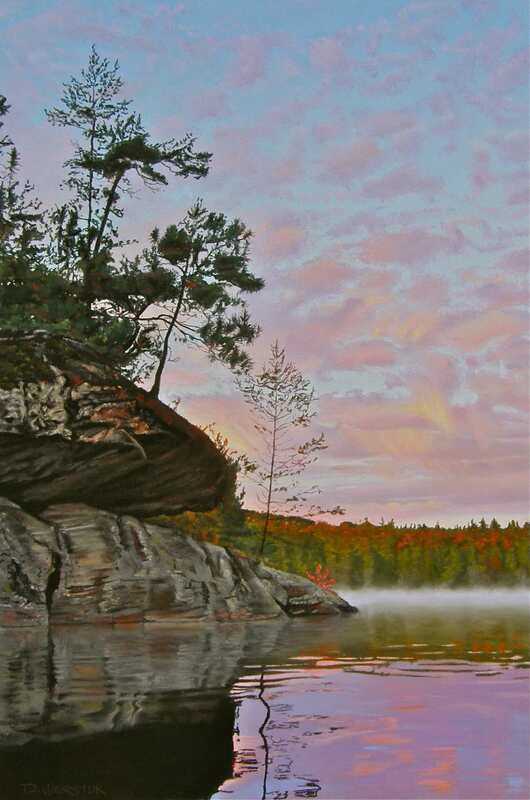 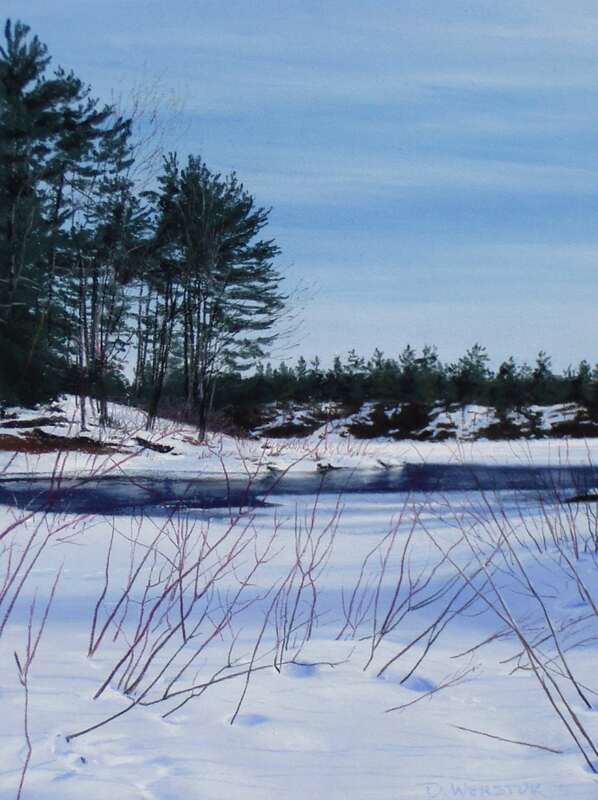 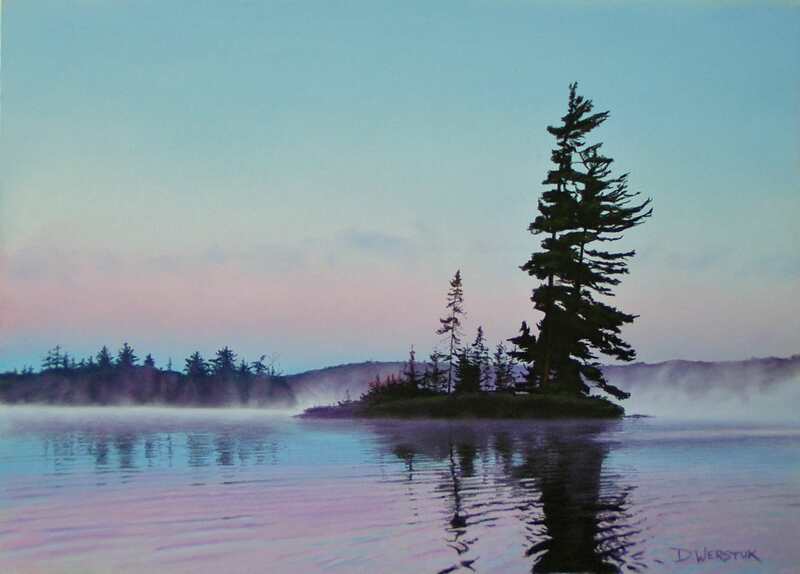 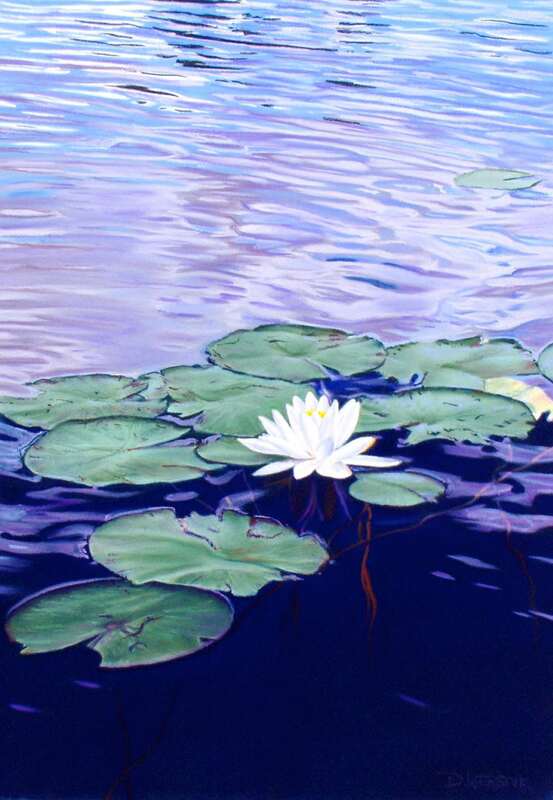 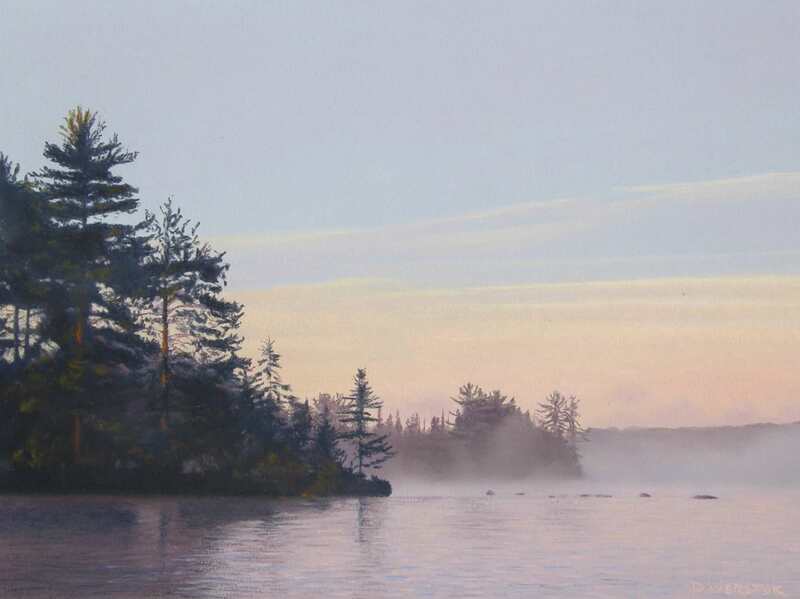 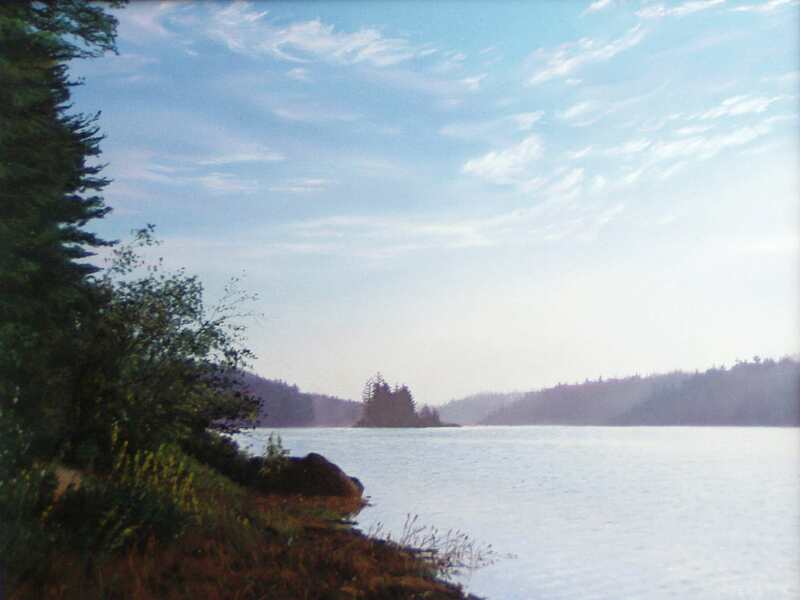 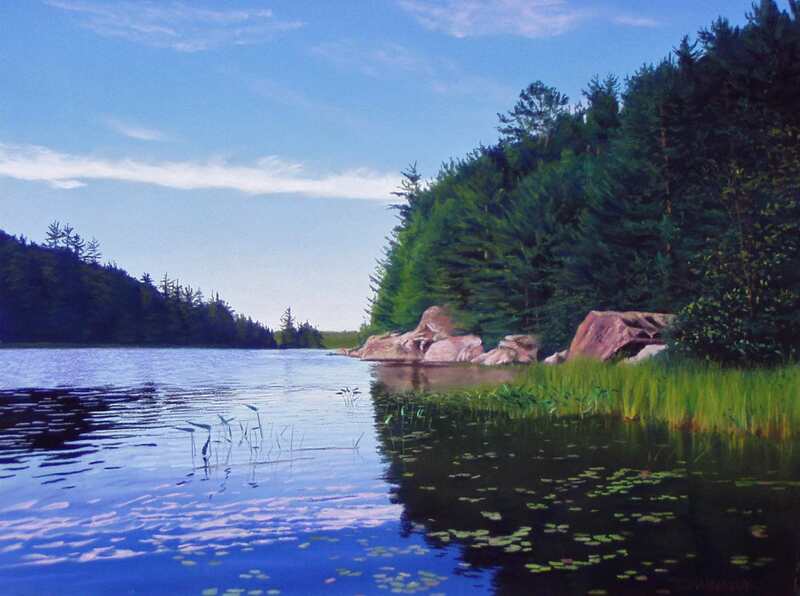 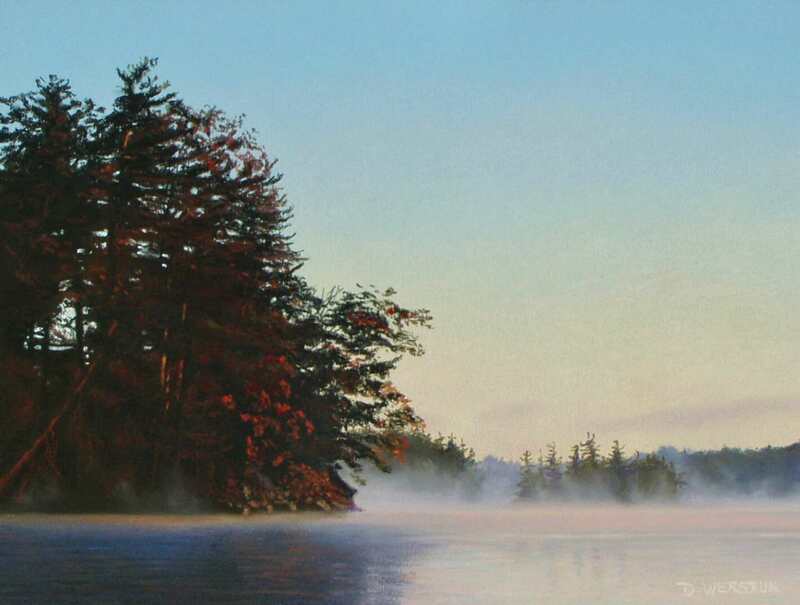 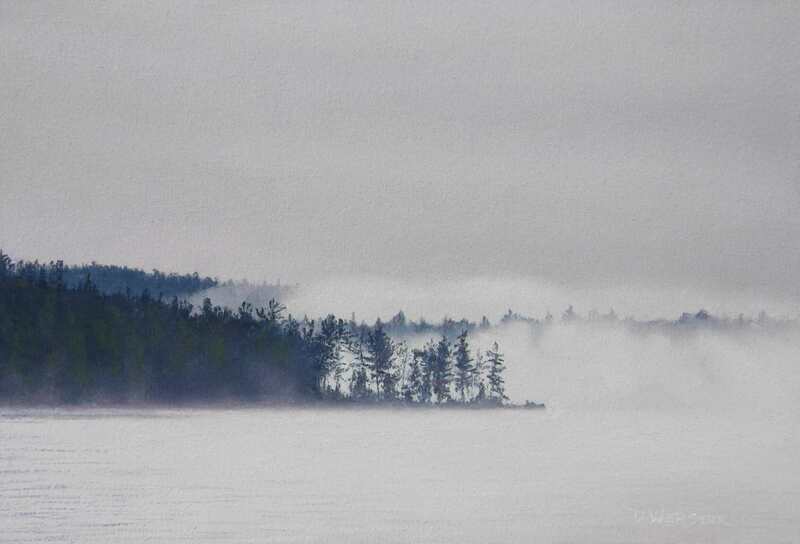 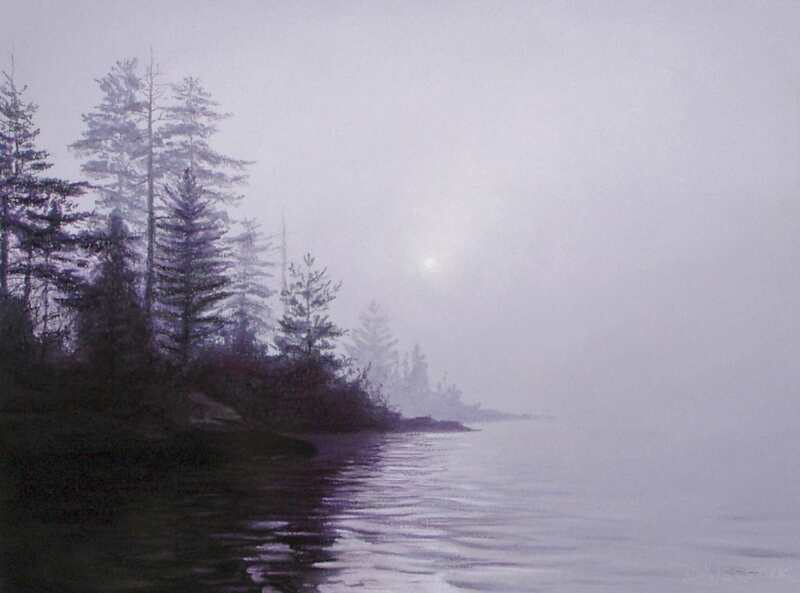 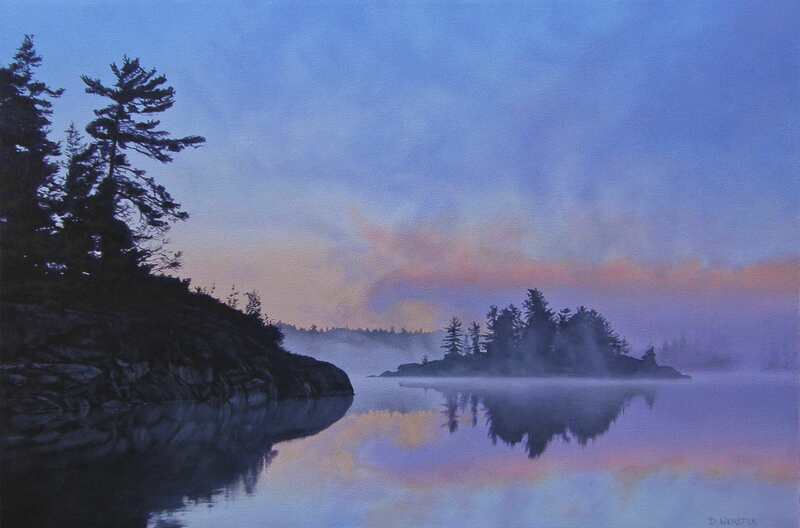 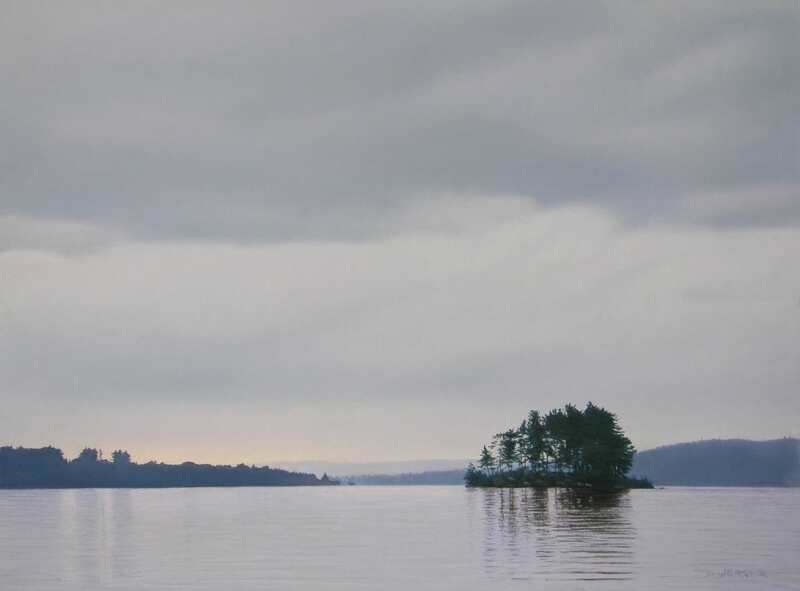 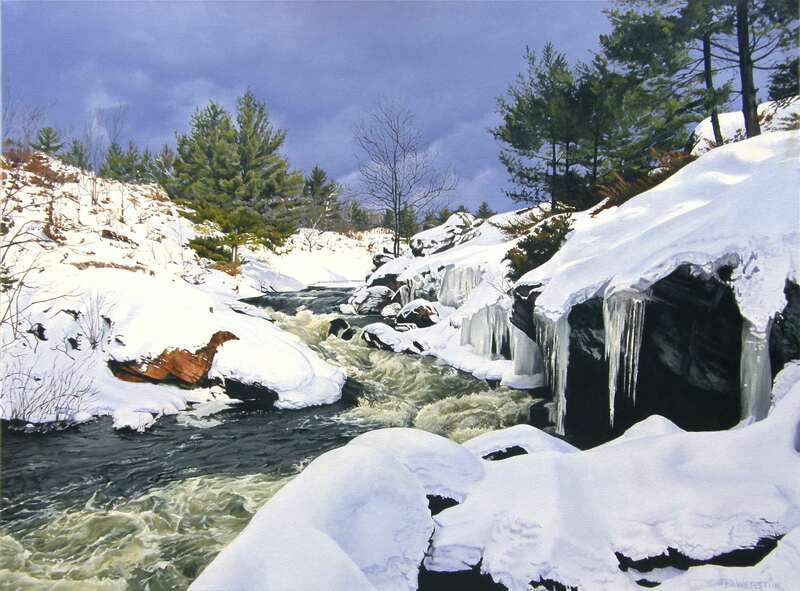 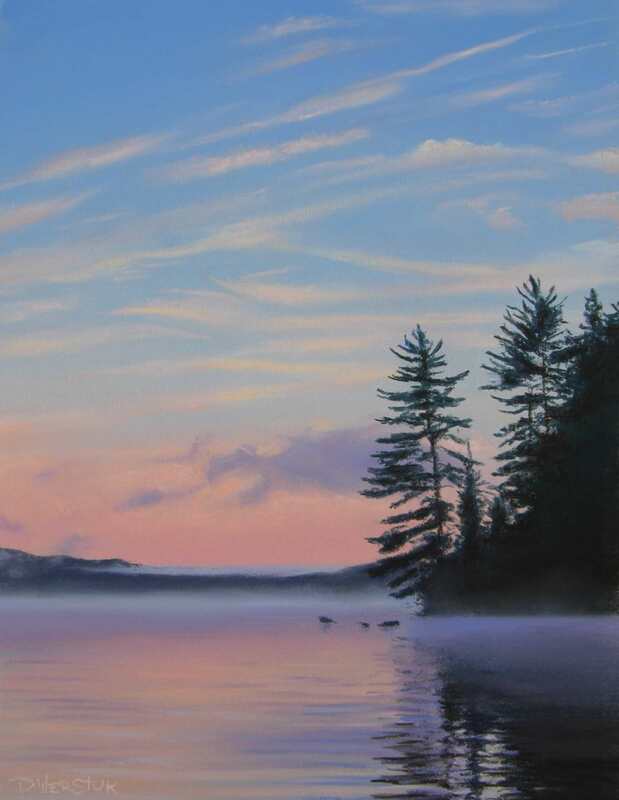 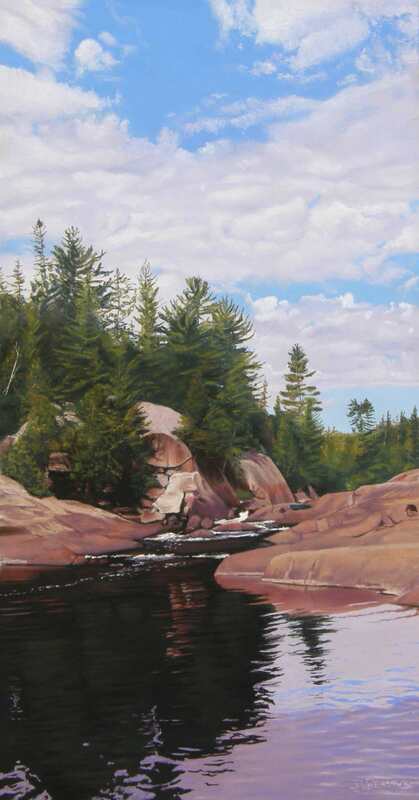 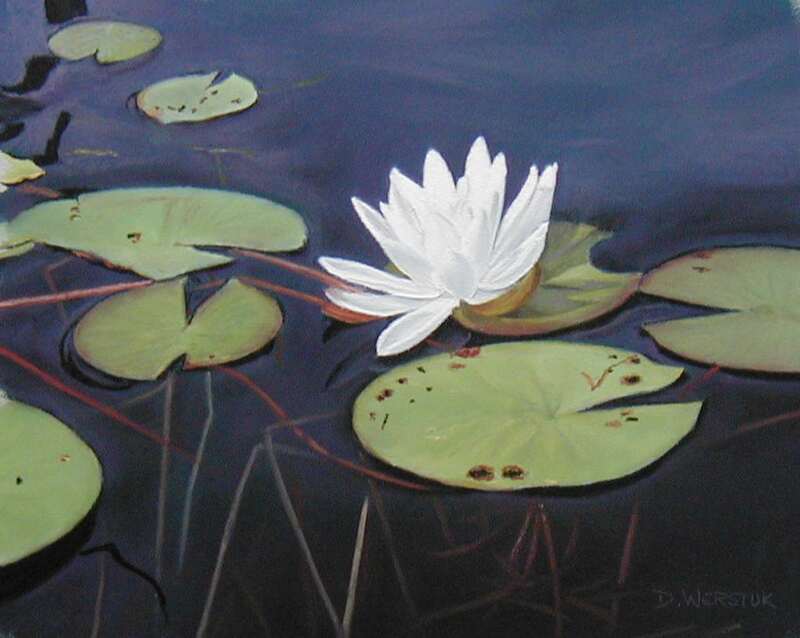 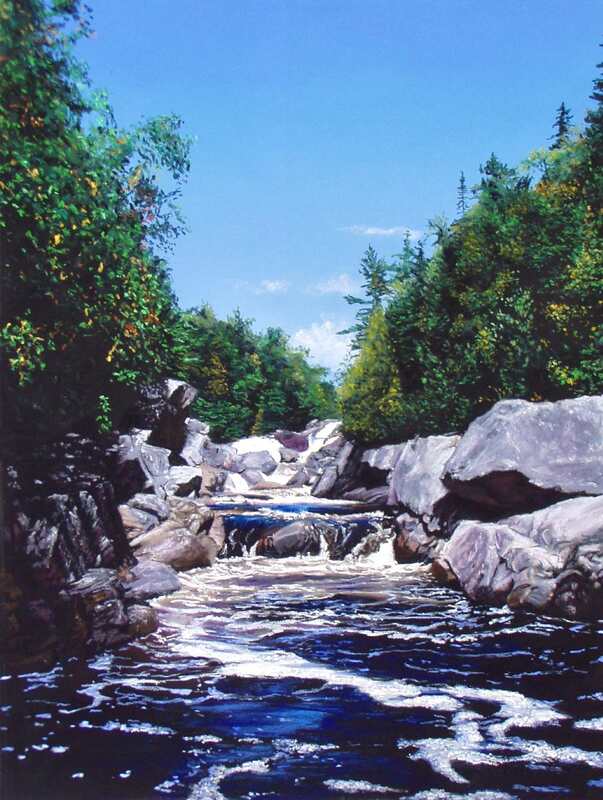 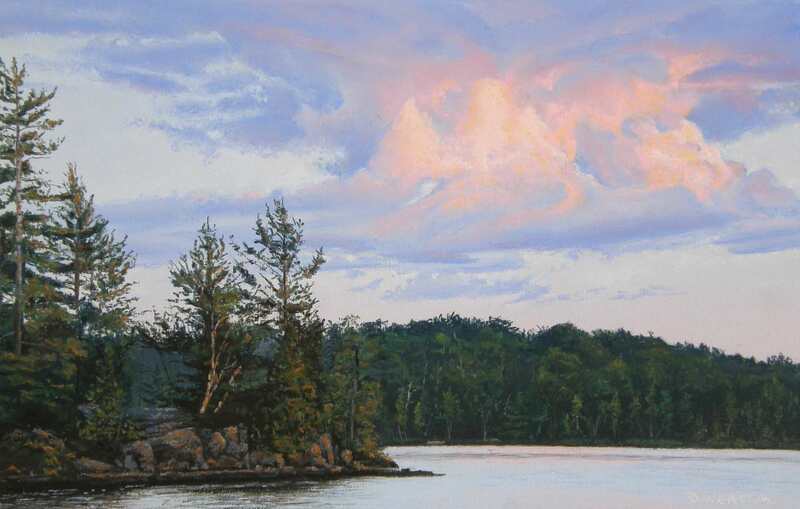 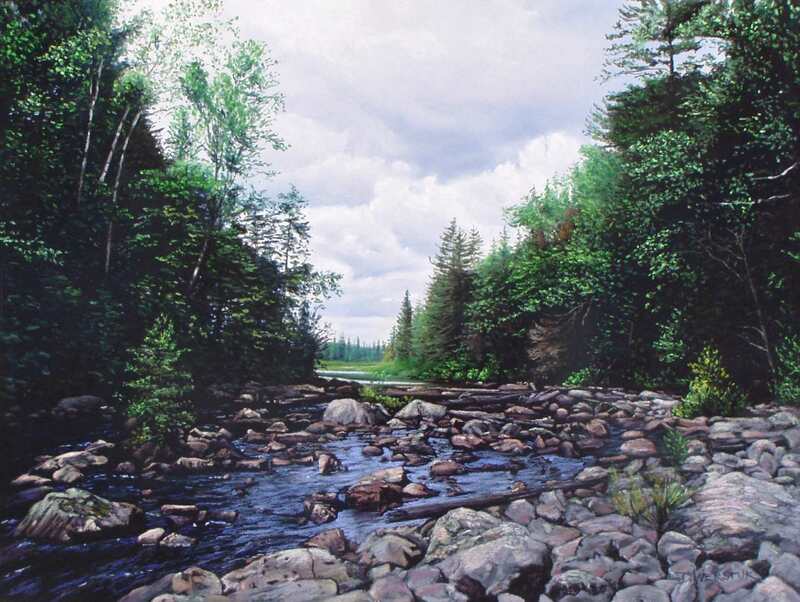 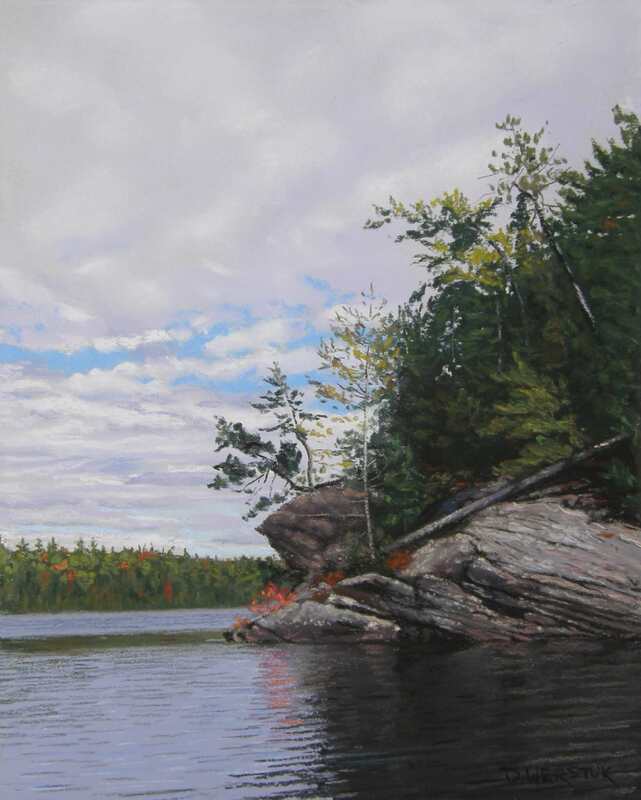 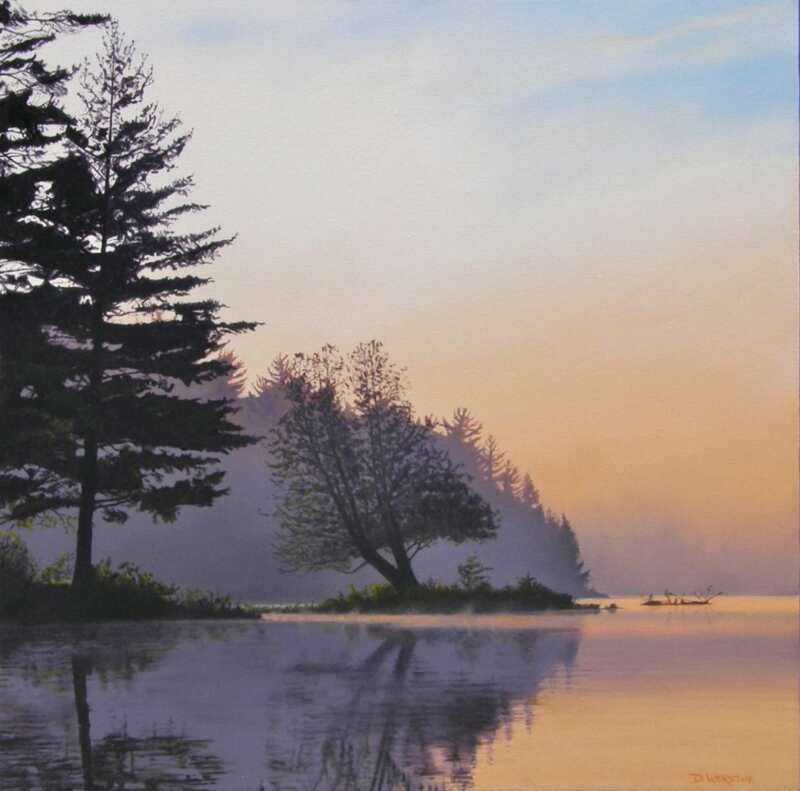 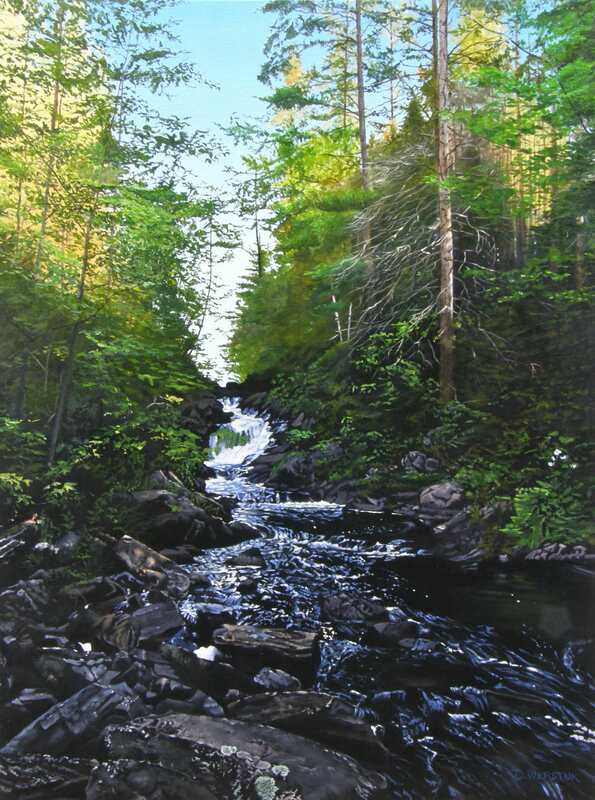 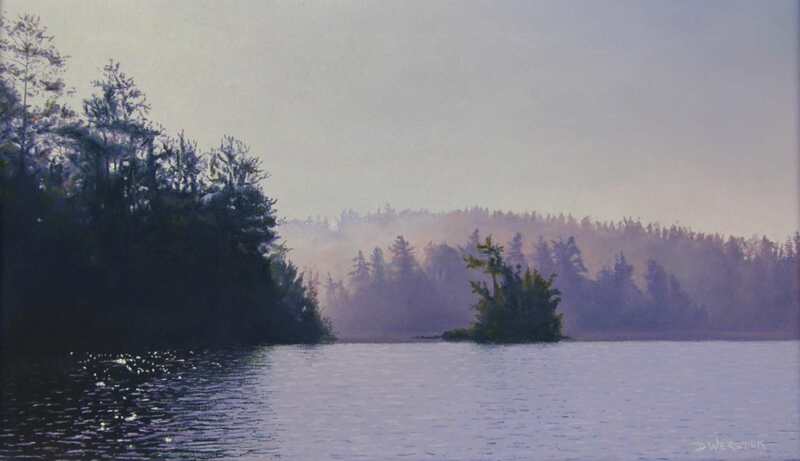 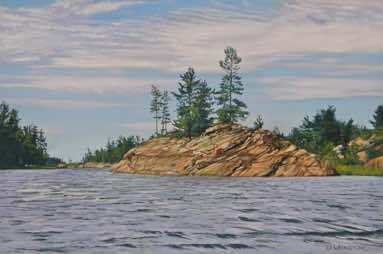 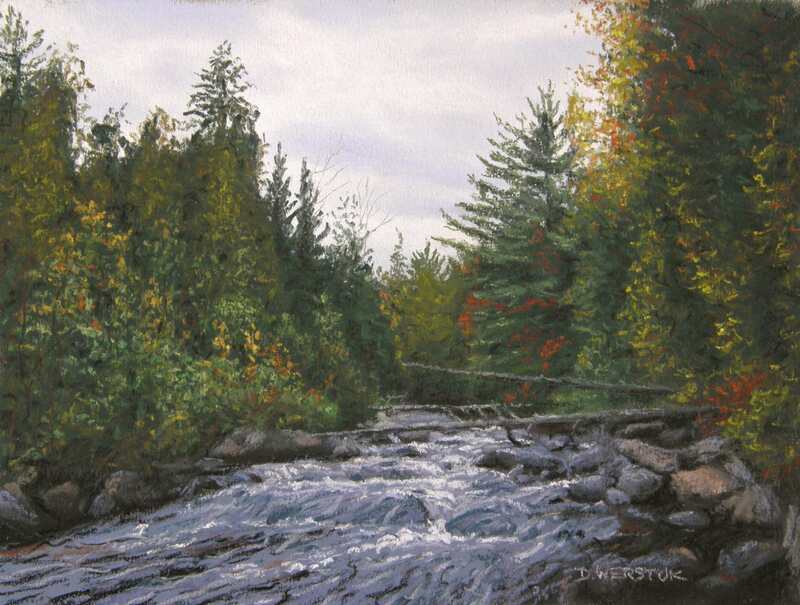 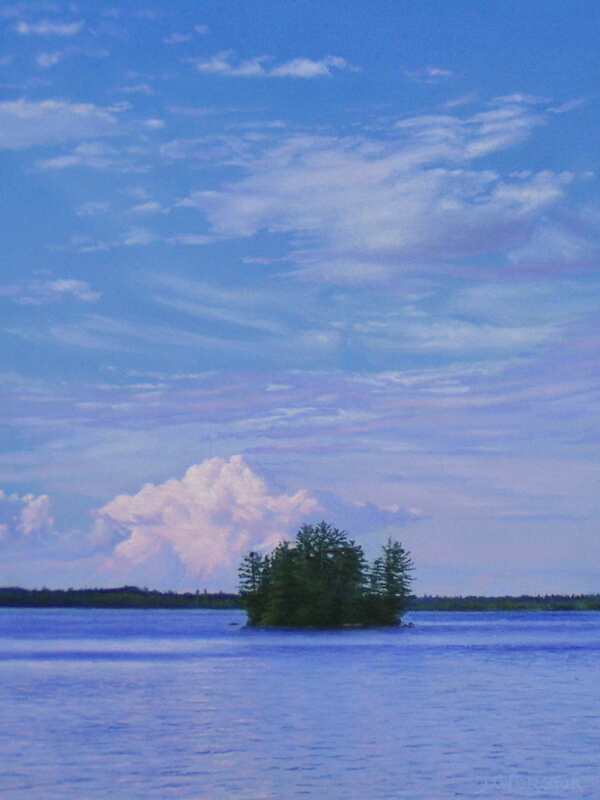 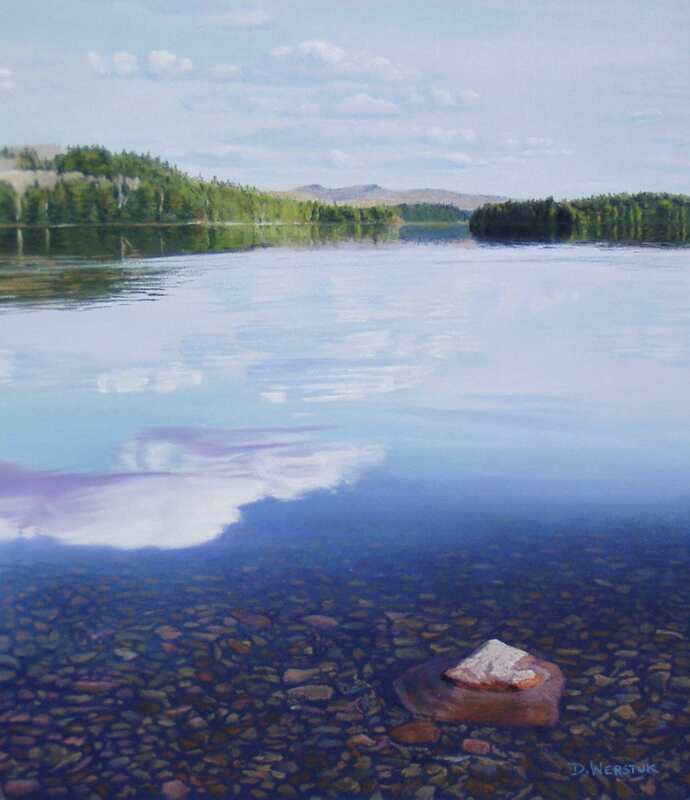 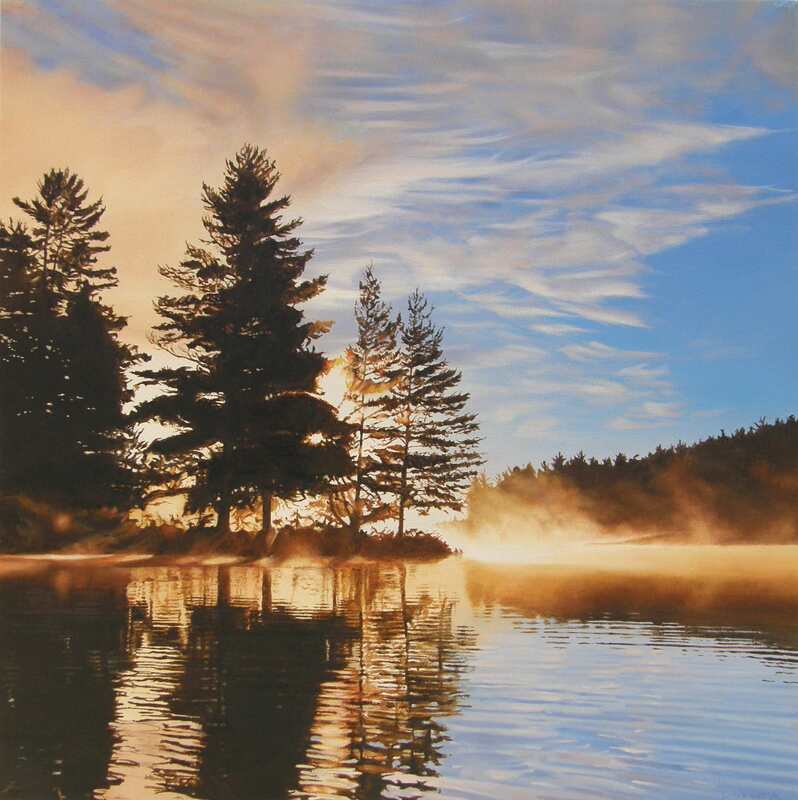 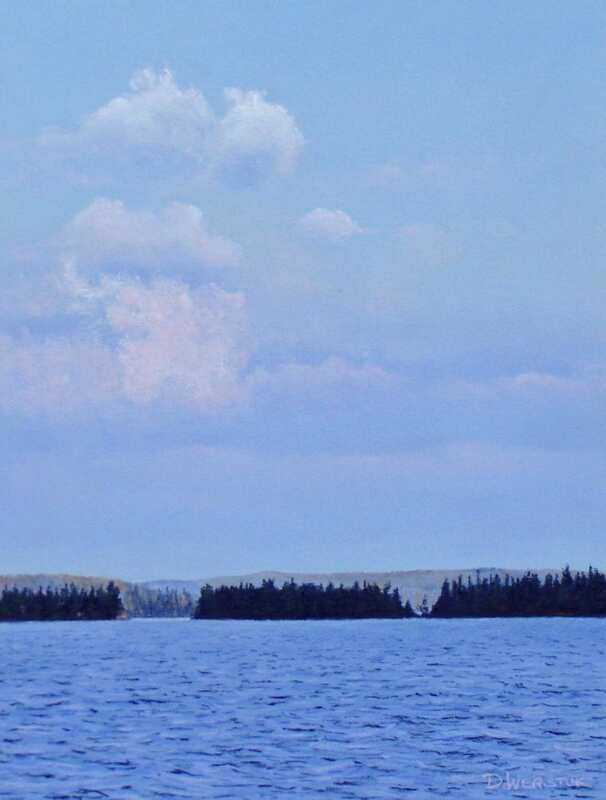 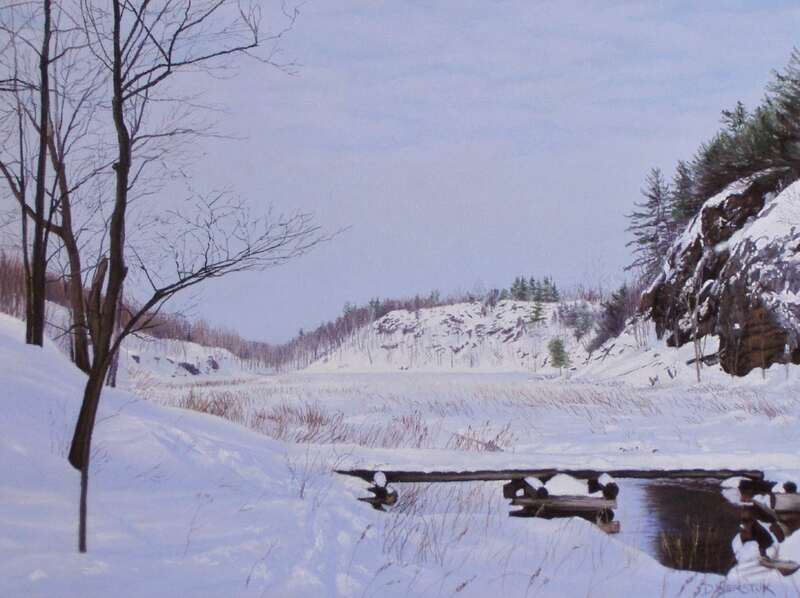 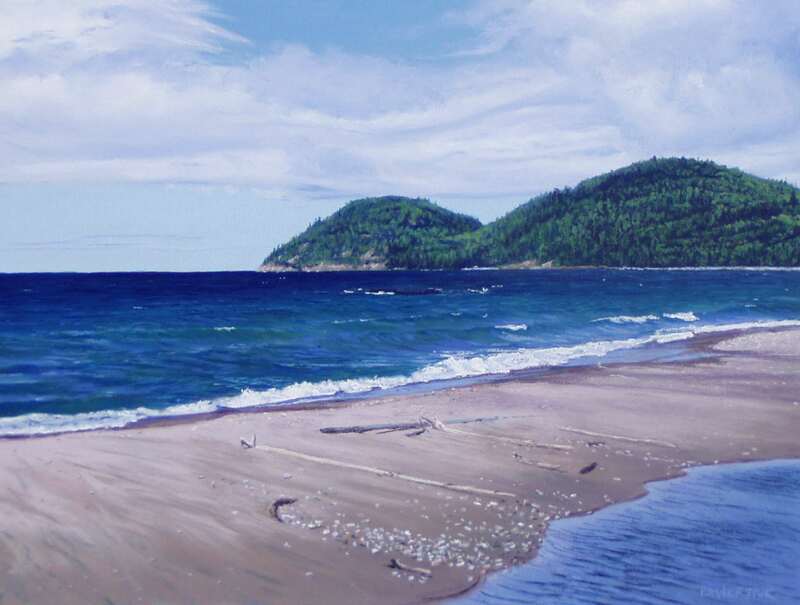 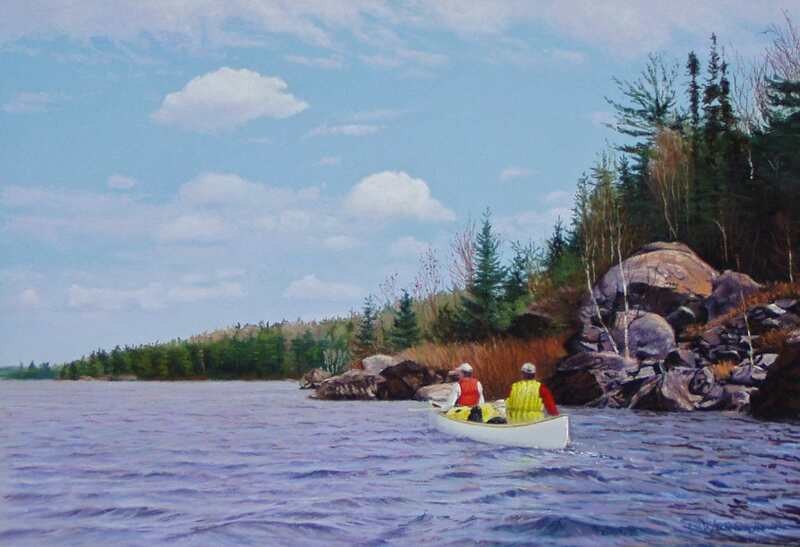 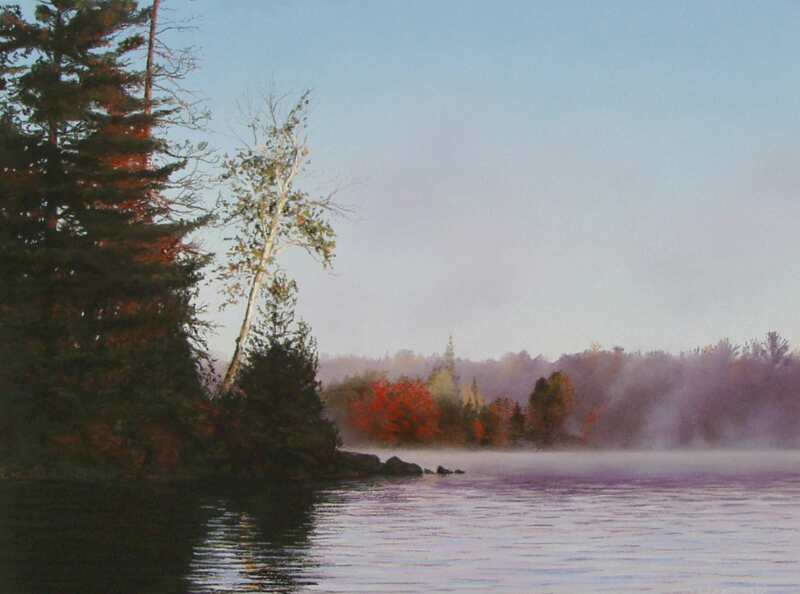 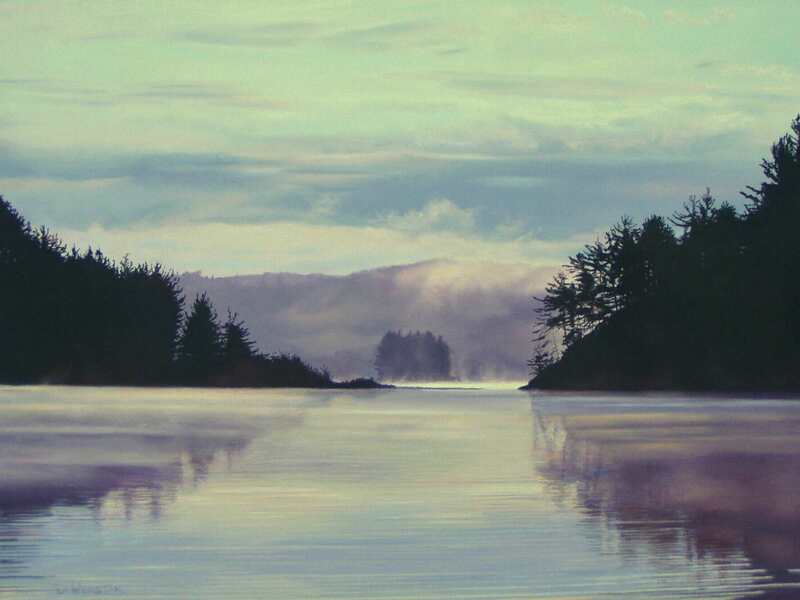 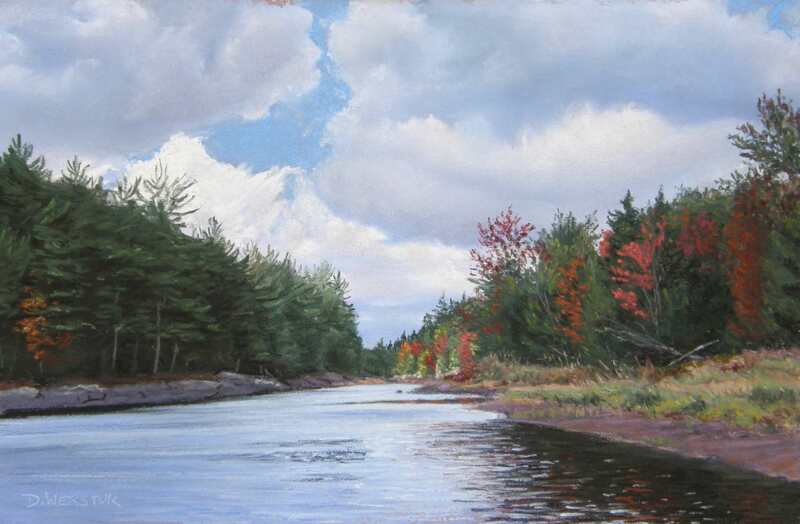 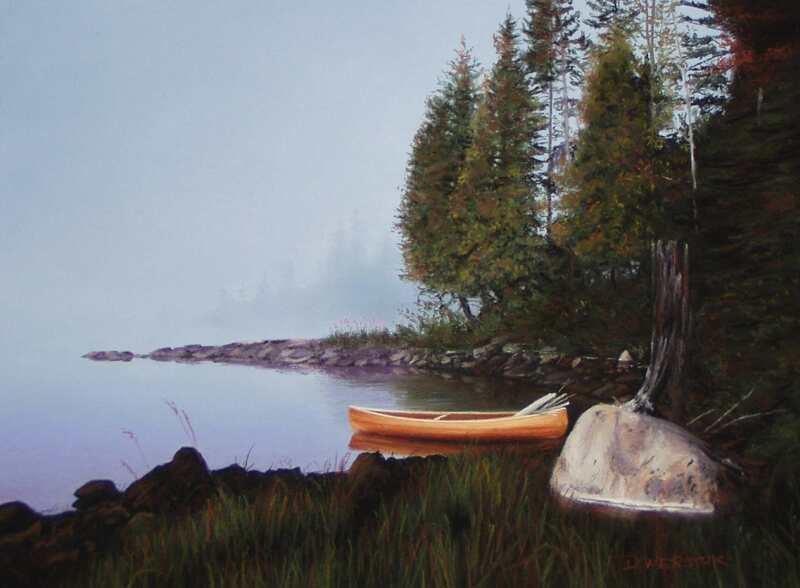 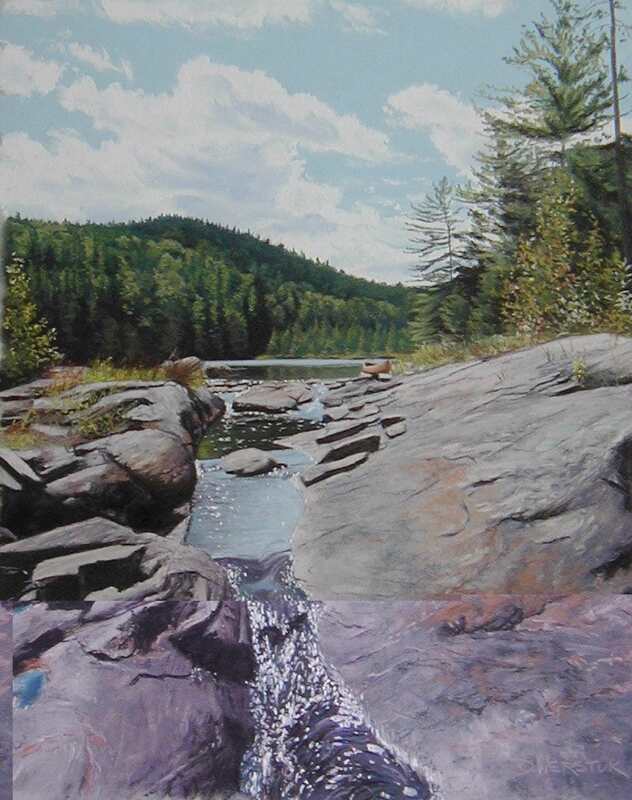 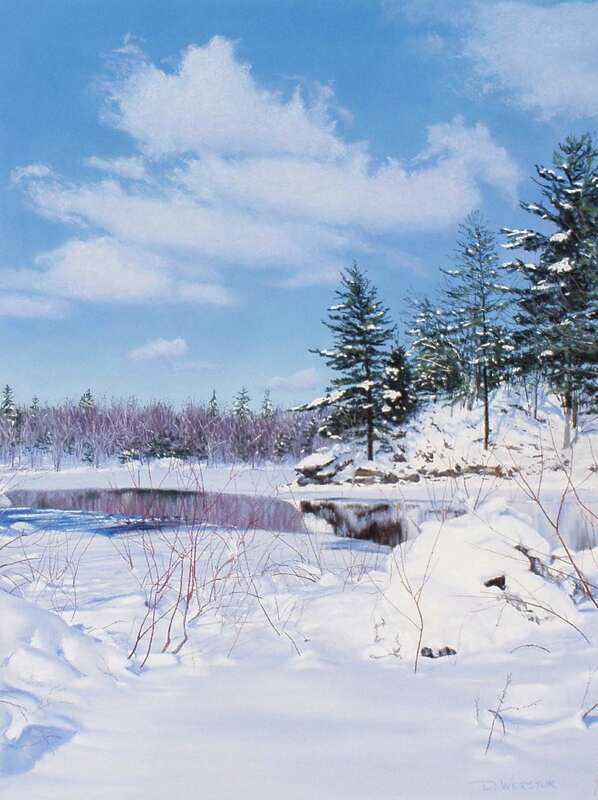 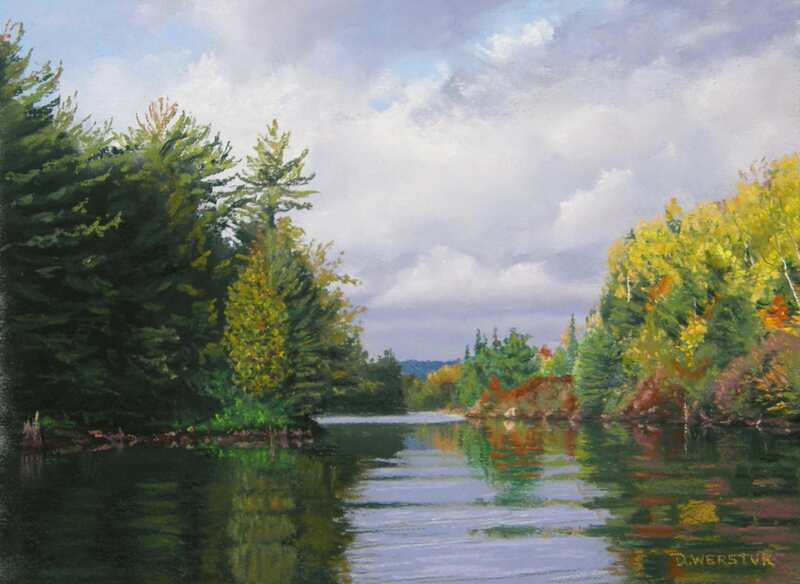 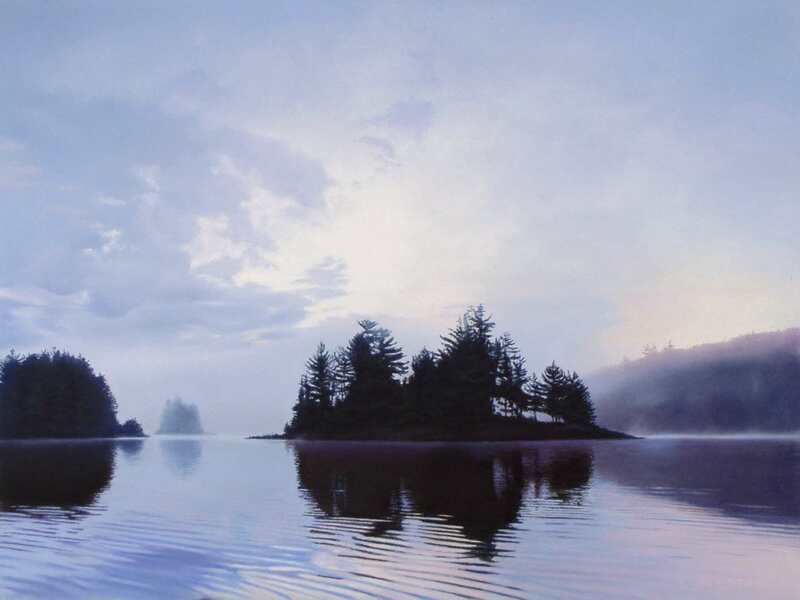 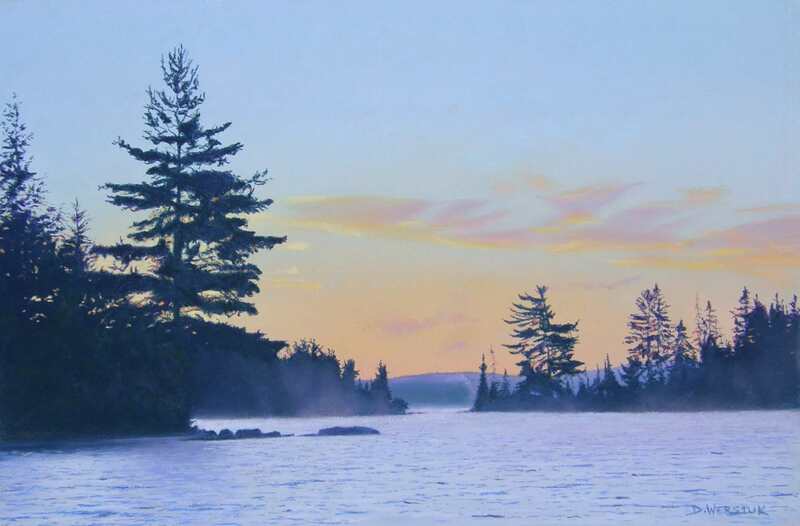 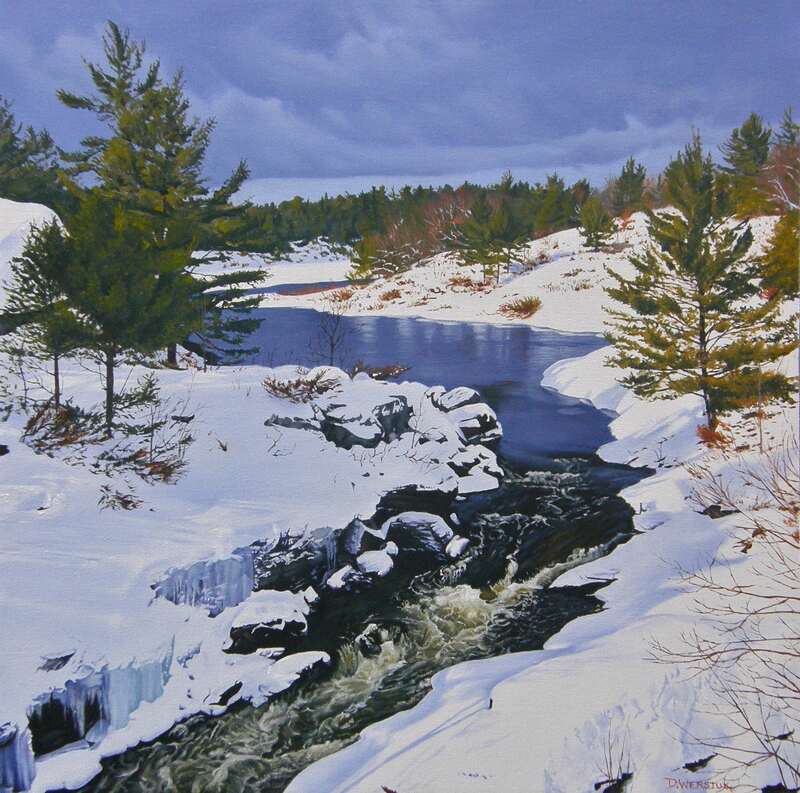 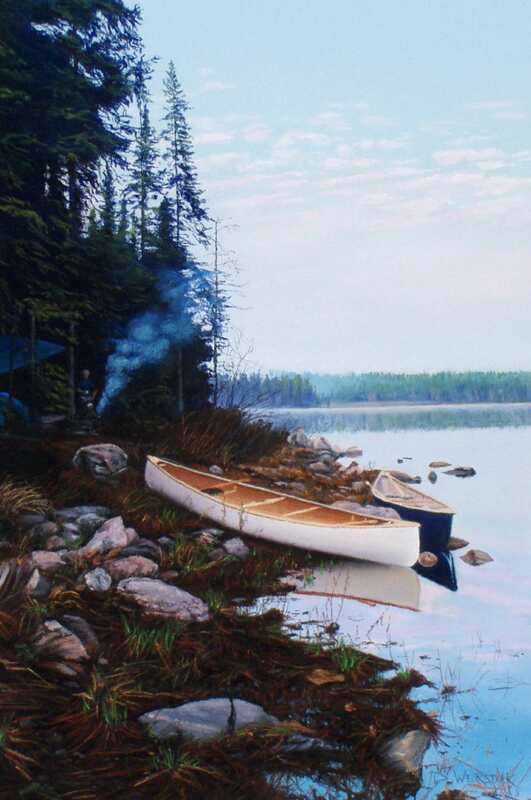 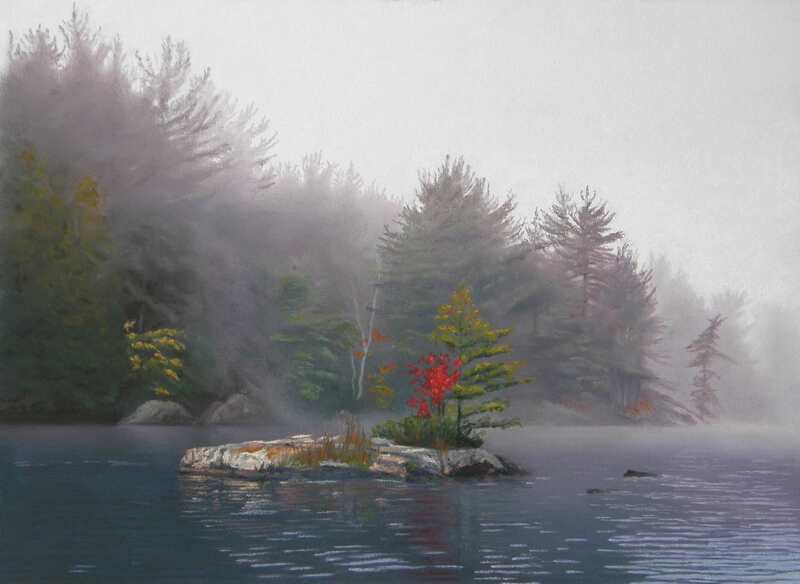 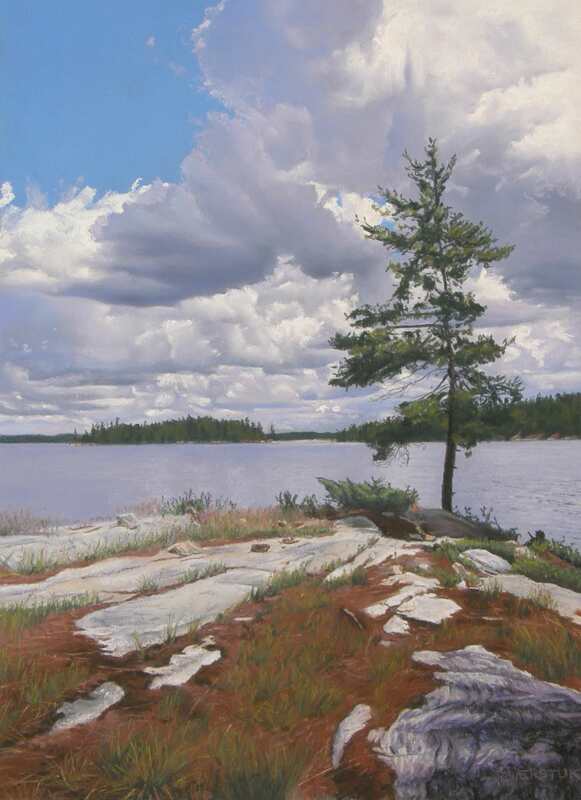 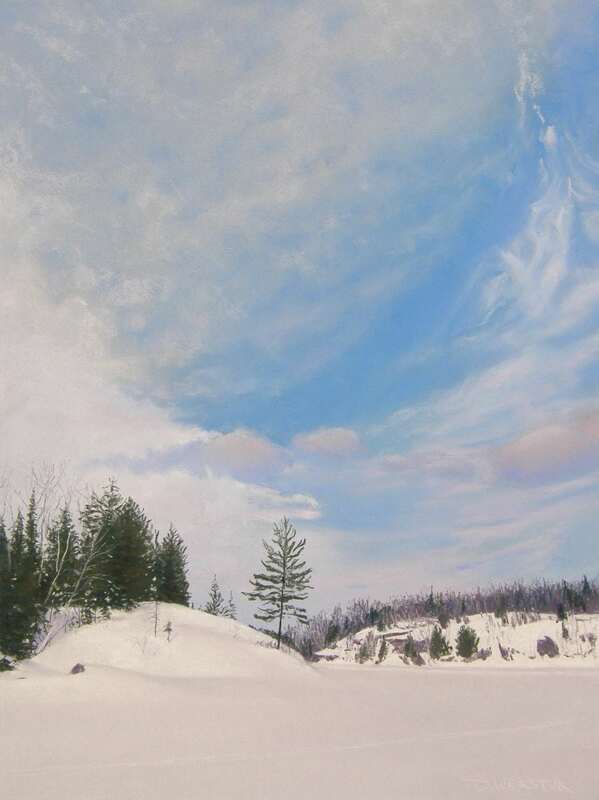 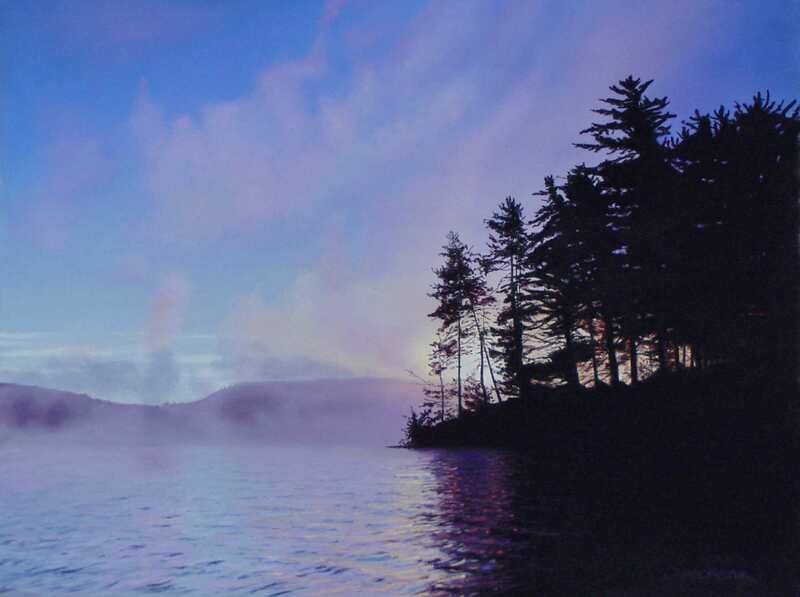 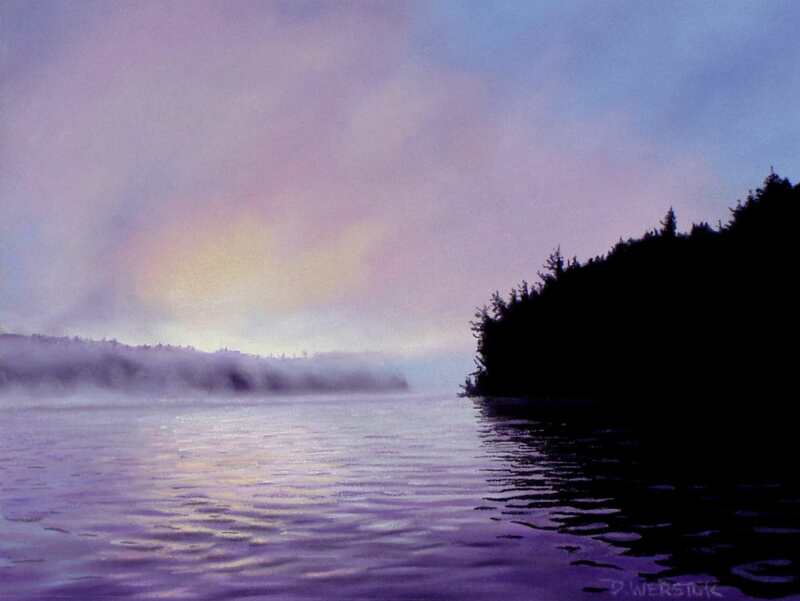 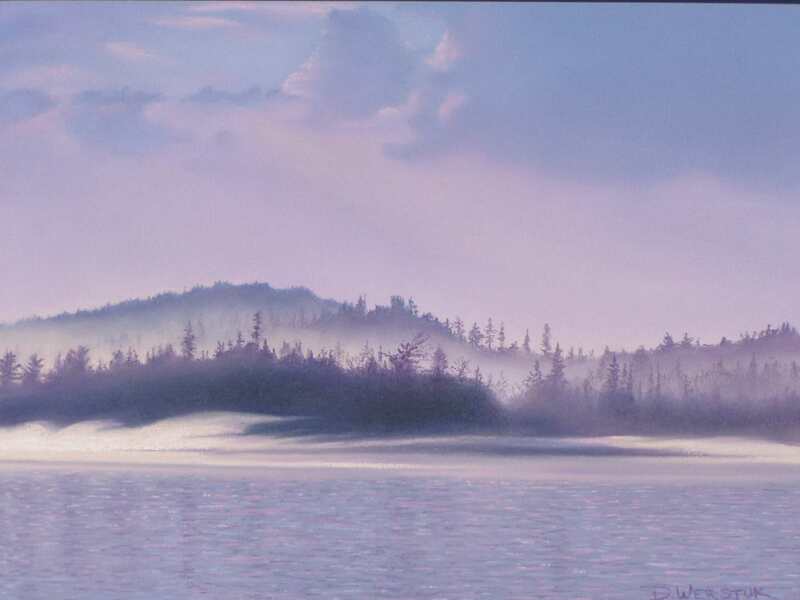 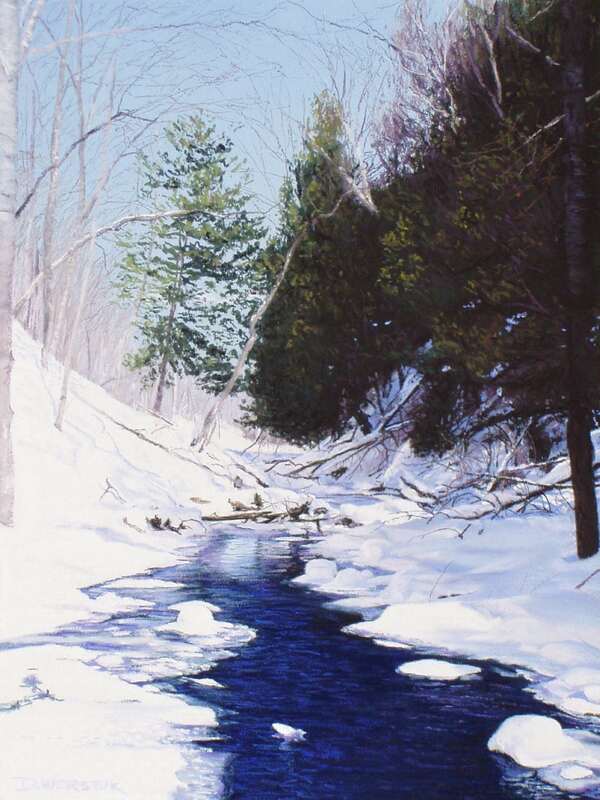 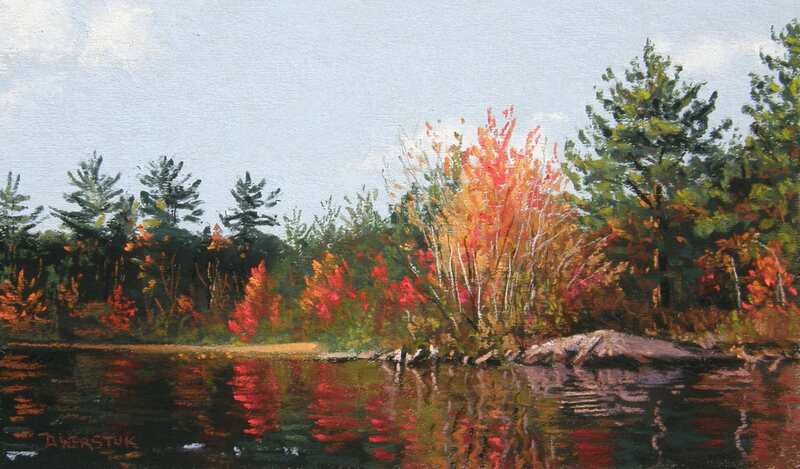 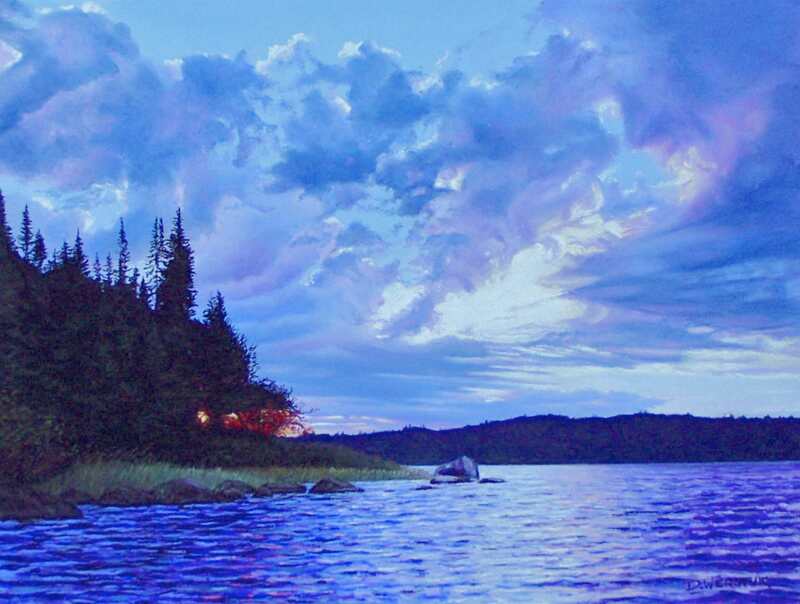 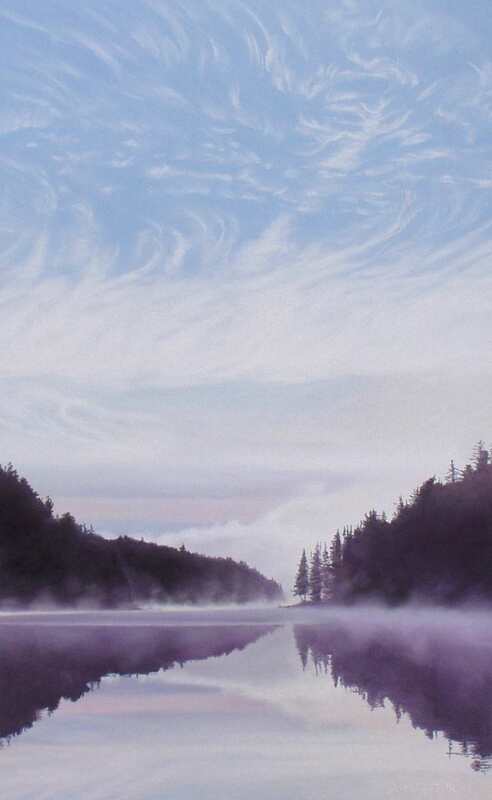 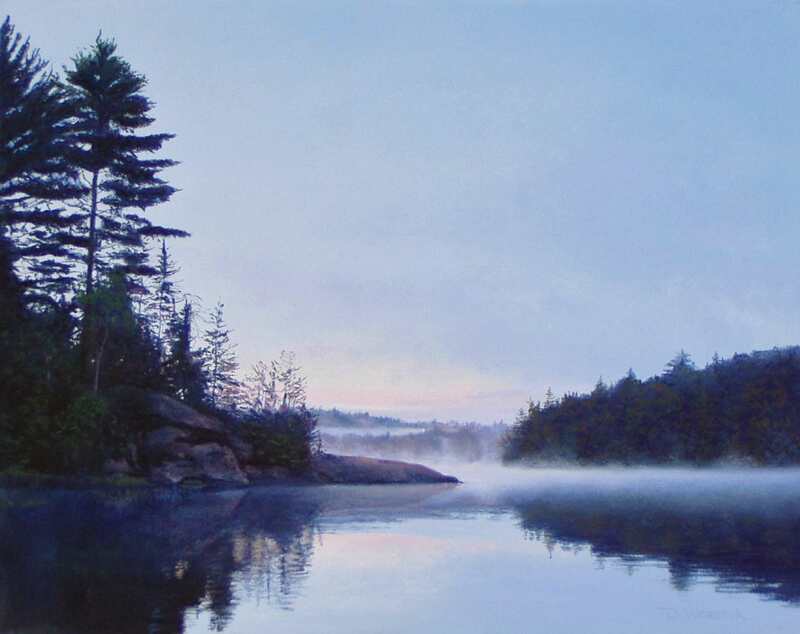 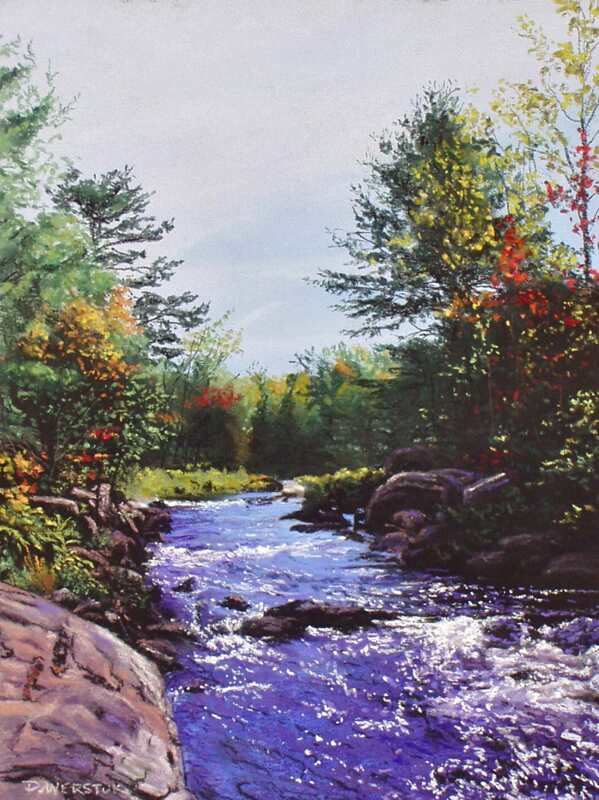 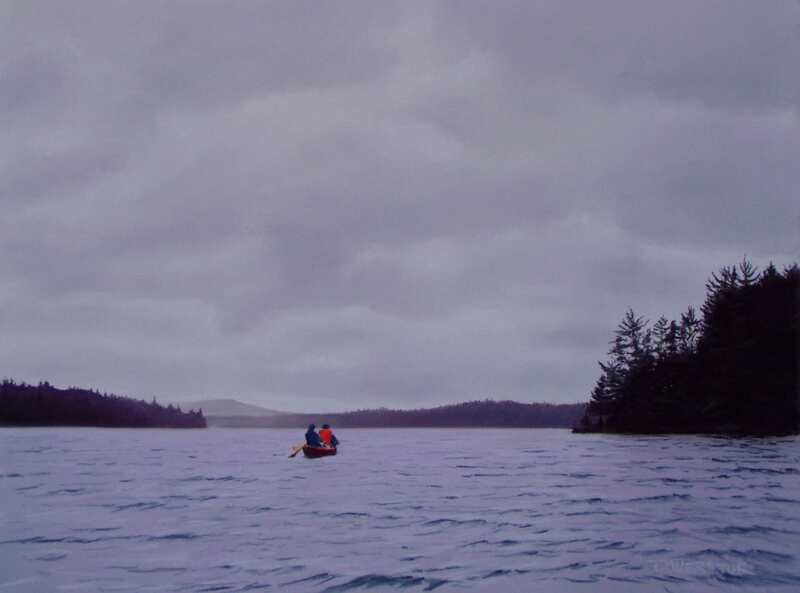 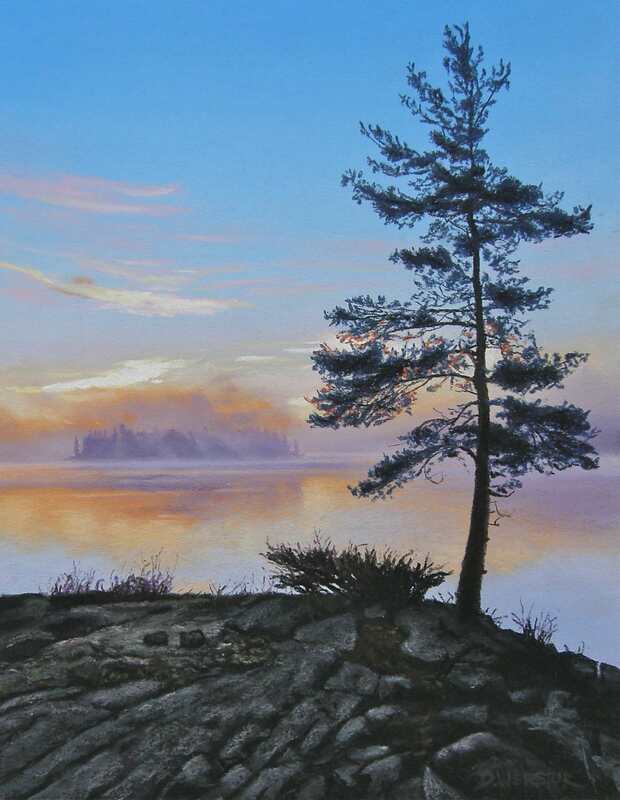 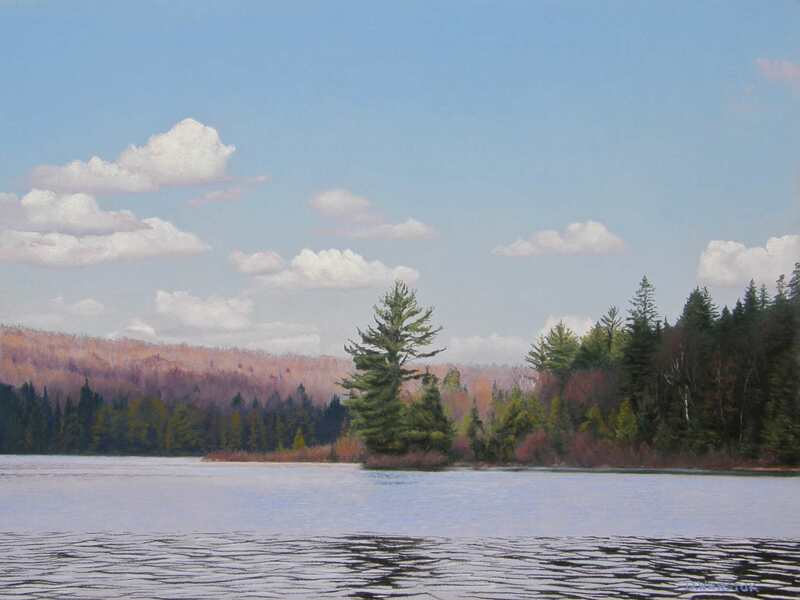 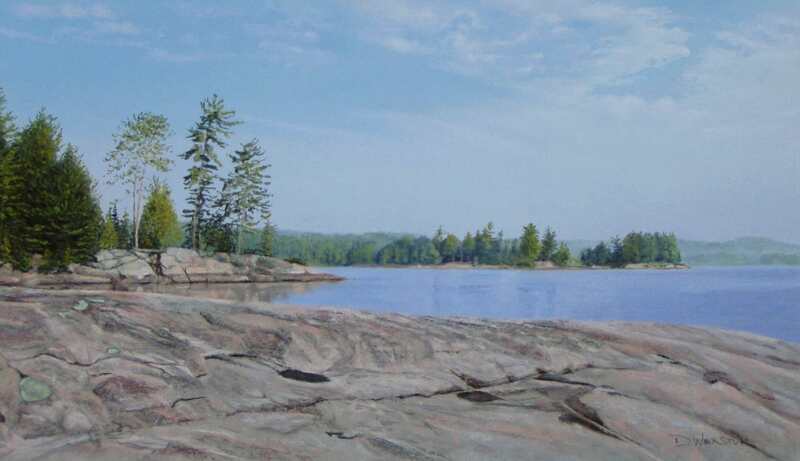 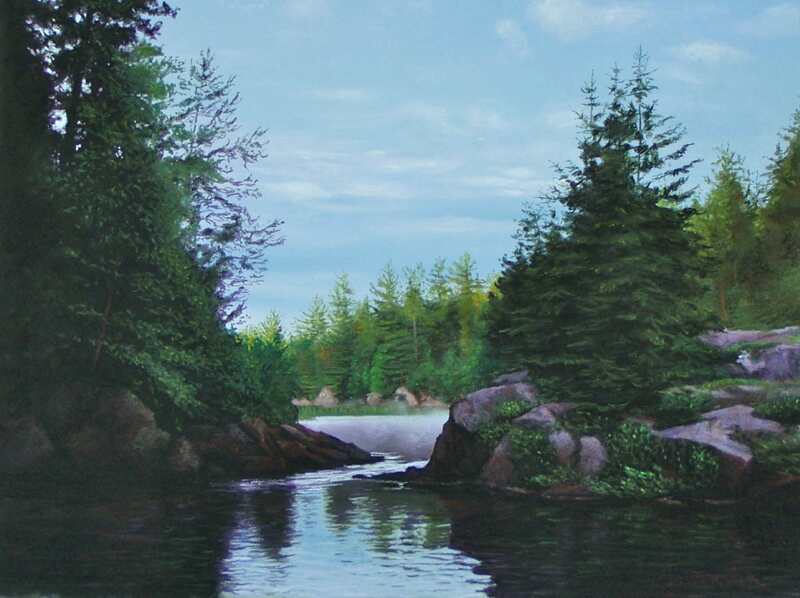 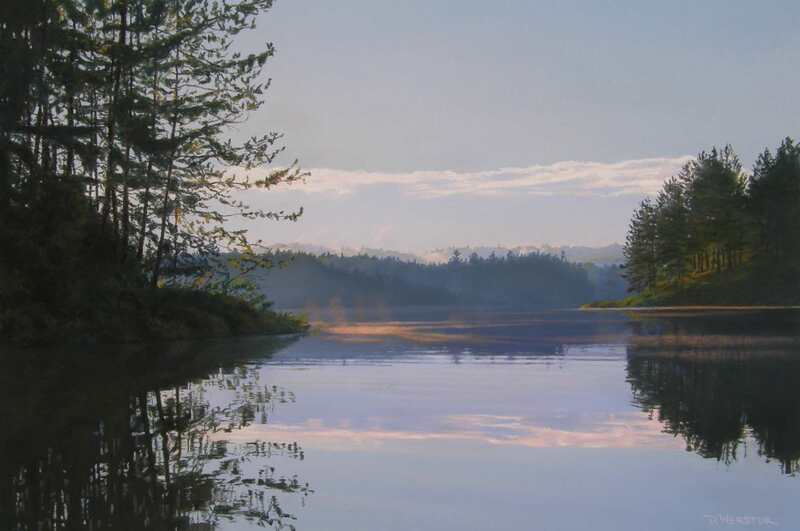 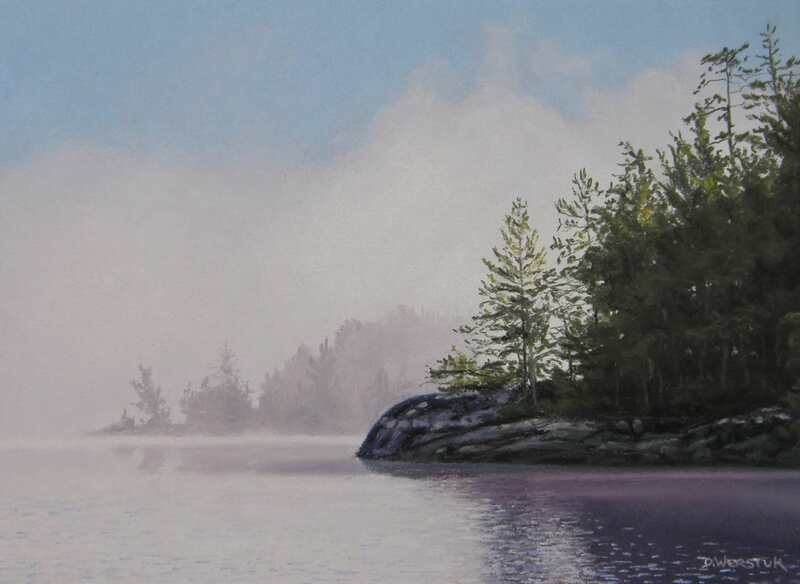 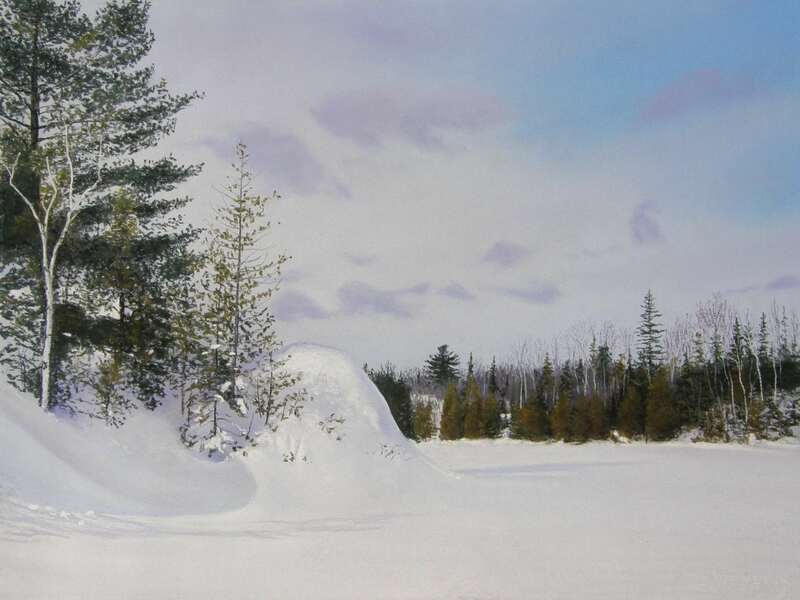 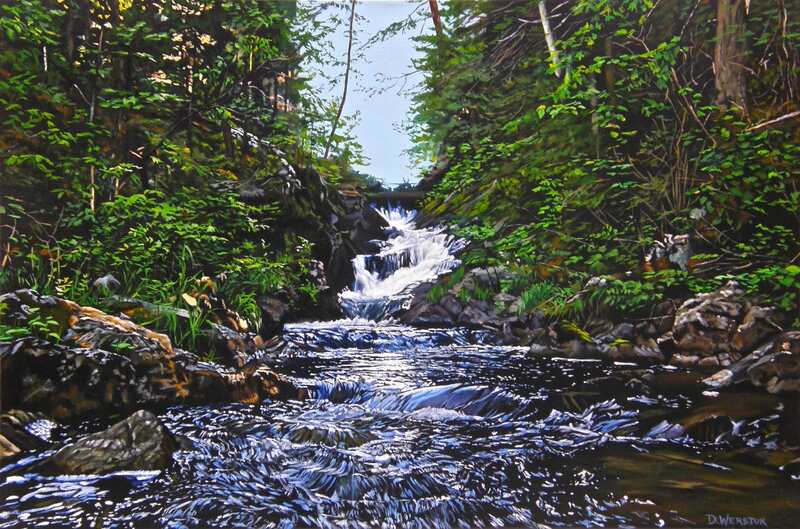 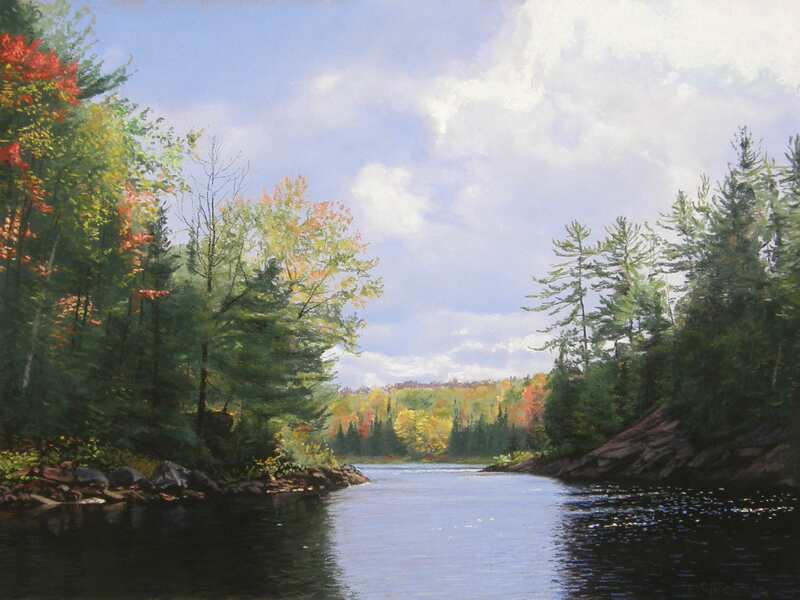 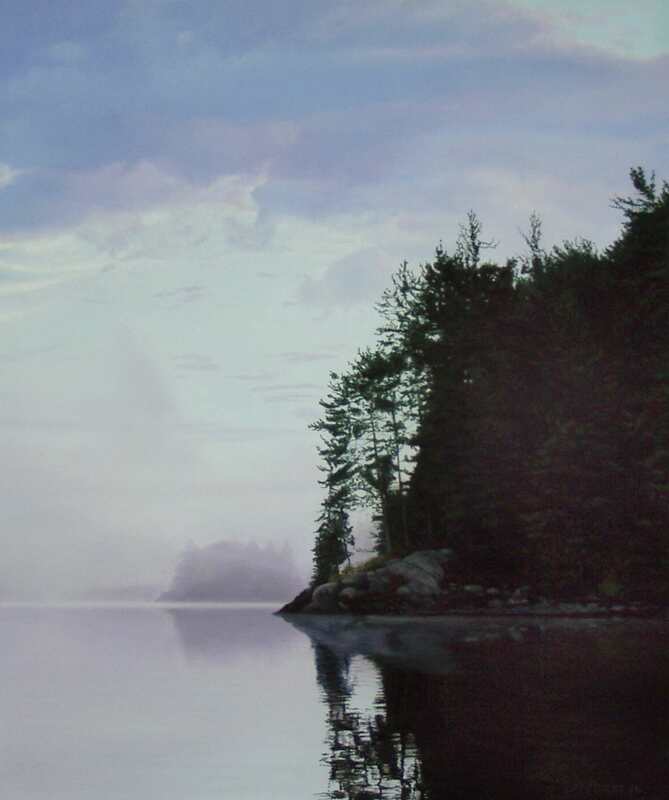 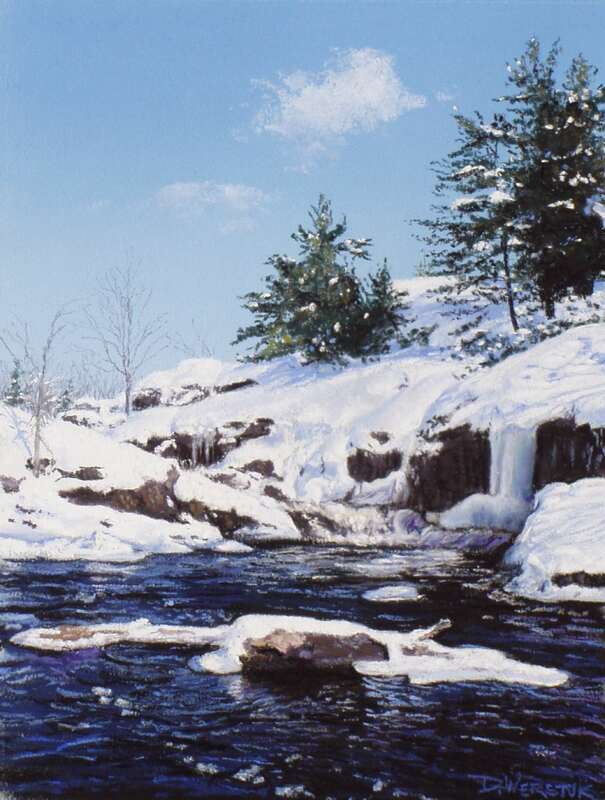 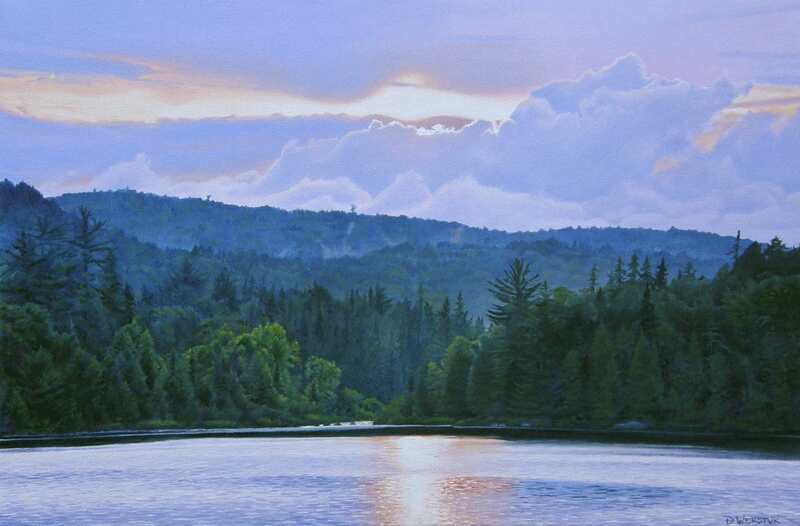 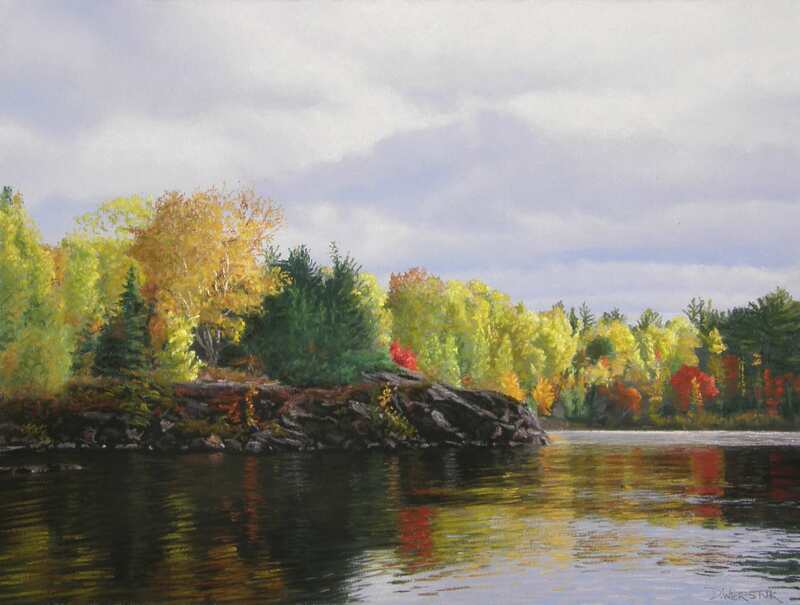 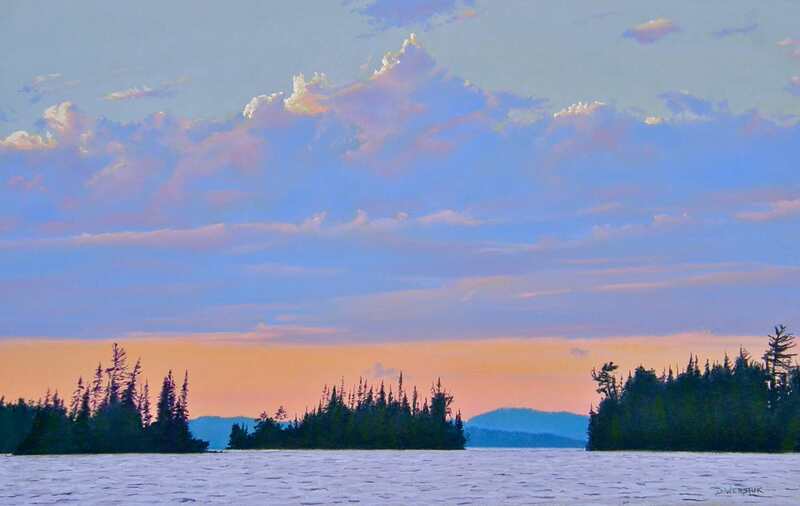 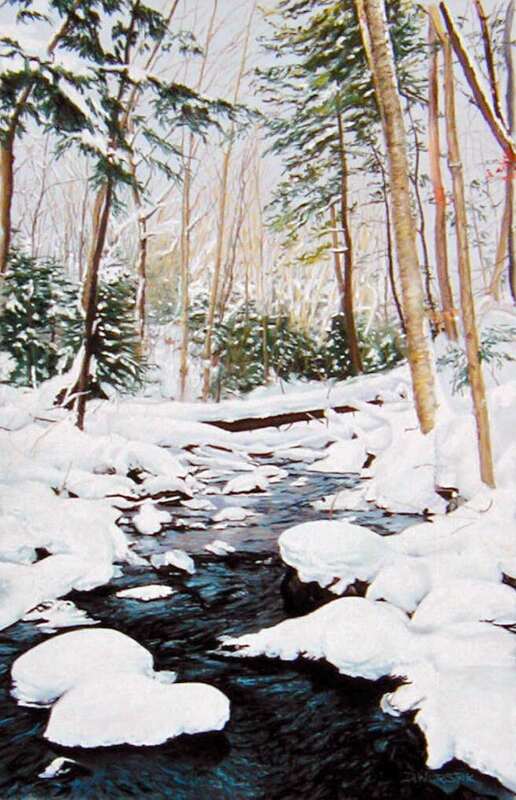 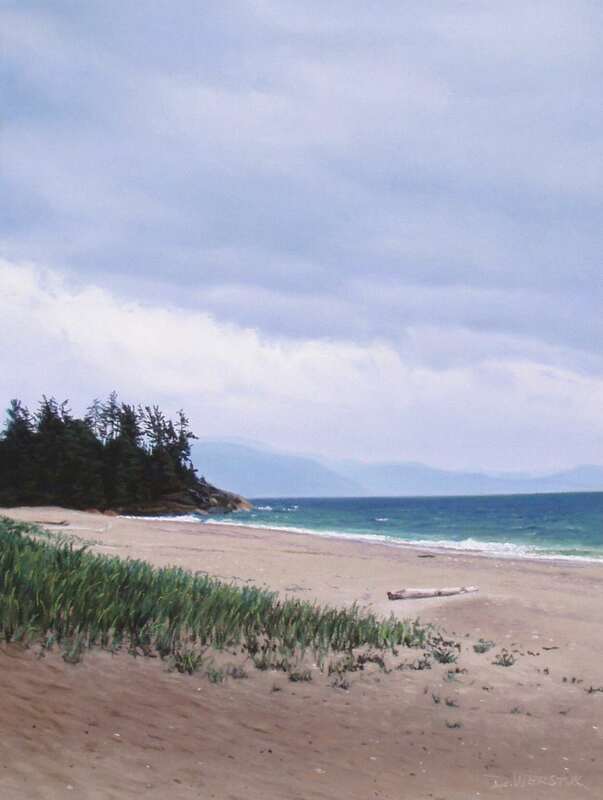 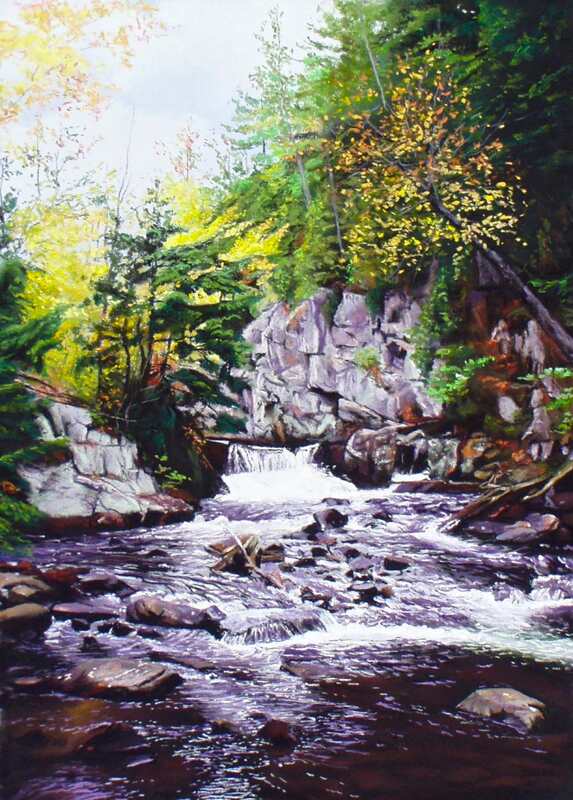 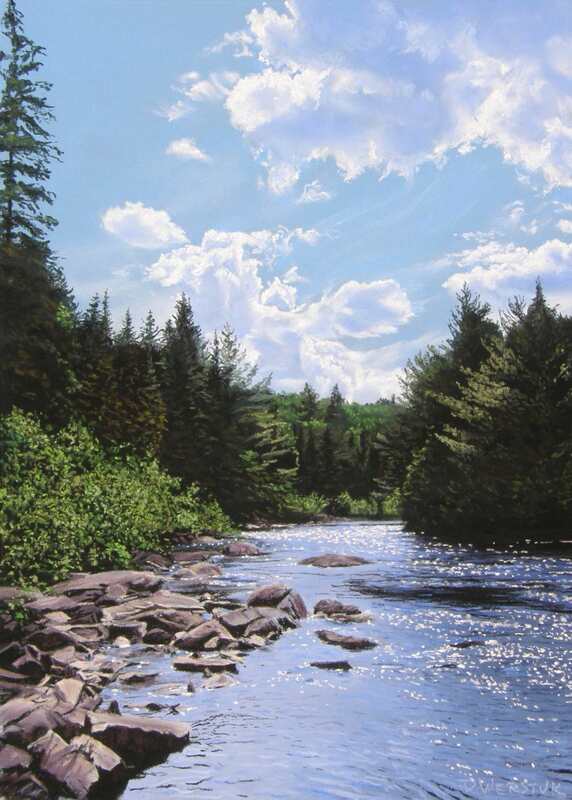 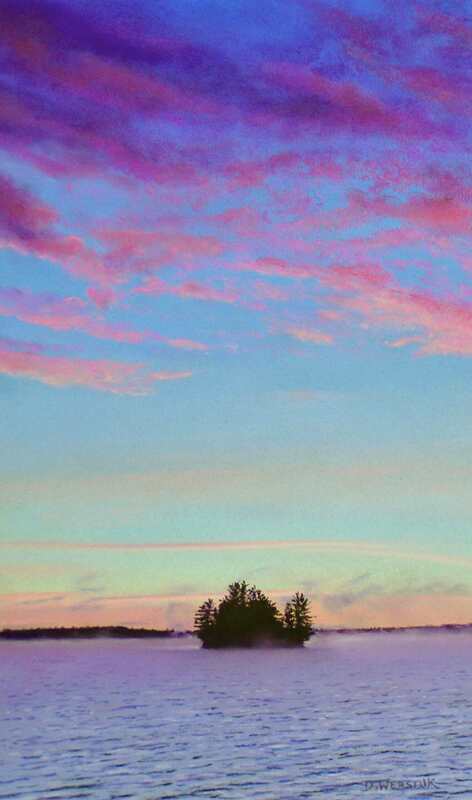 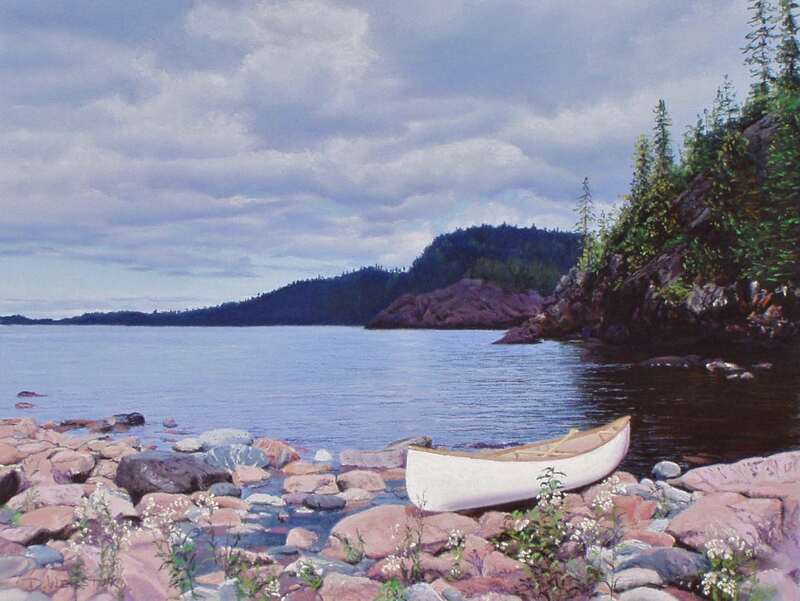 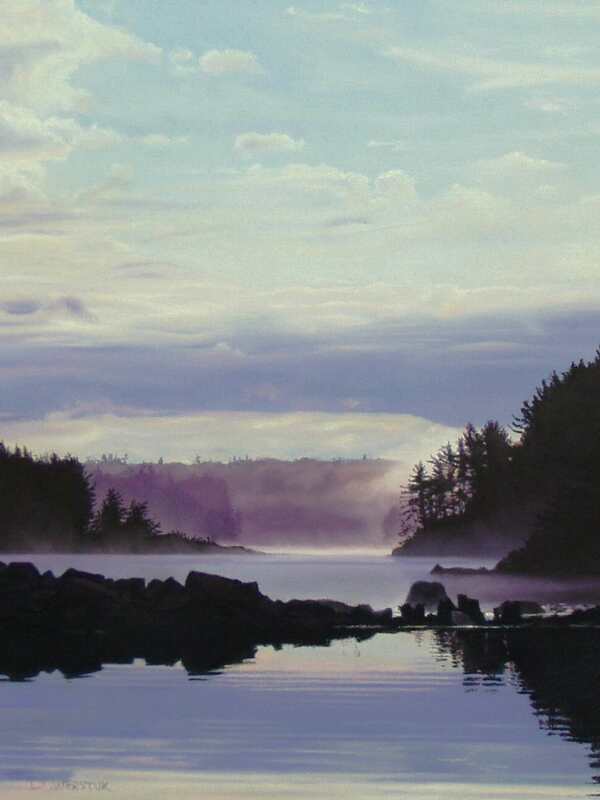 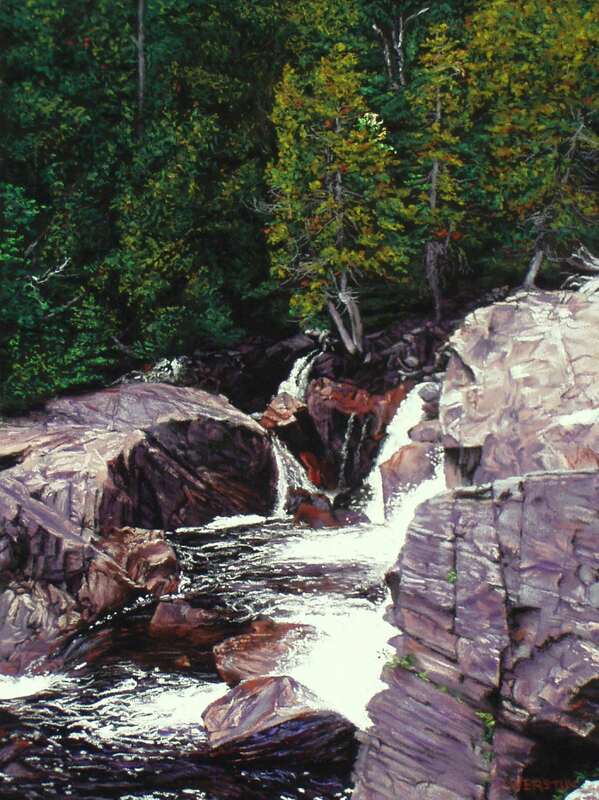 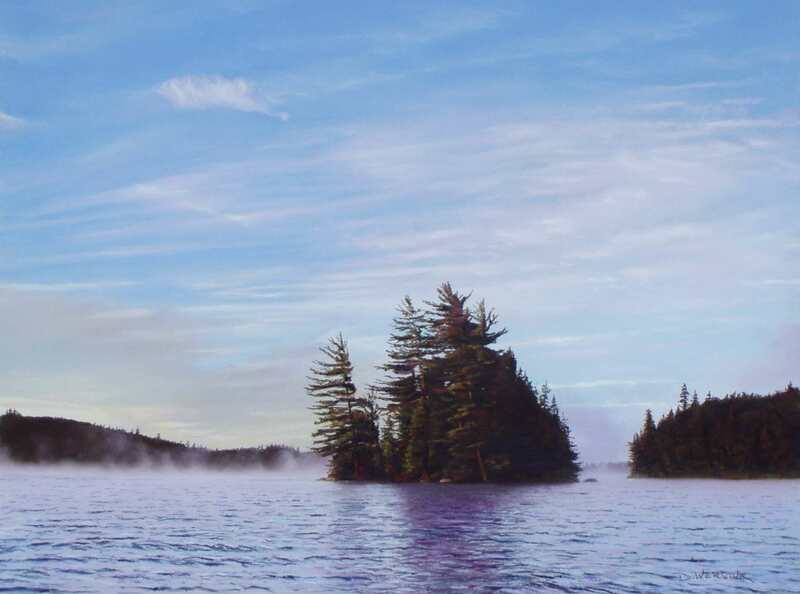 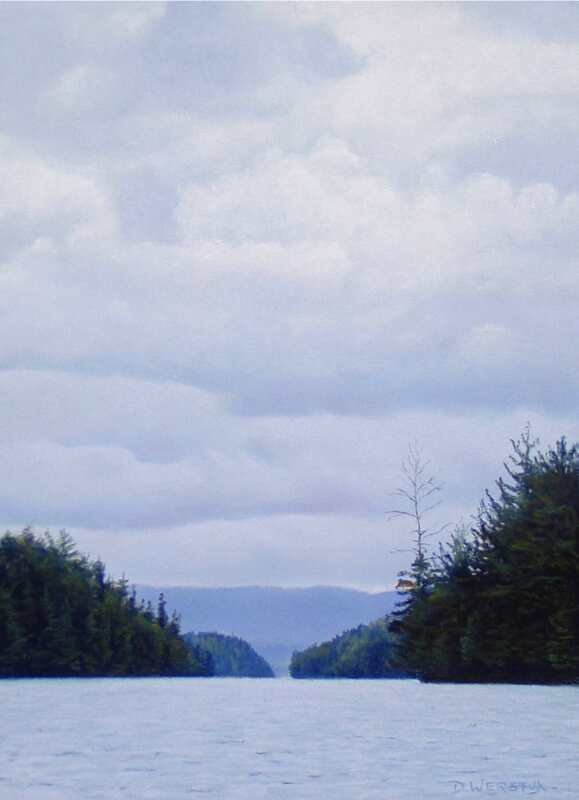 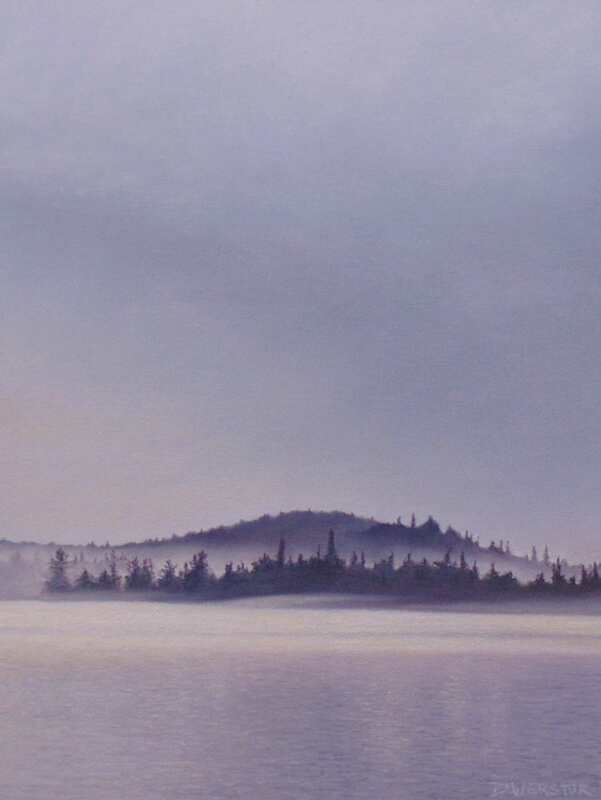 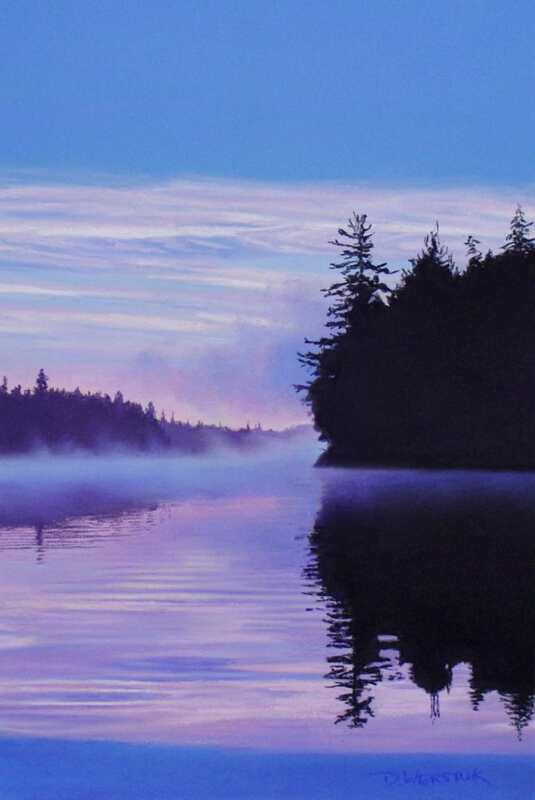 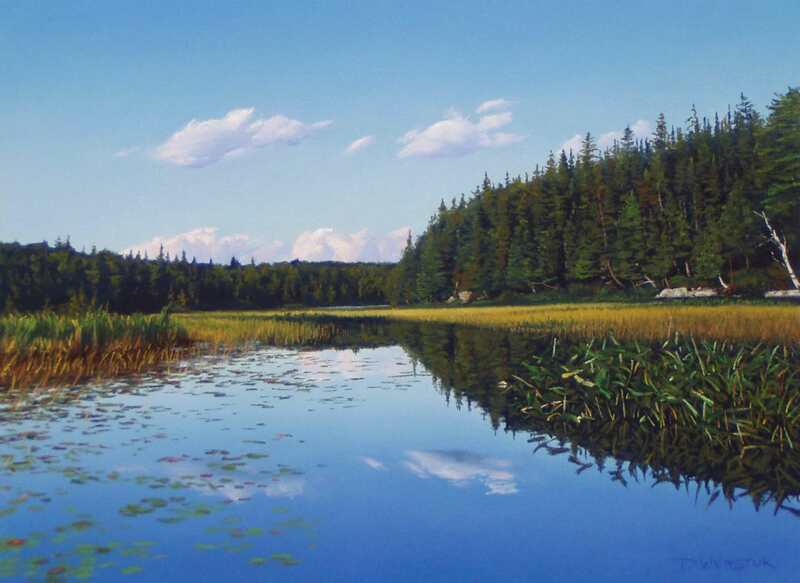 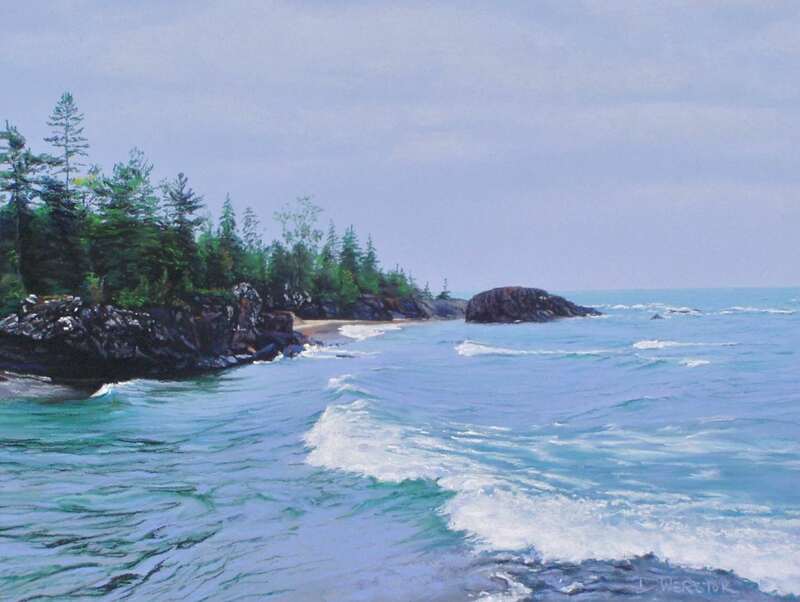 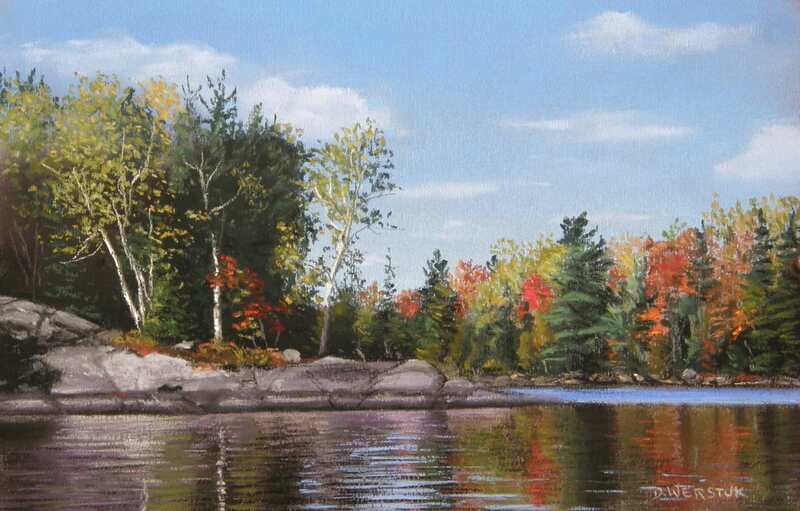 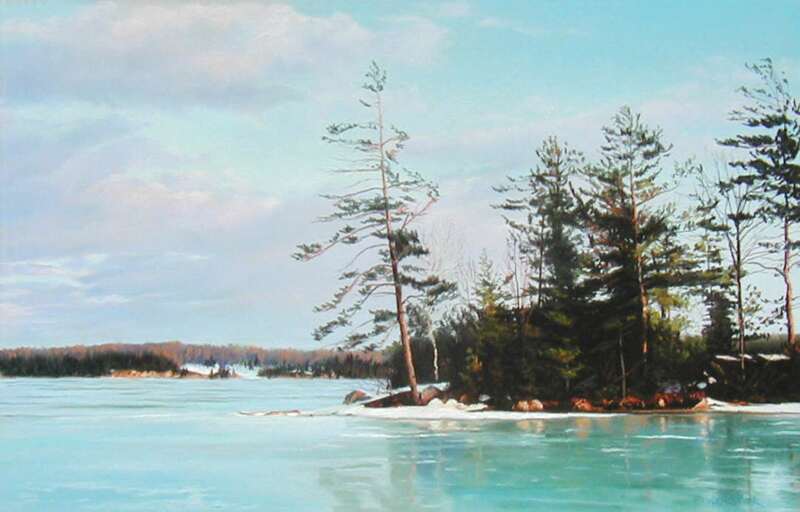 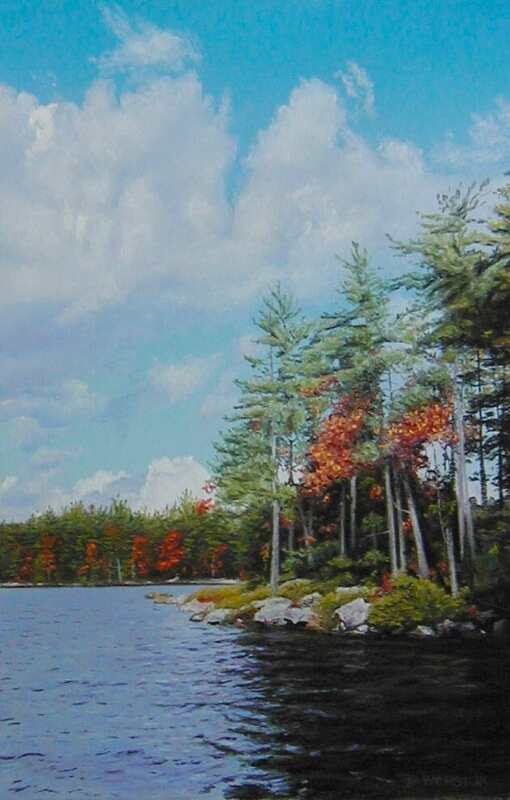 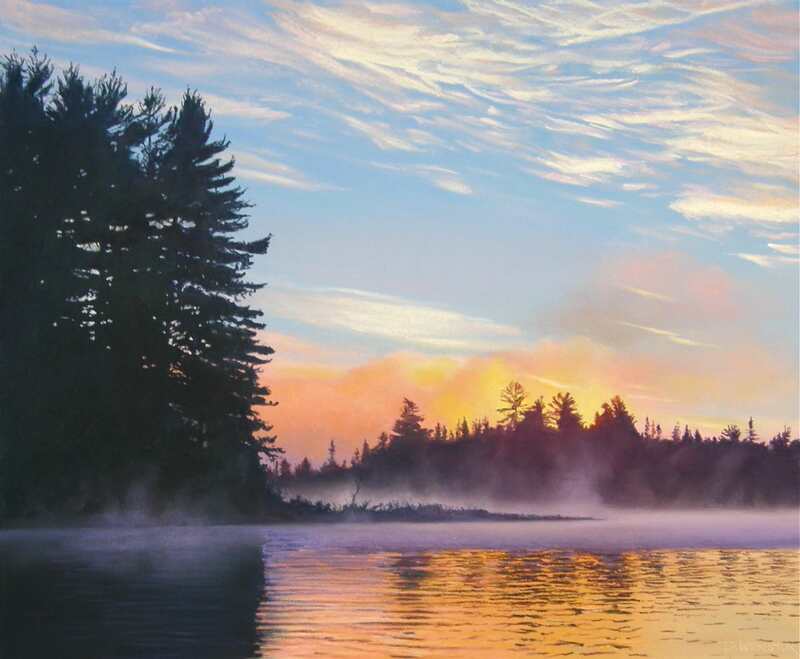 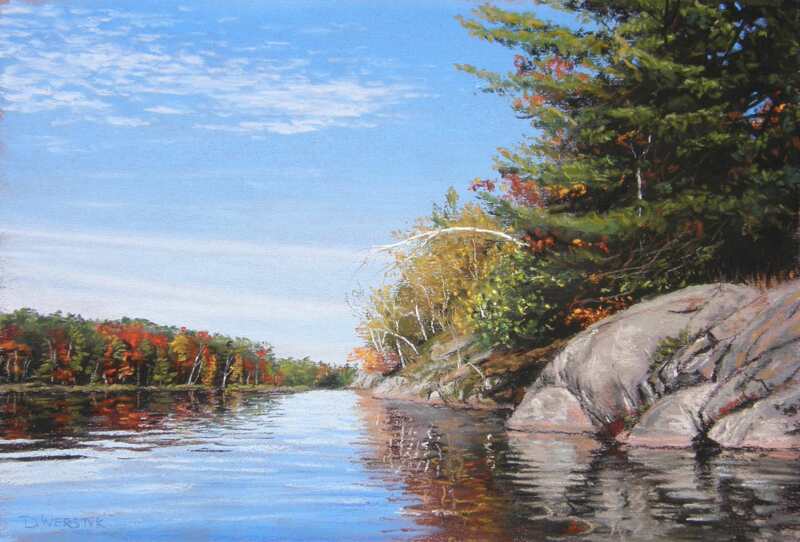 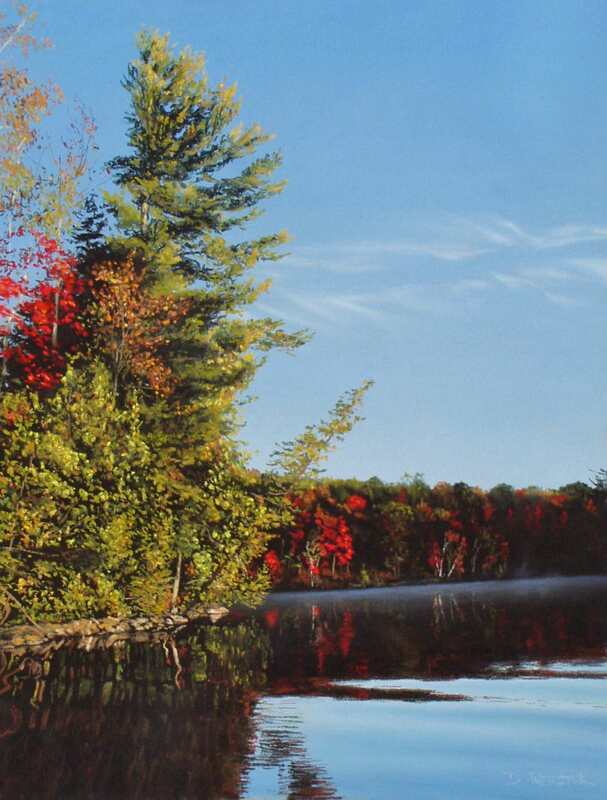 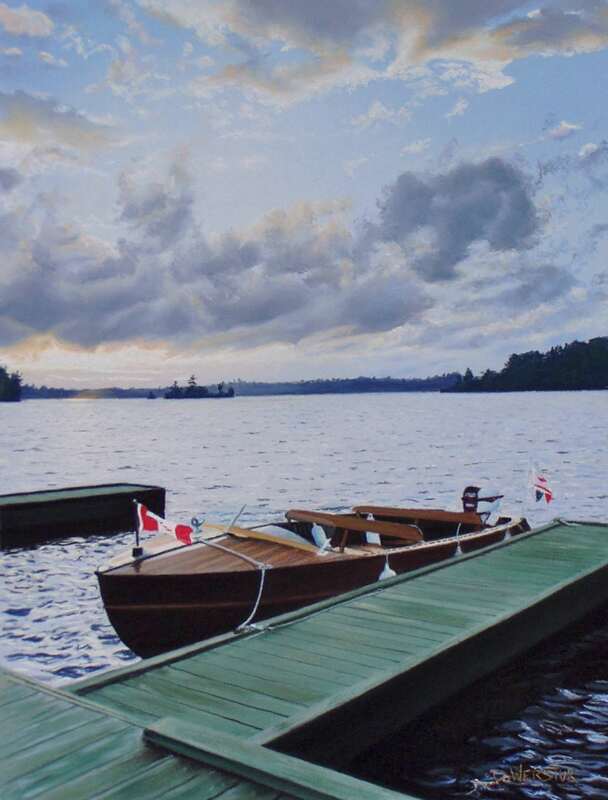 These art paintings are part of the 'Algonquin Series'. 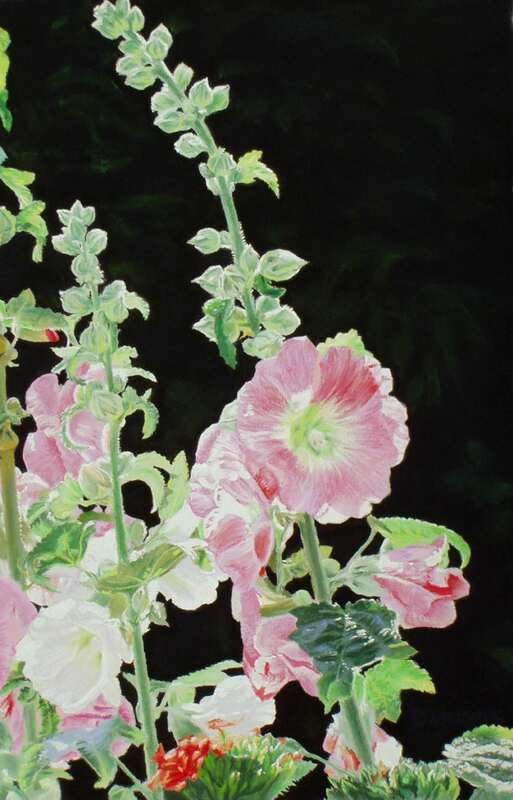 They are representative of years of exploration and study via sketches and photography, which served as a basis for the paintings in this volume. 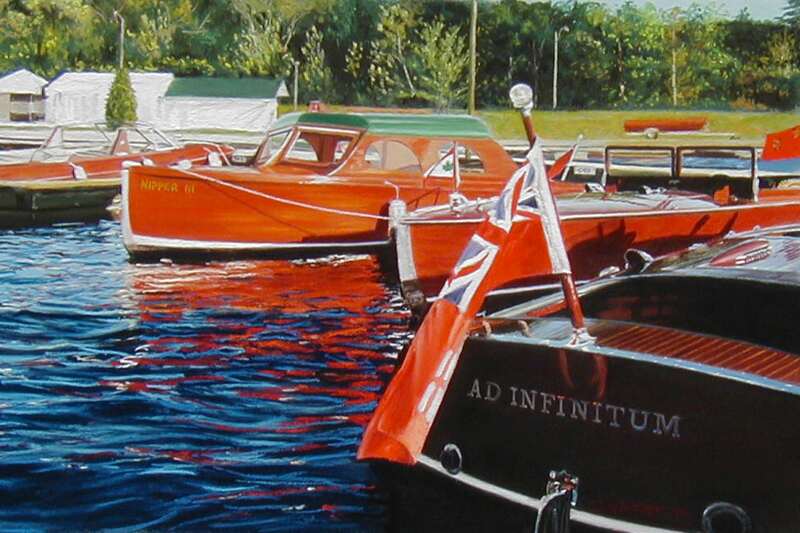 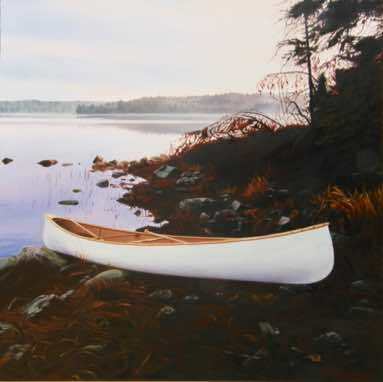 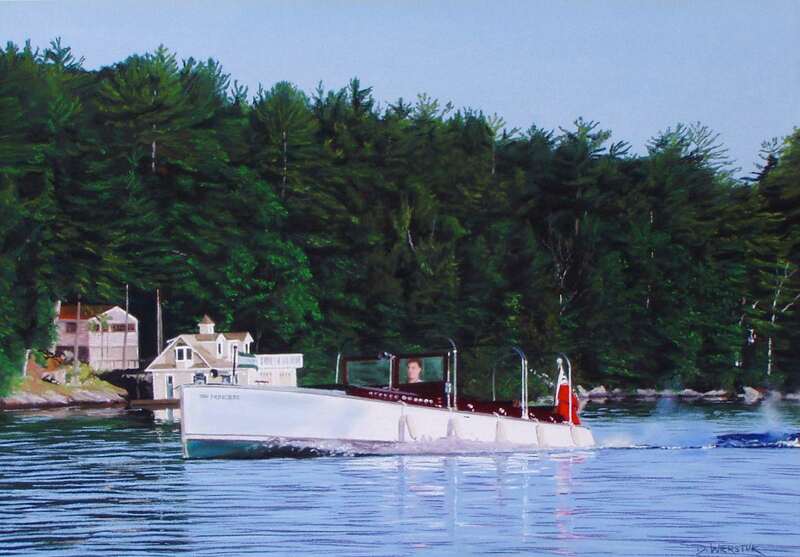 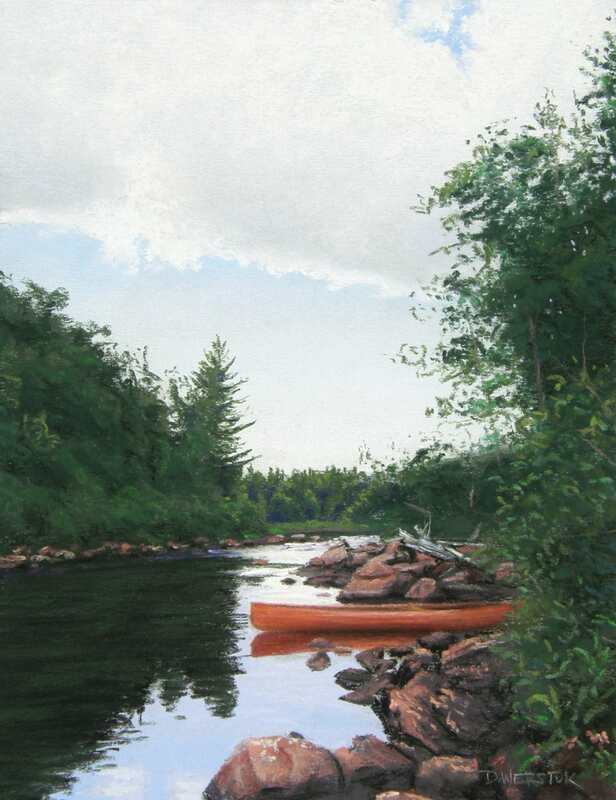 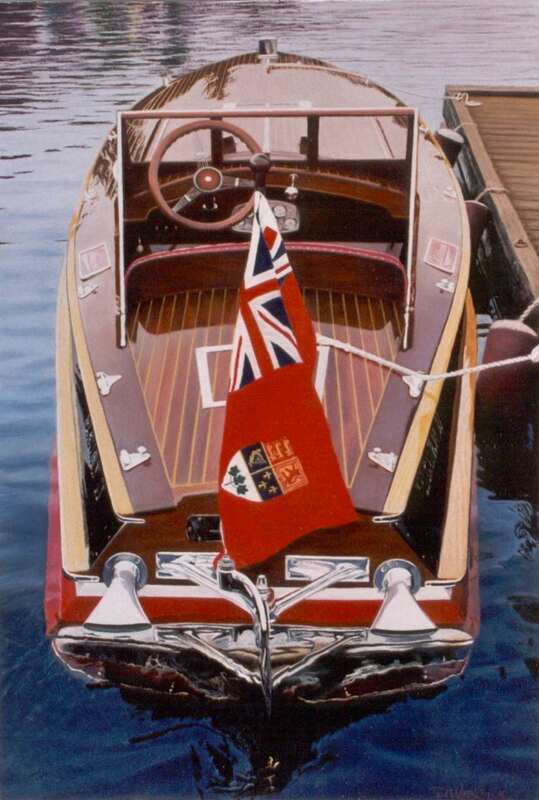 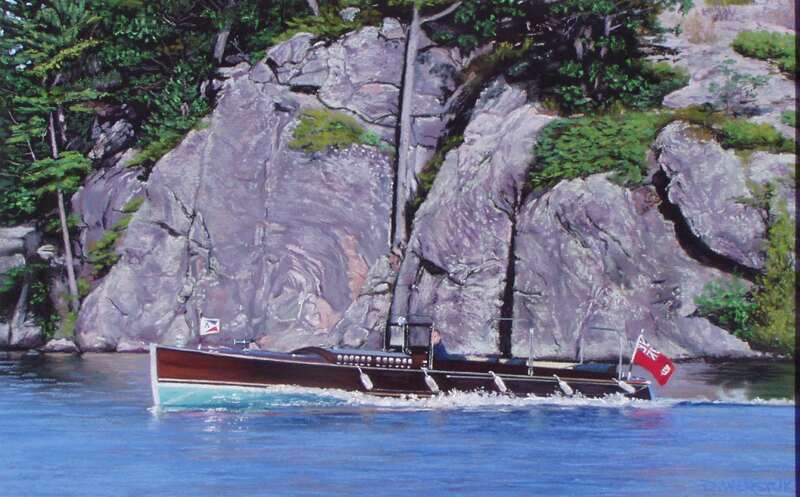 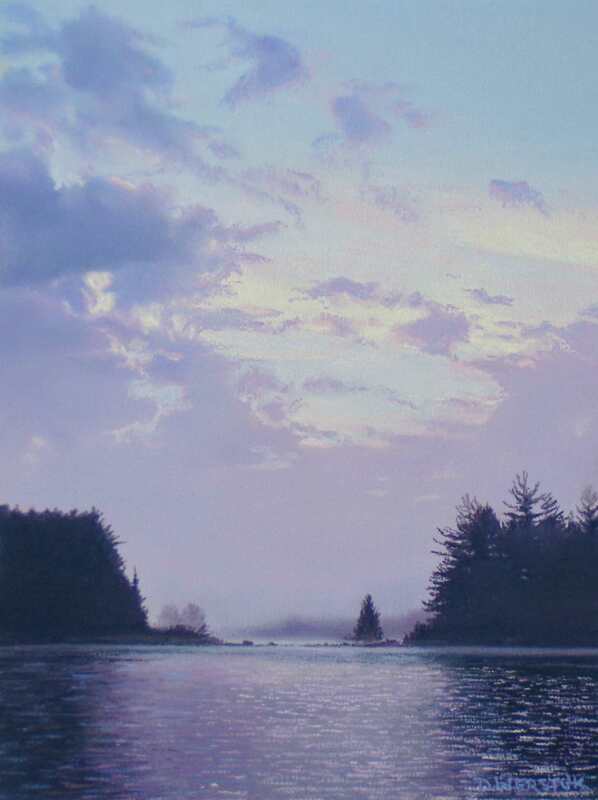 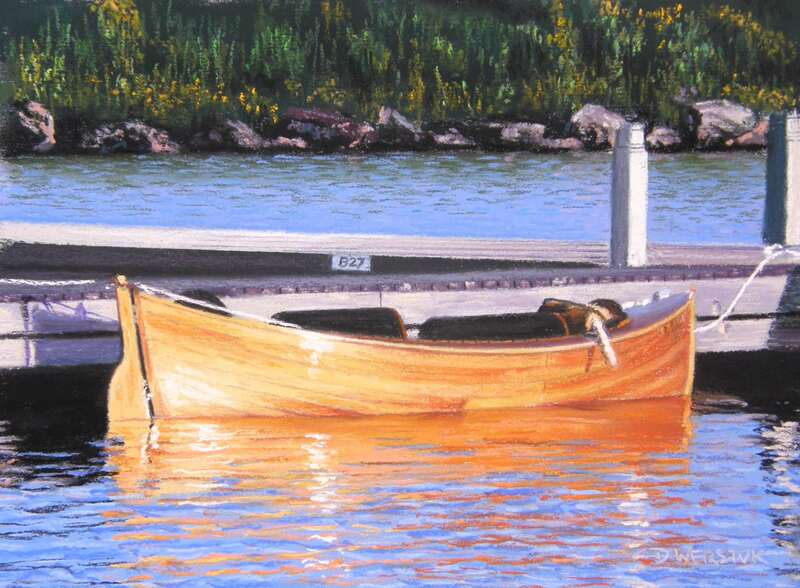 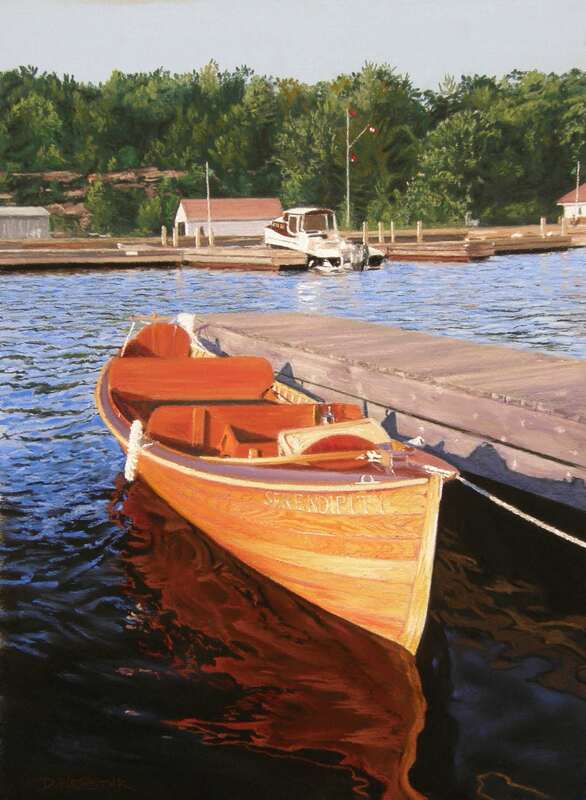 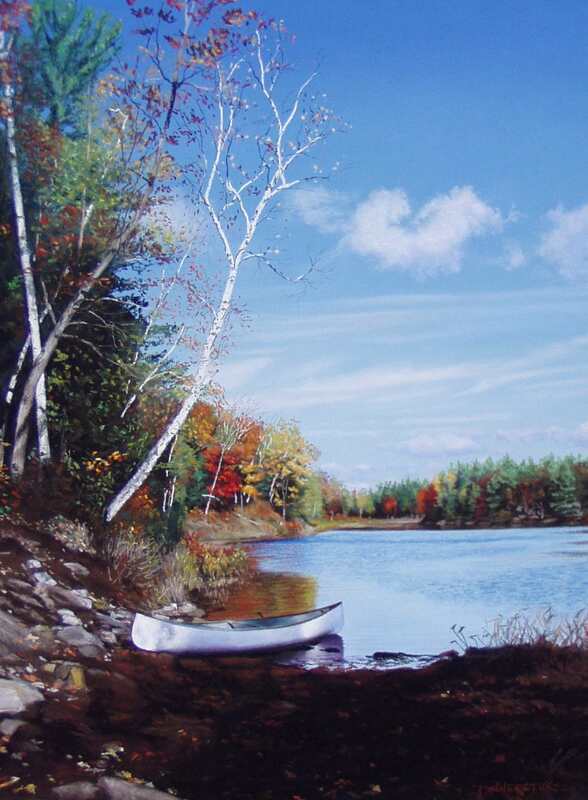 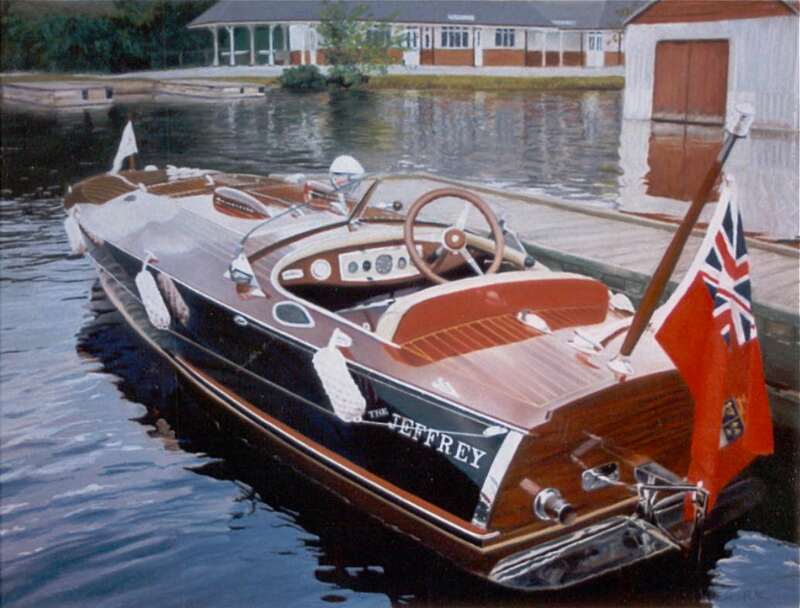 These paintings of the classic boats of the Muskoka area include Greavette and Ditchburn boats. 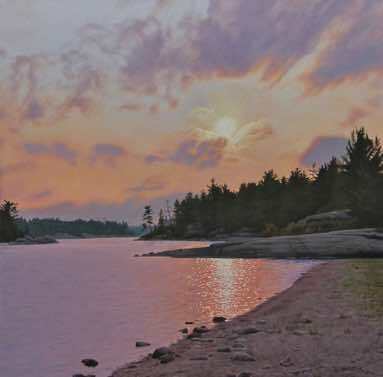 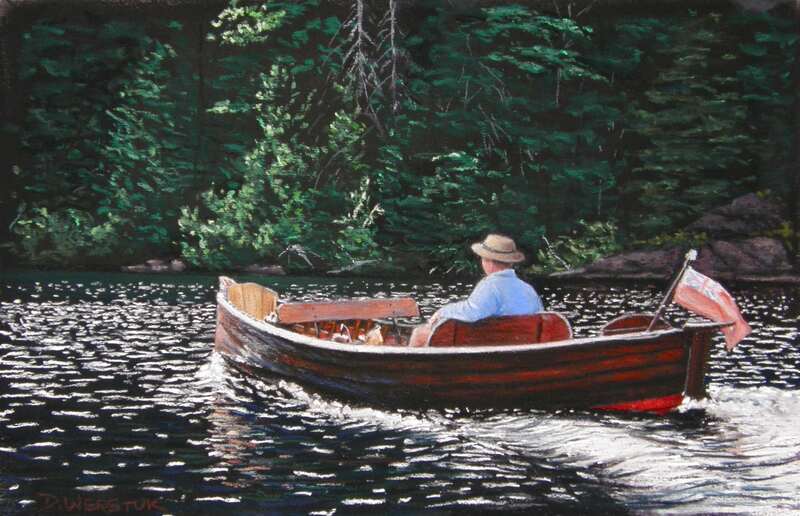 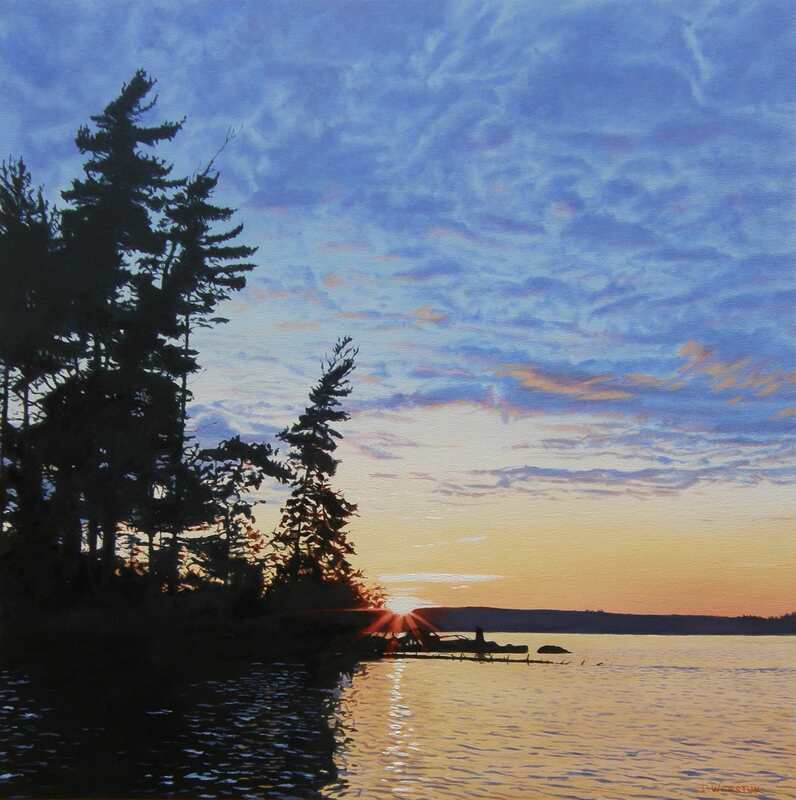 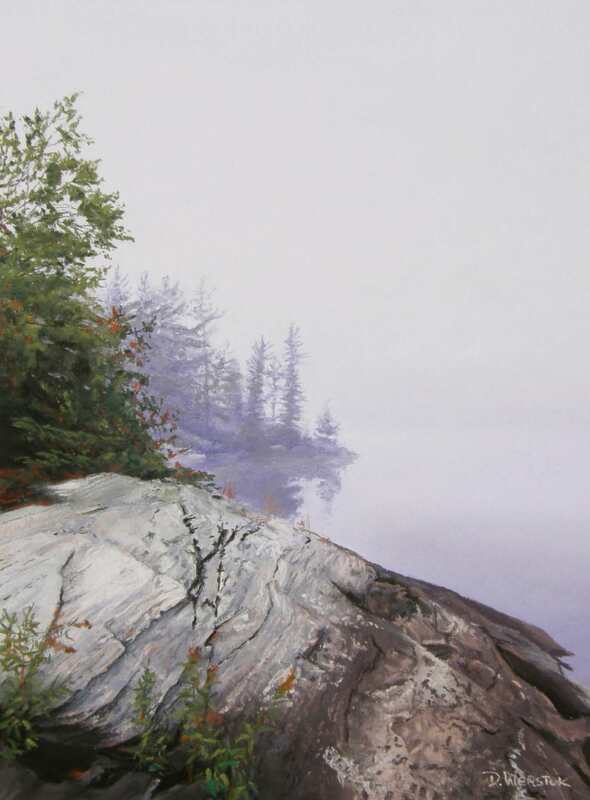 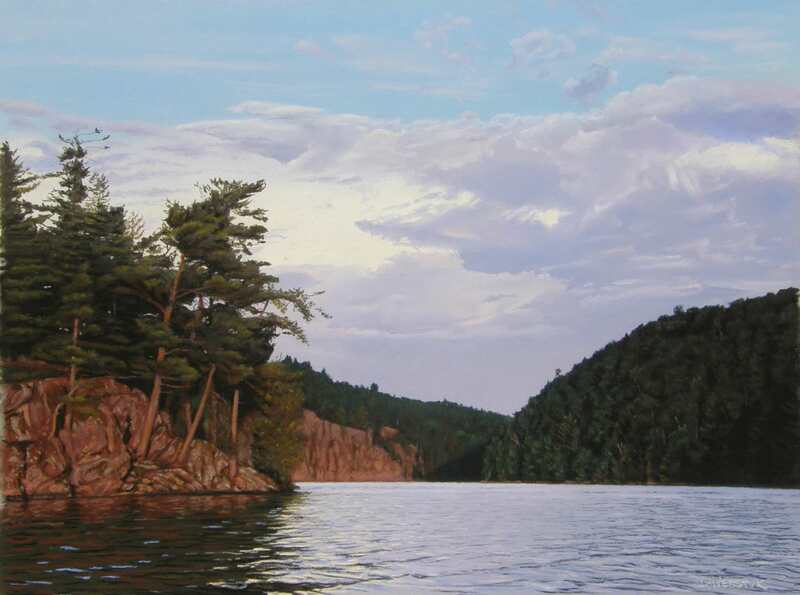 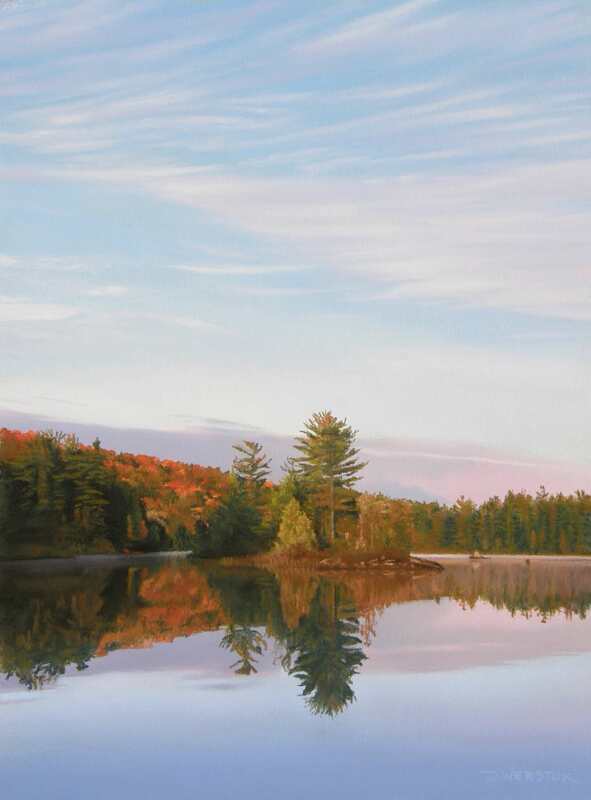 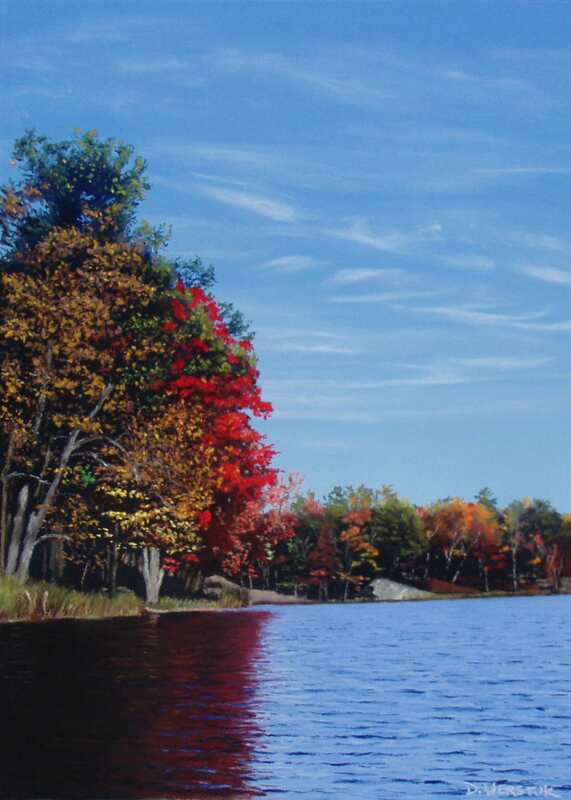 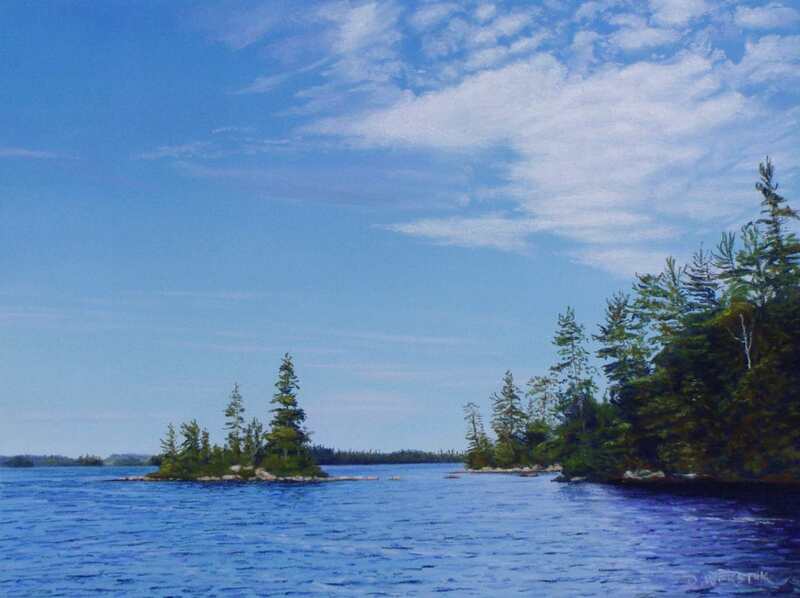 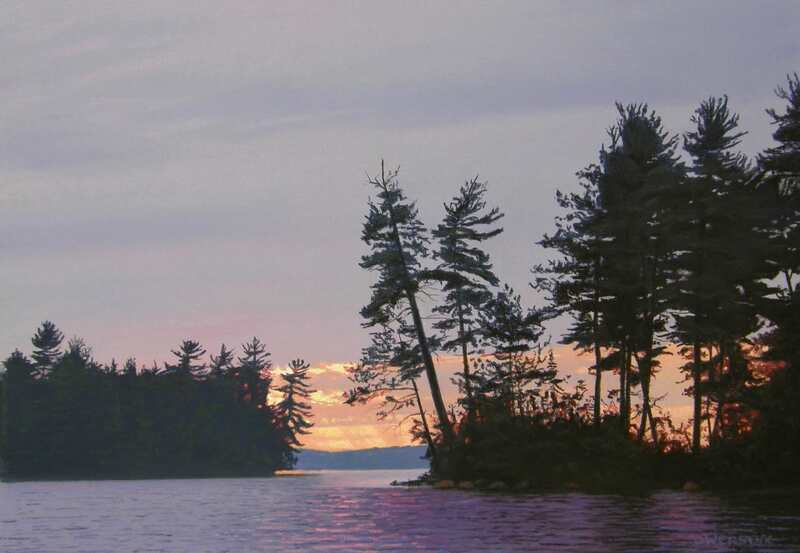 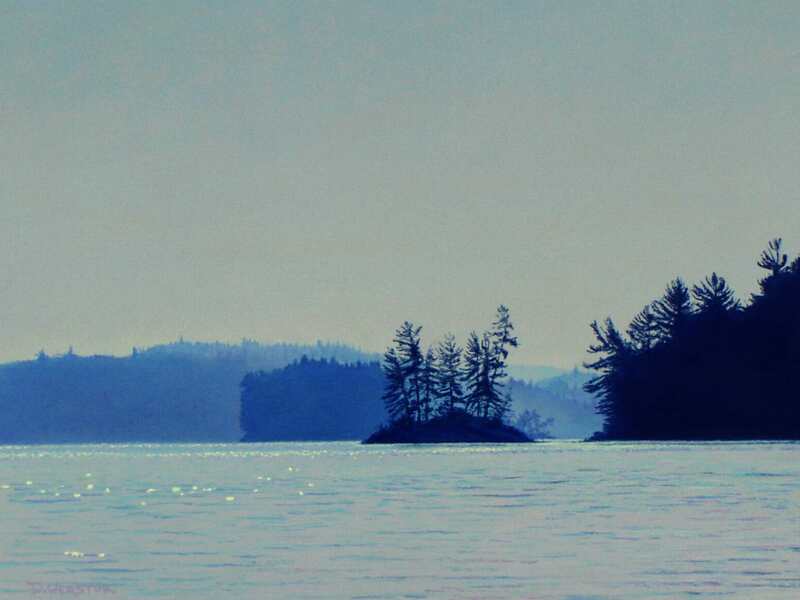 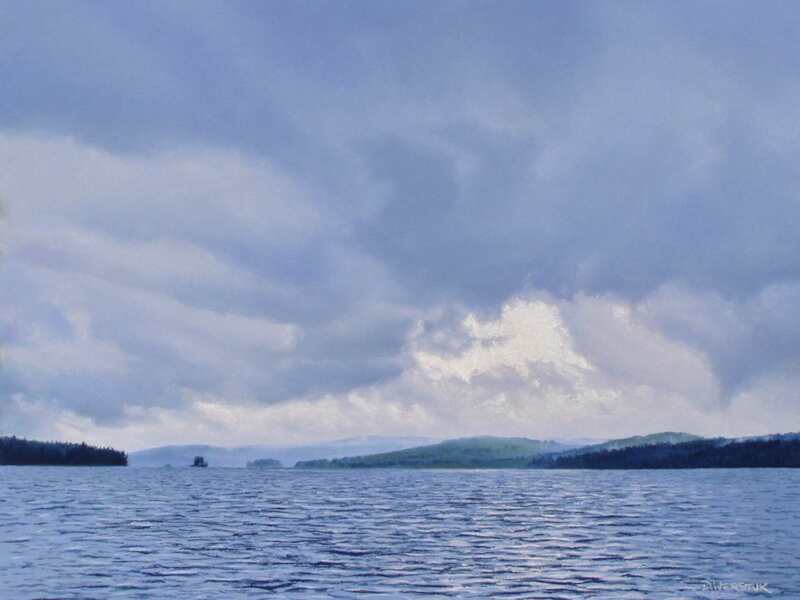 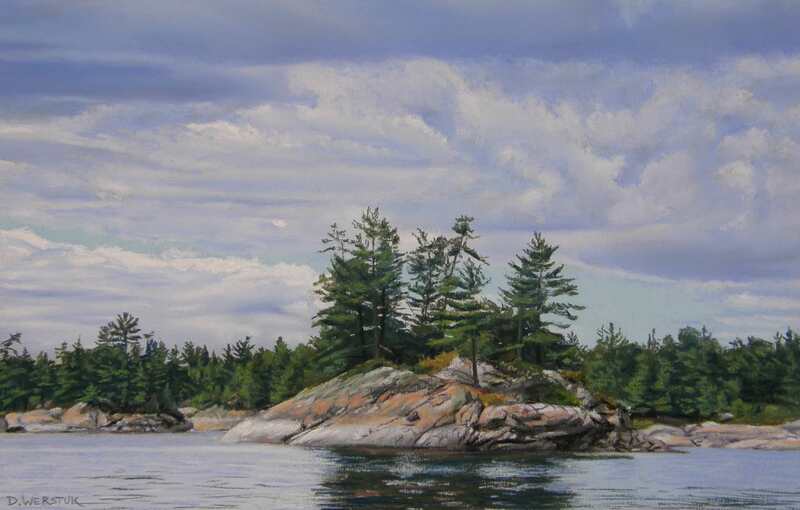 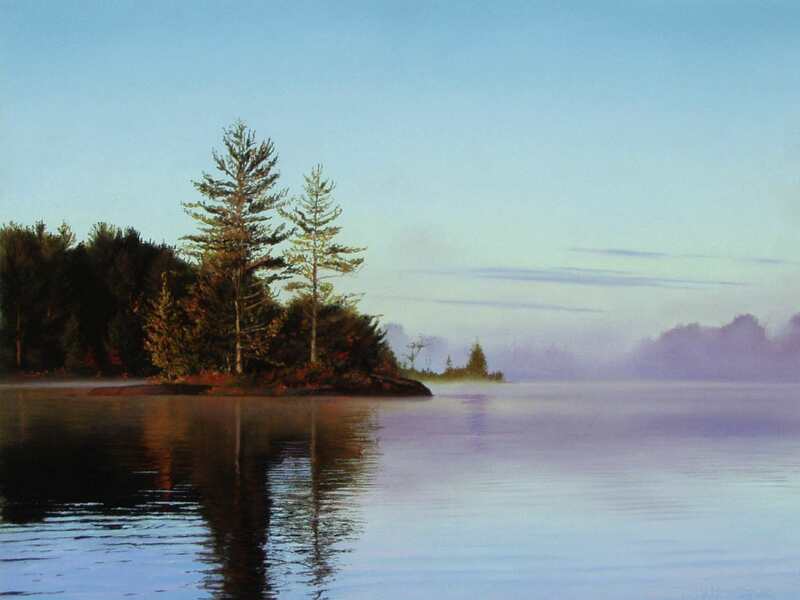 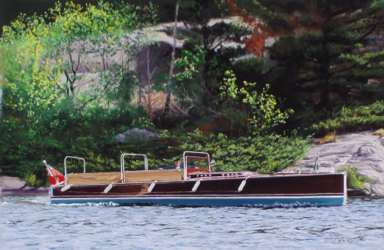 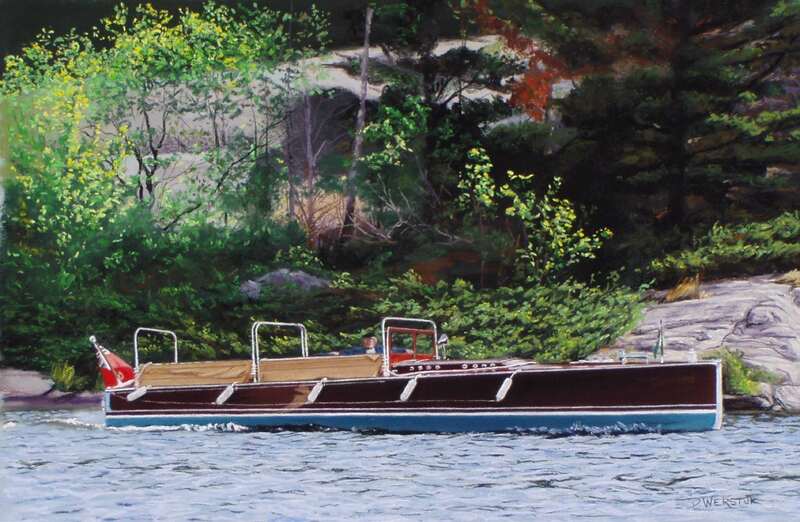 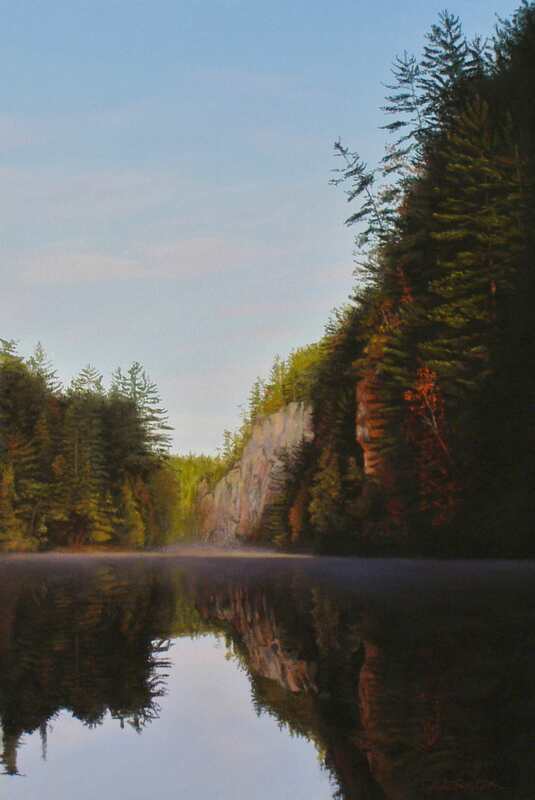 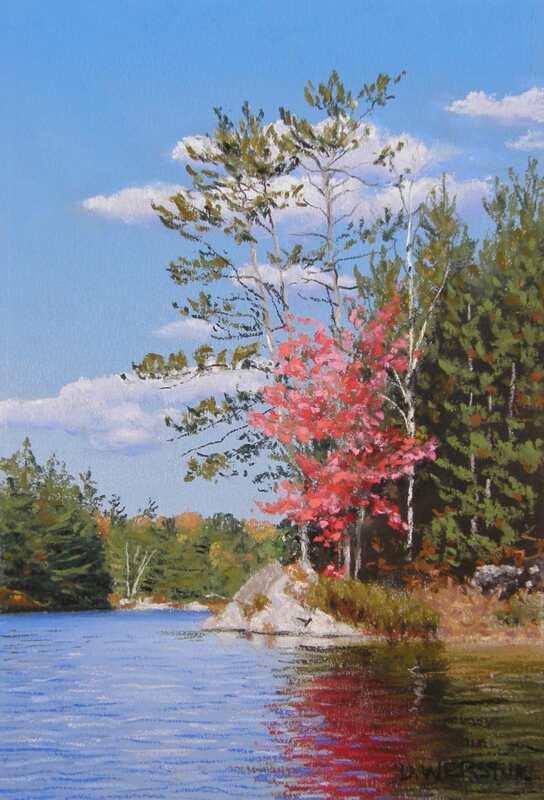 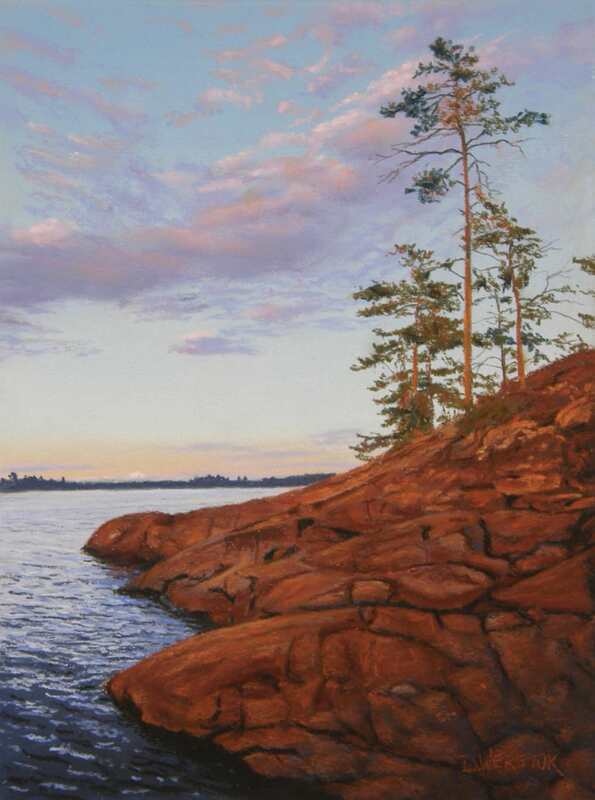 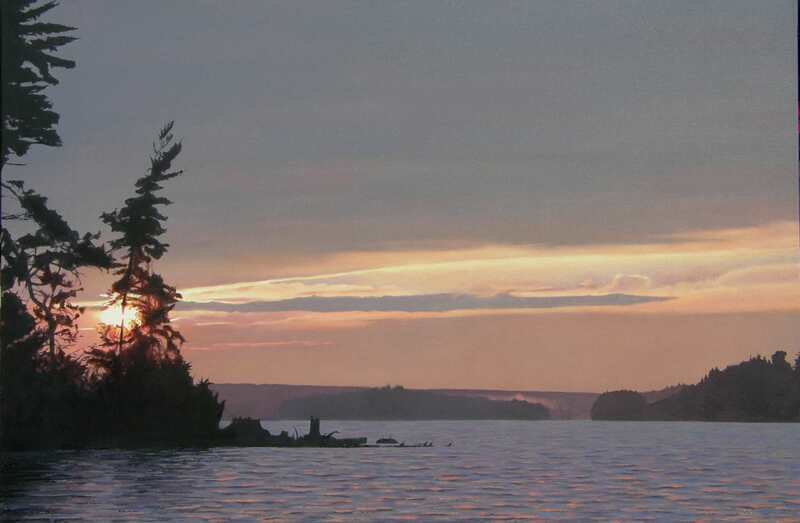 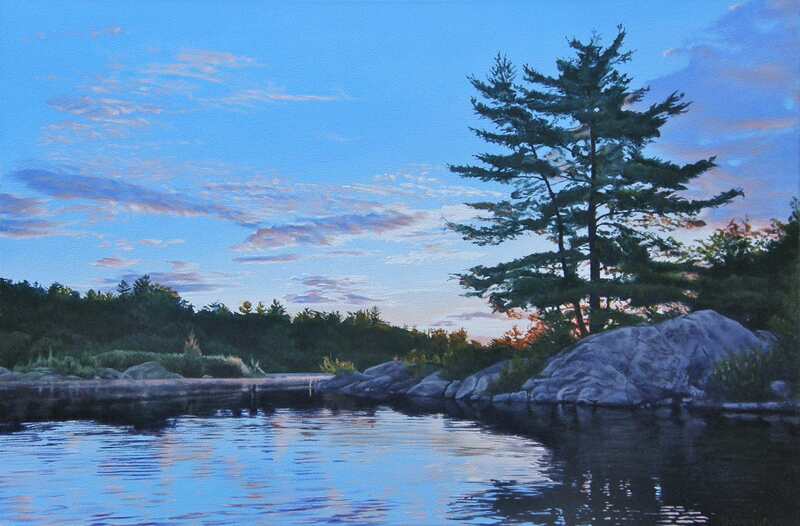 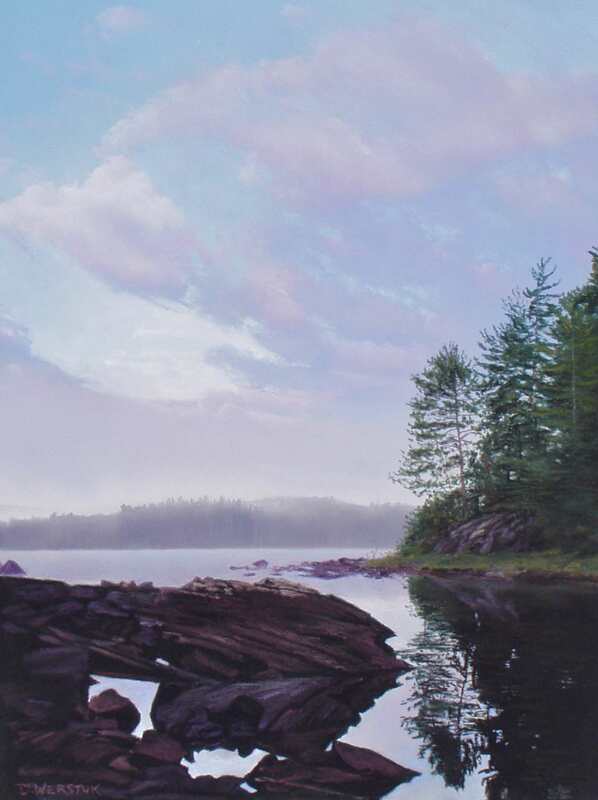 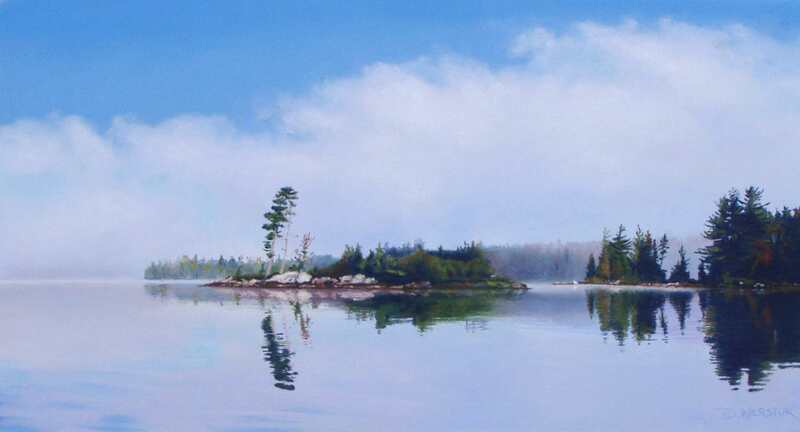 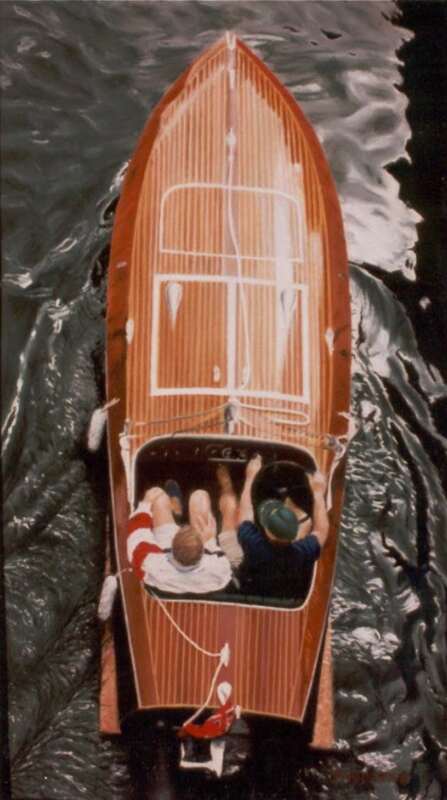 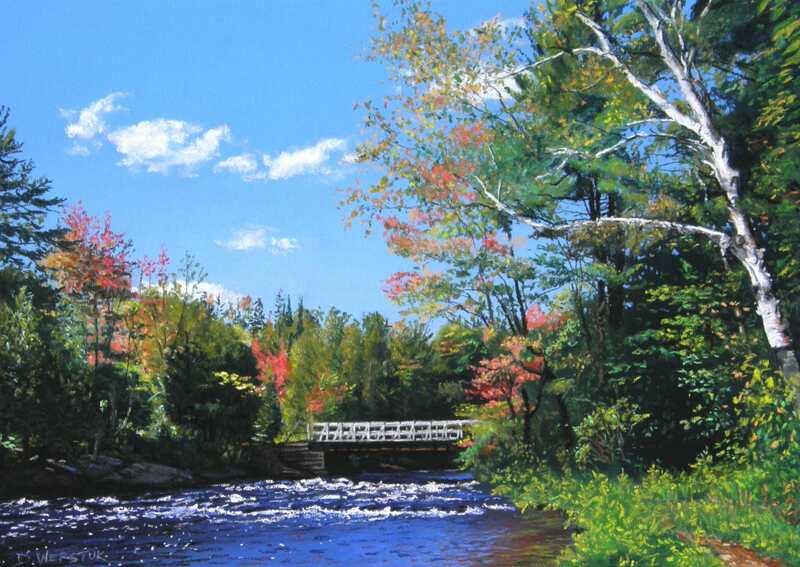 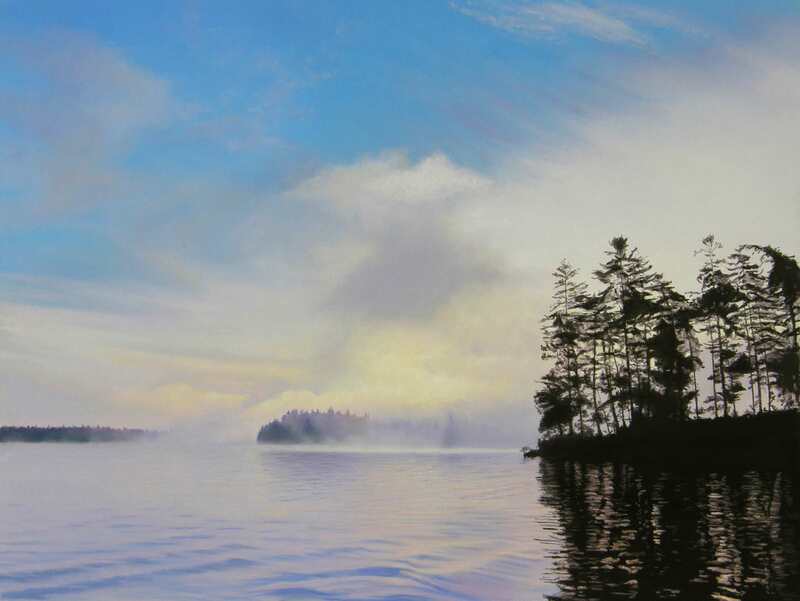 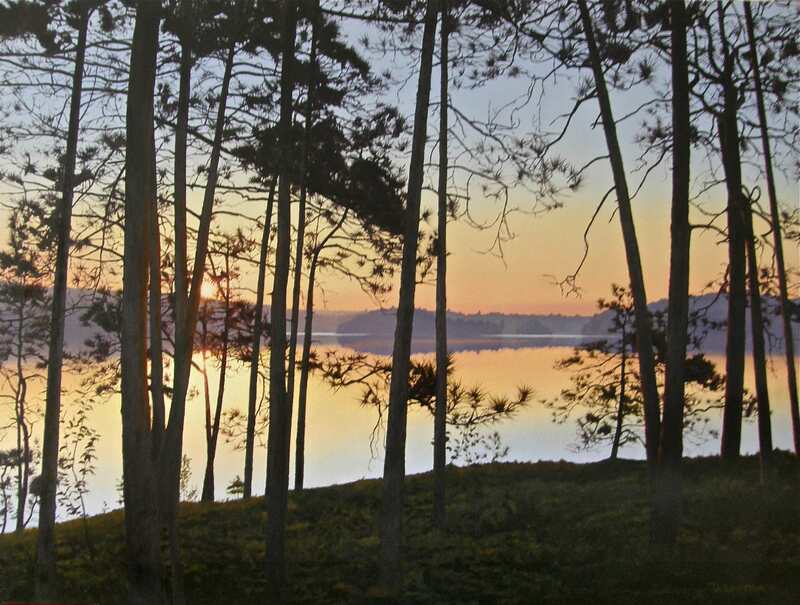 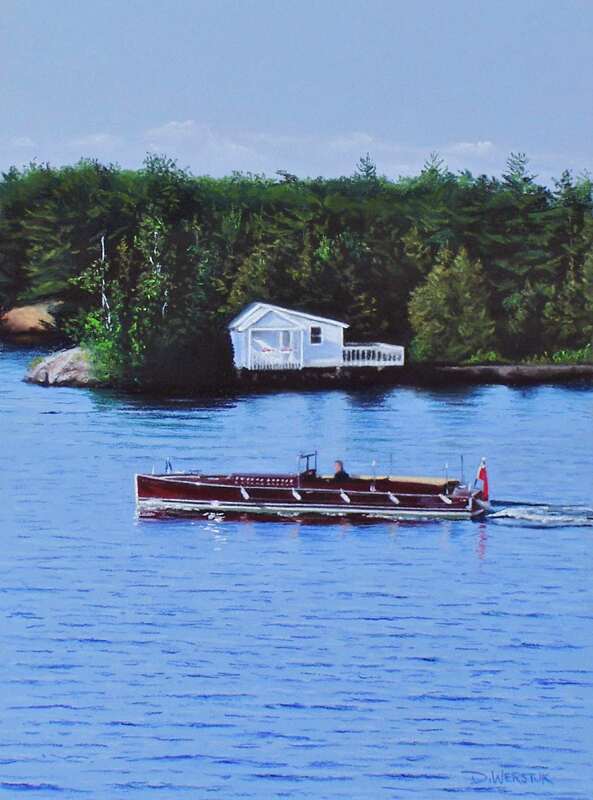 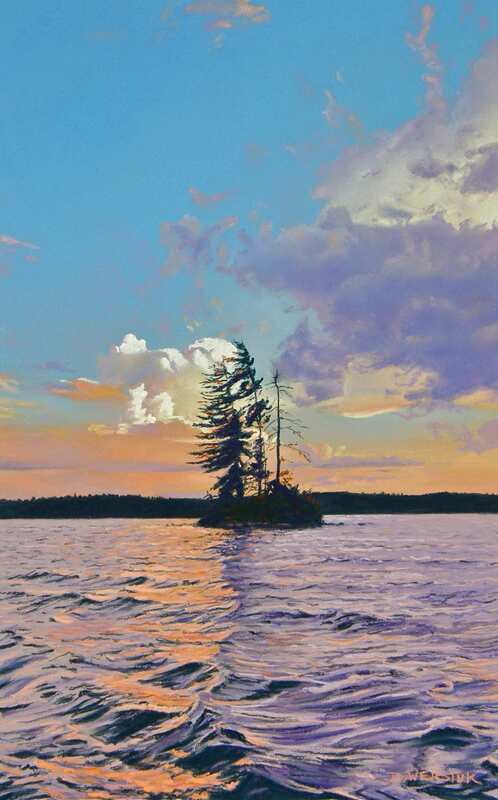 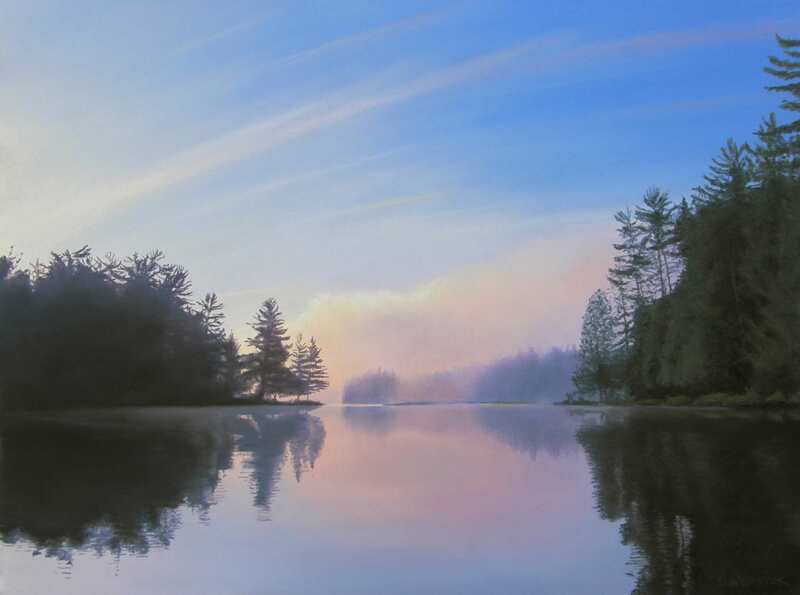 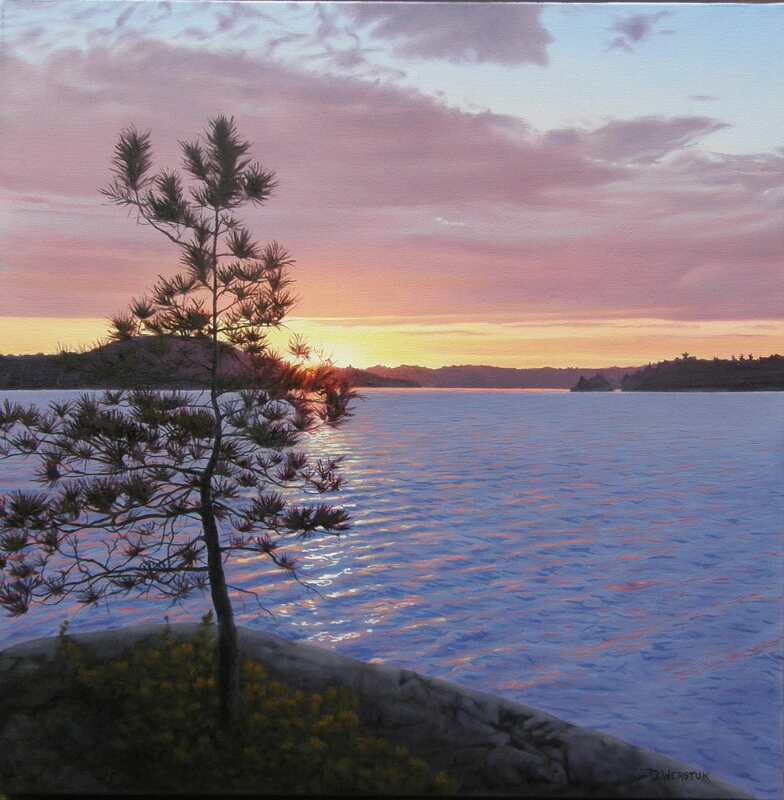 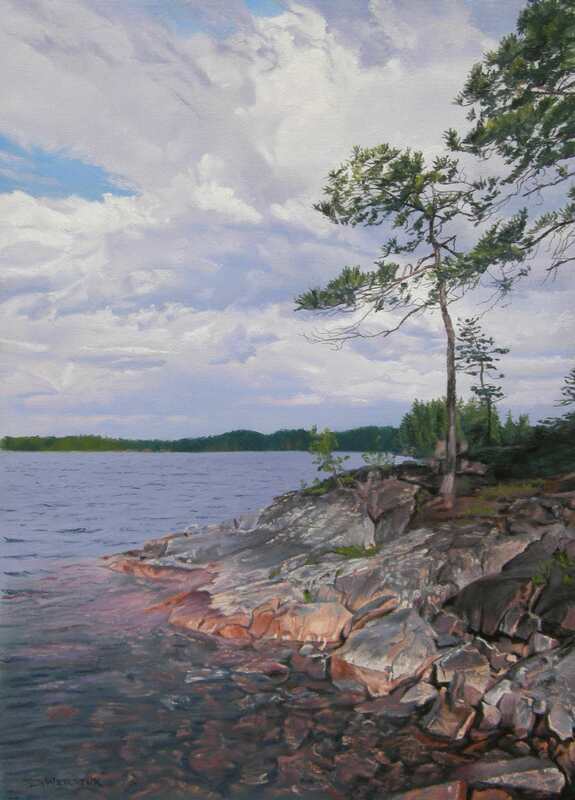 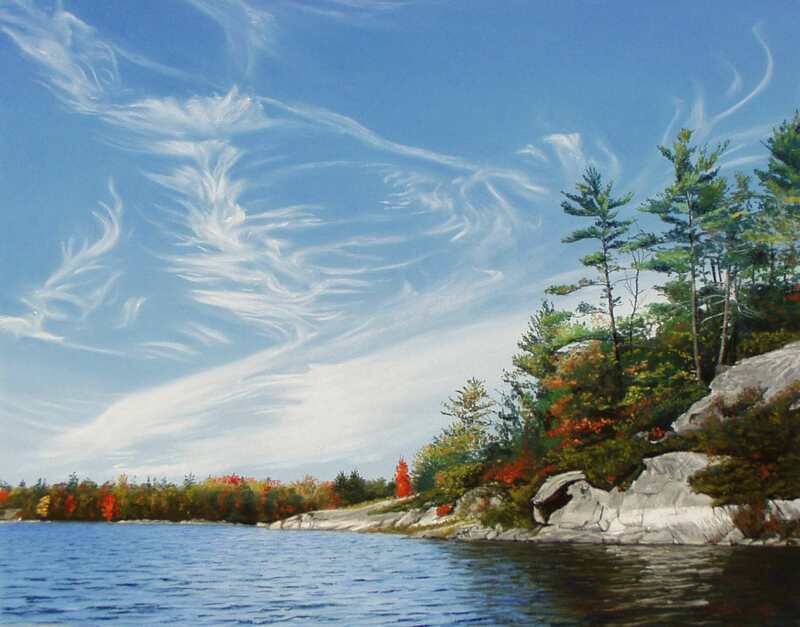 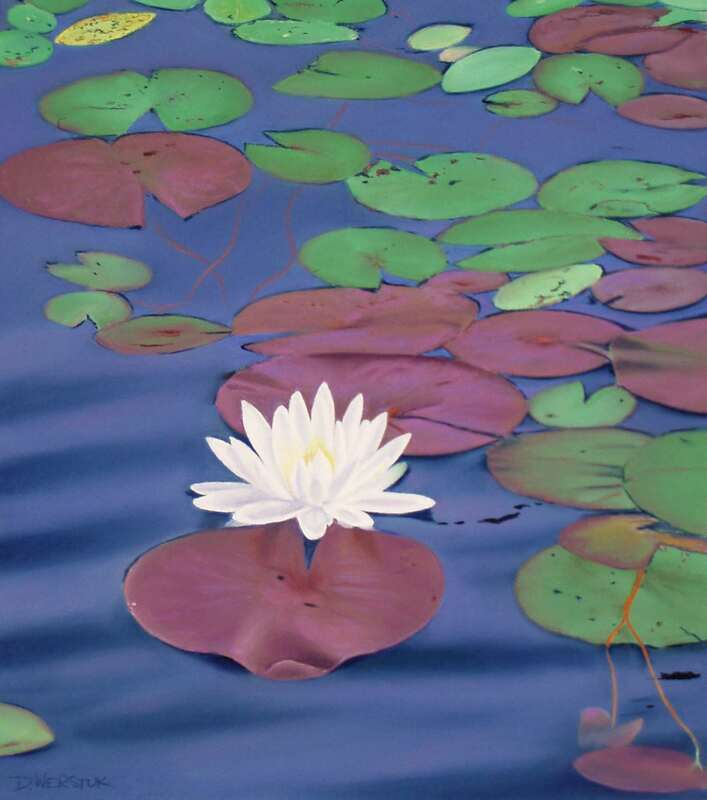 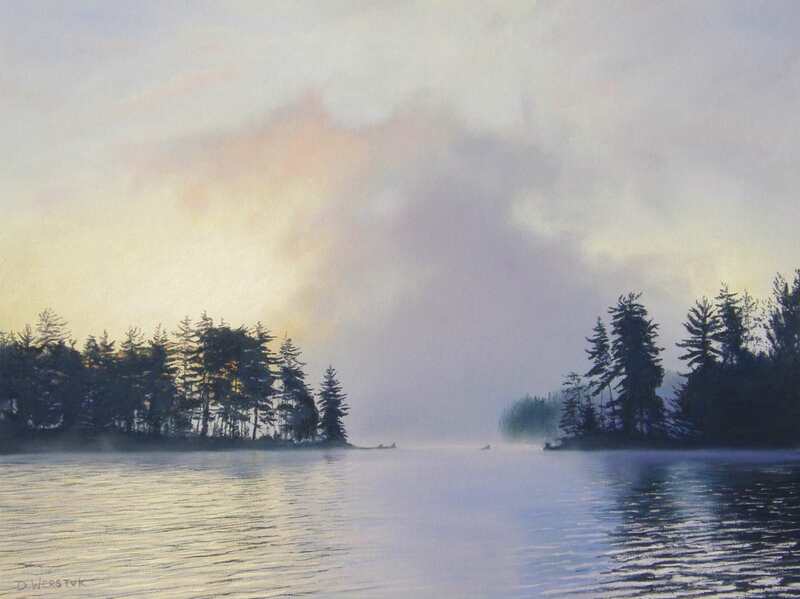 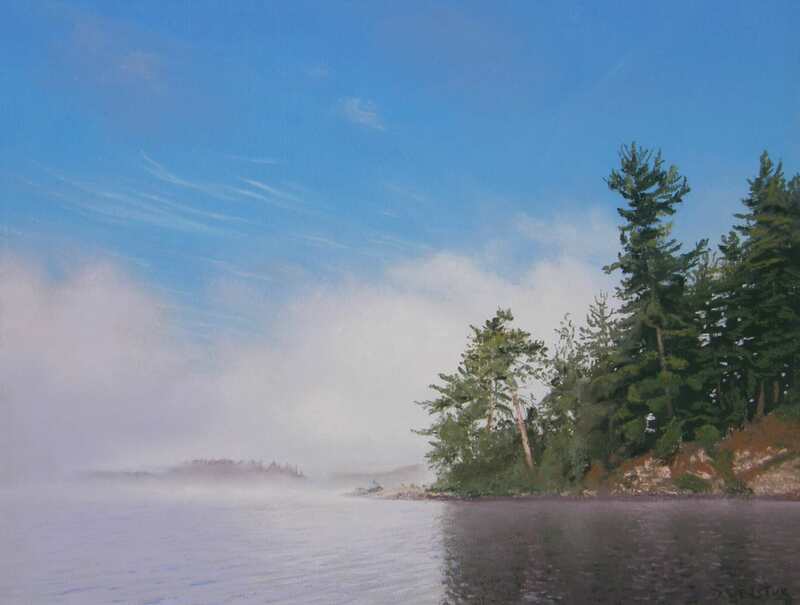 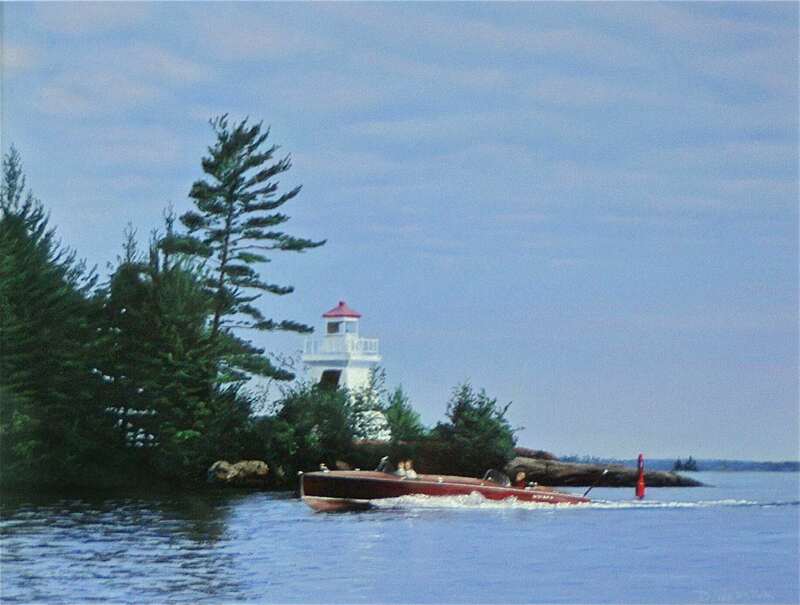 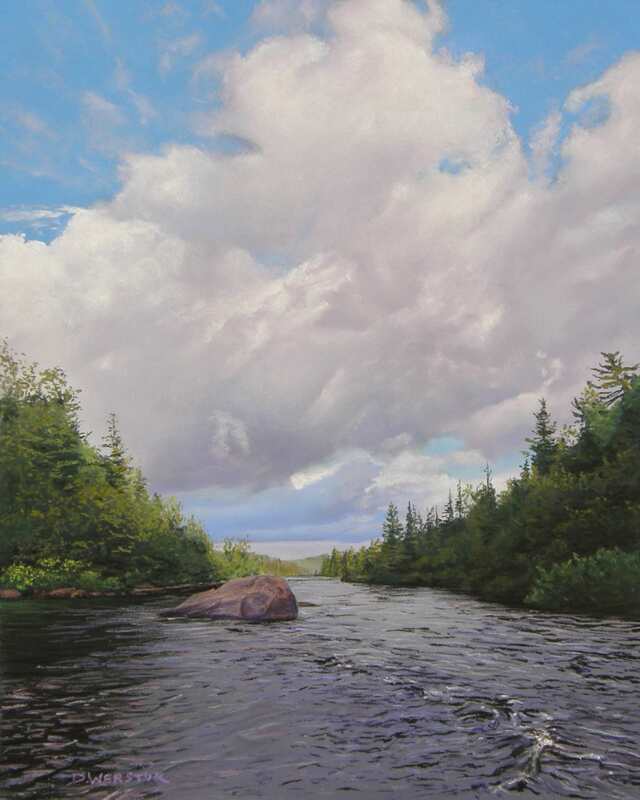 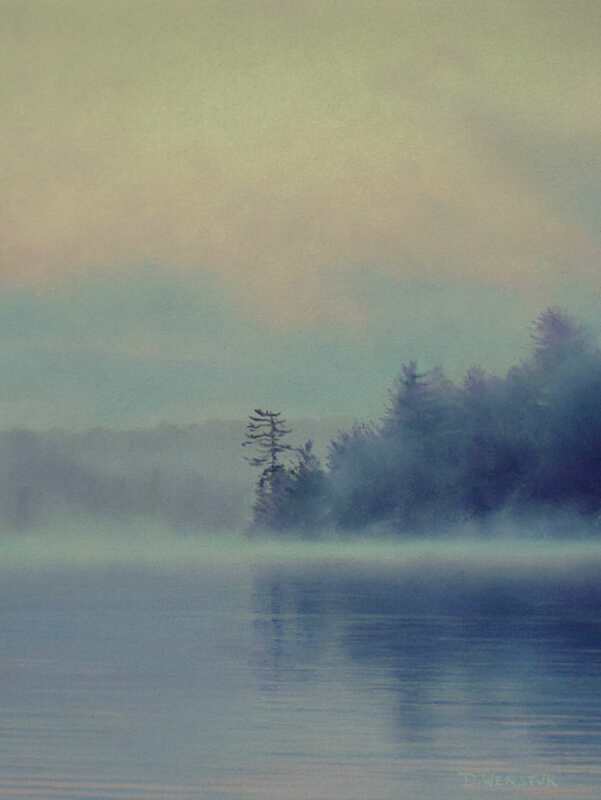 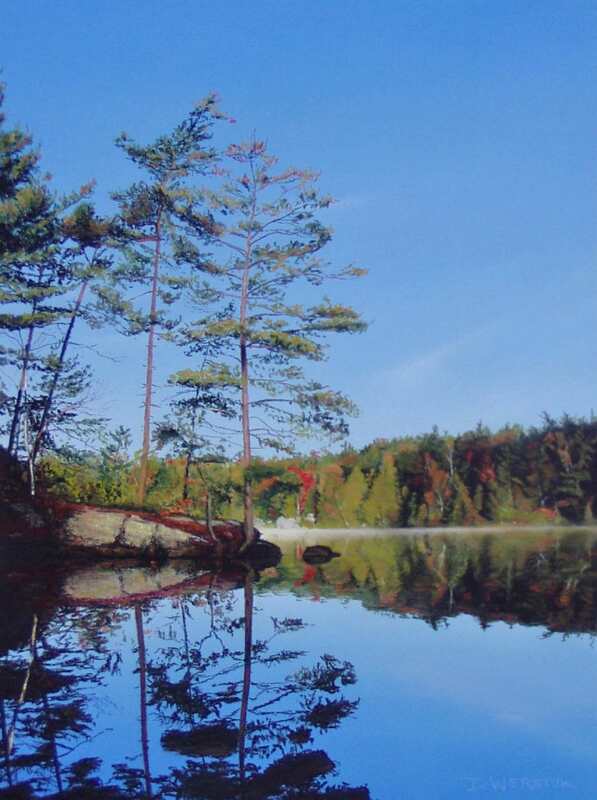 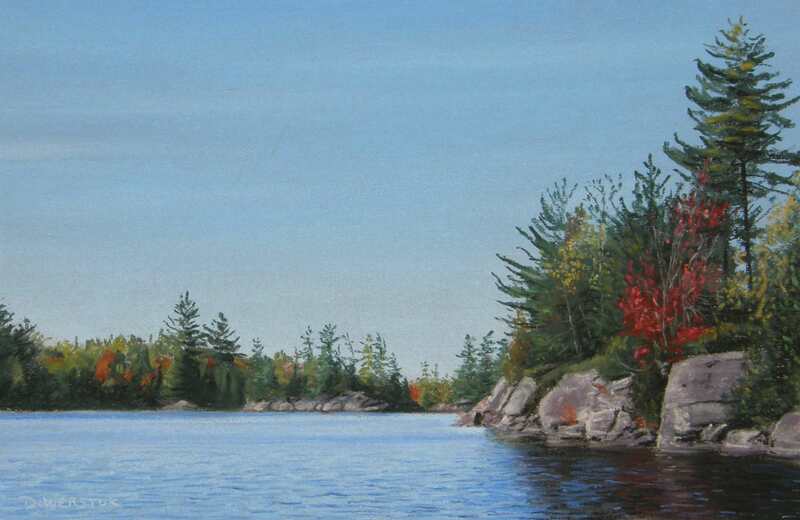 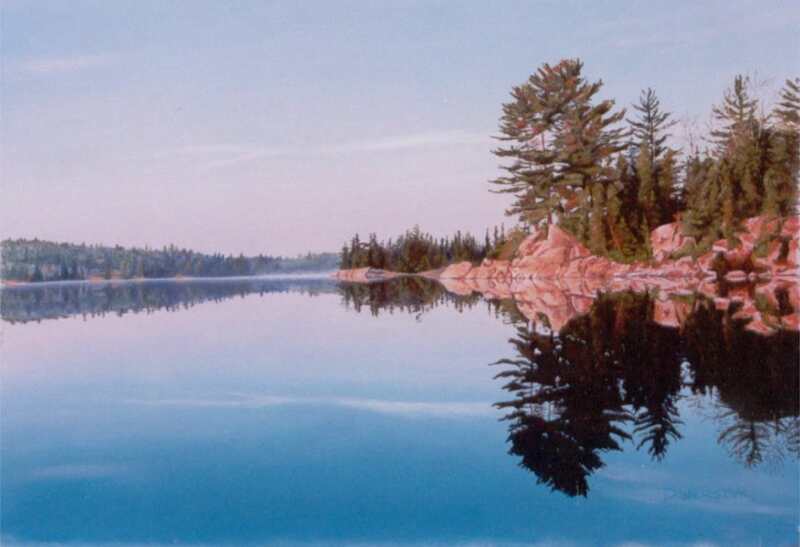 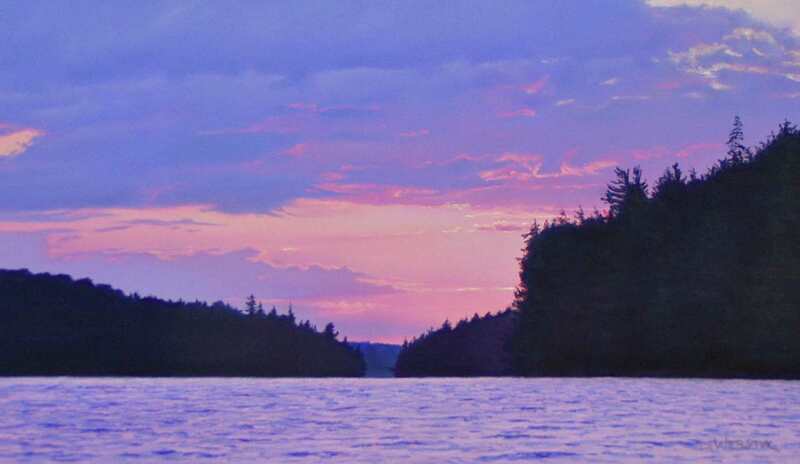 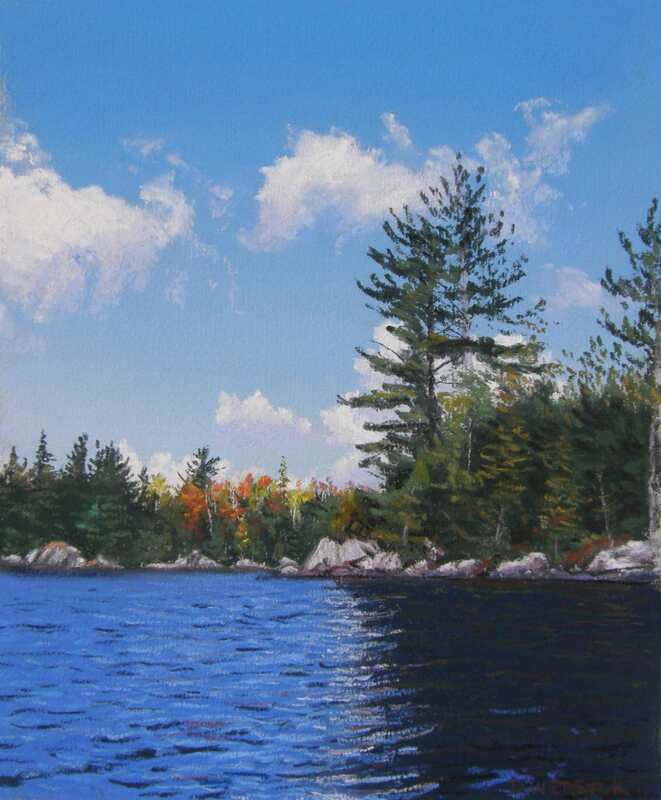 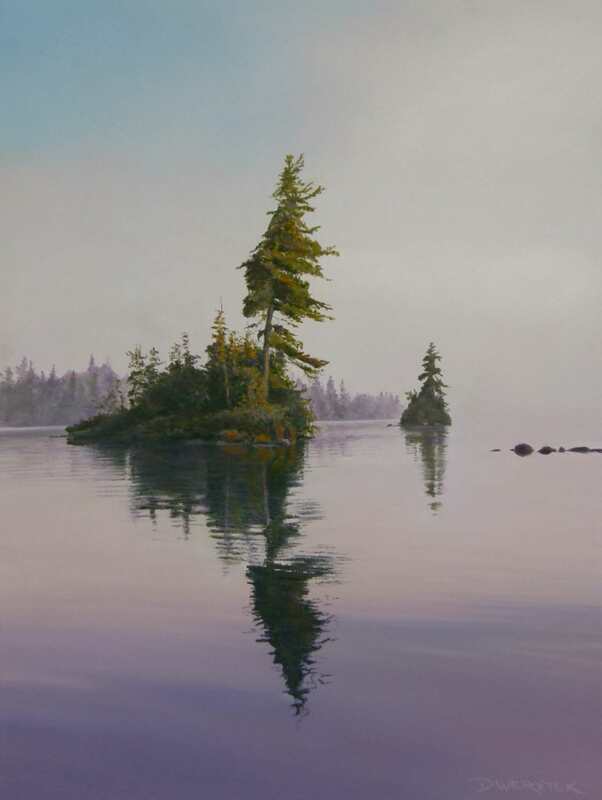 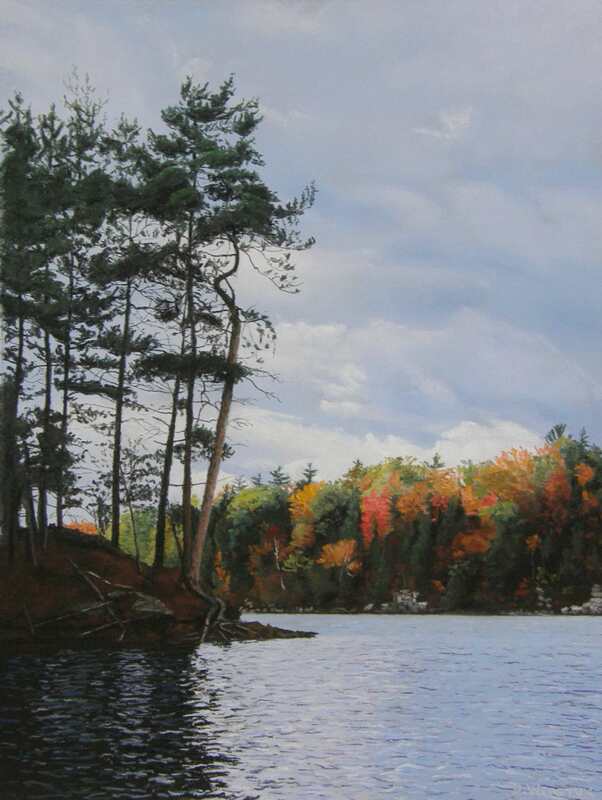 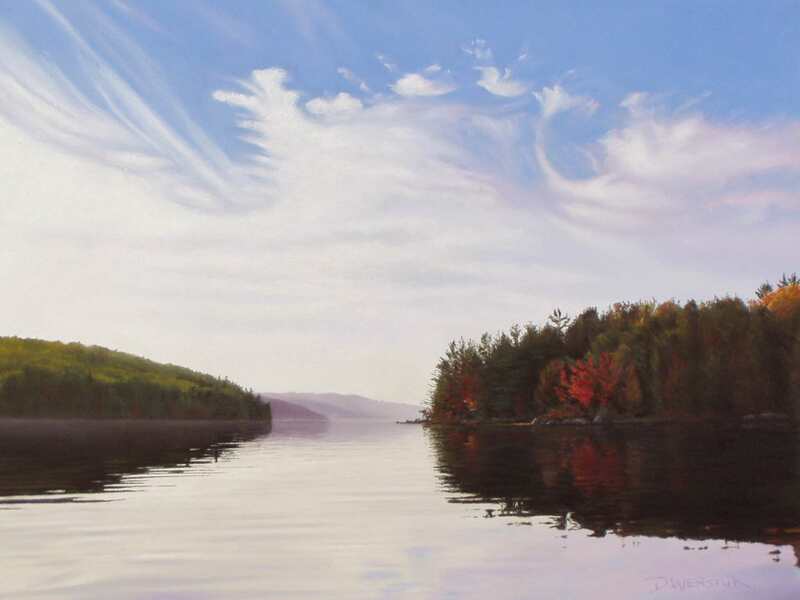 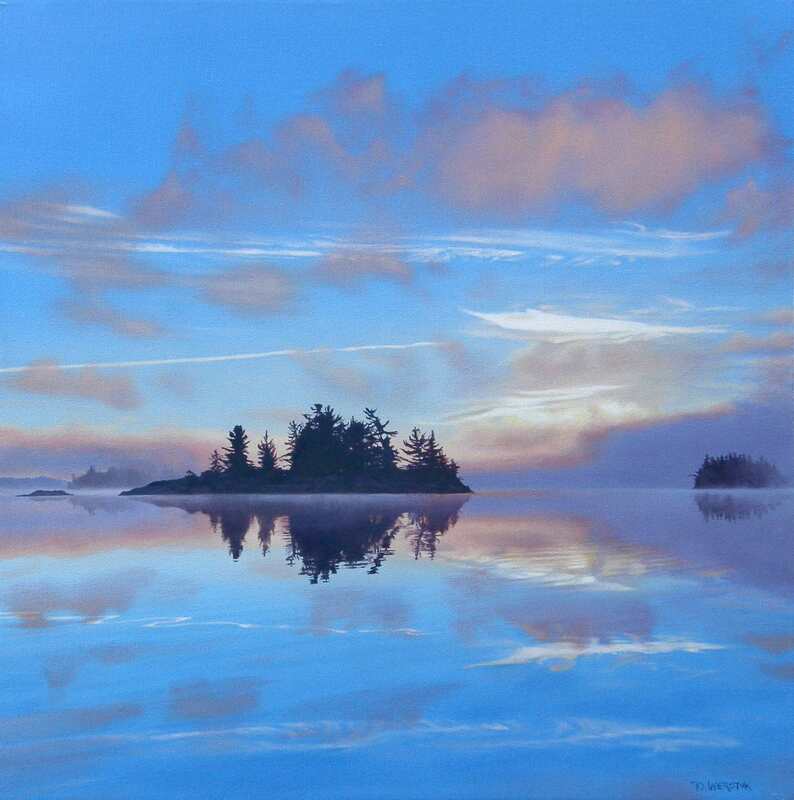 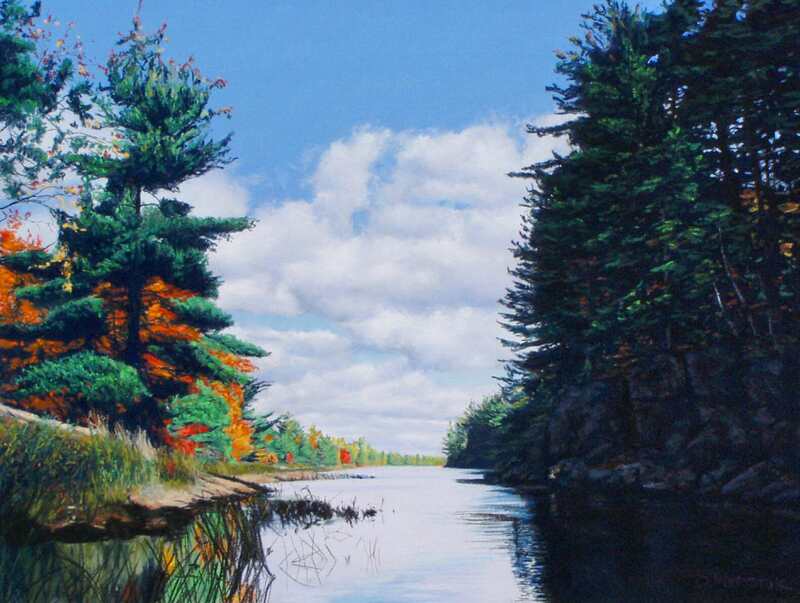 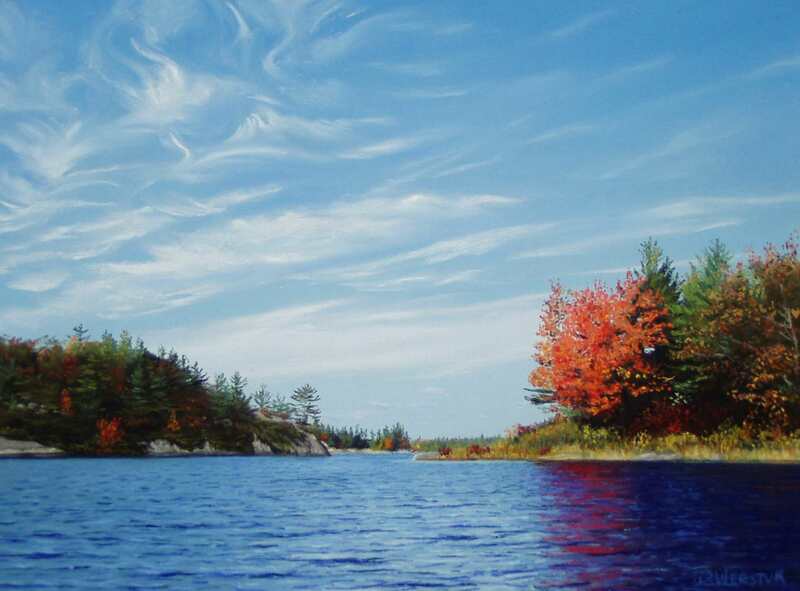 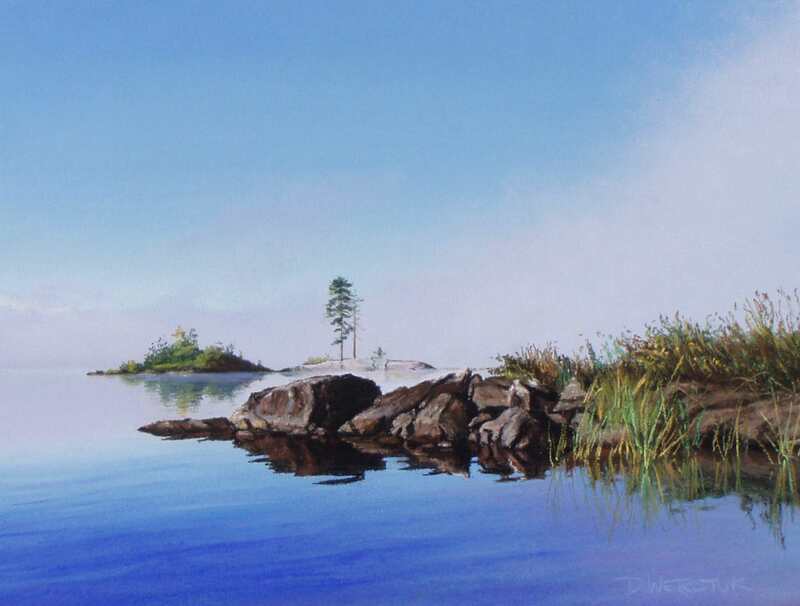 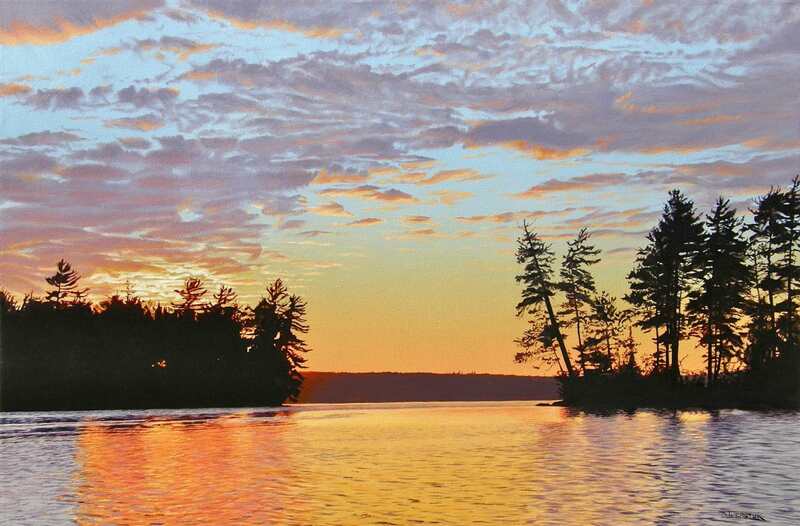 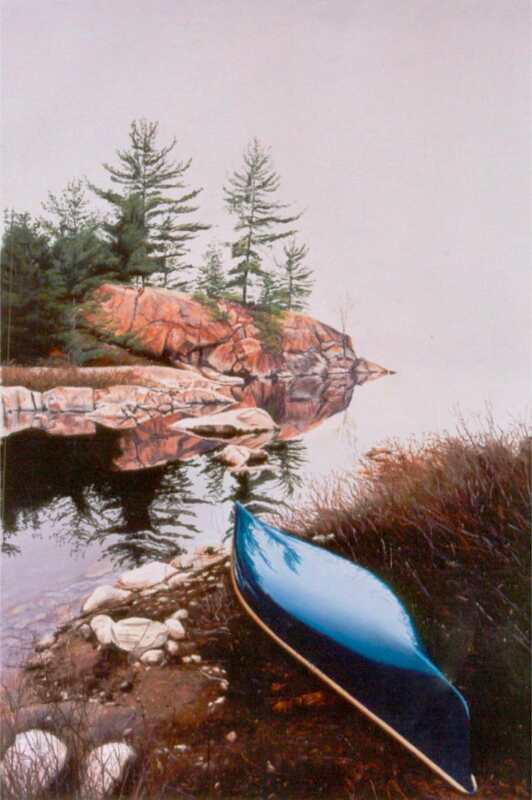 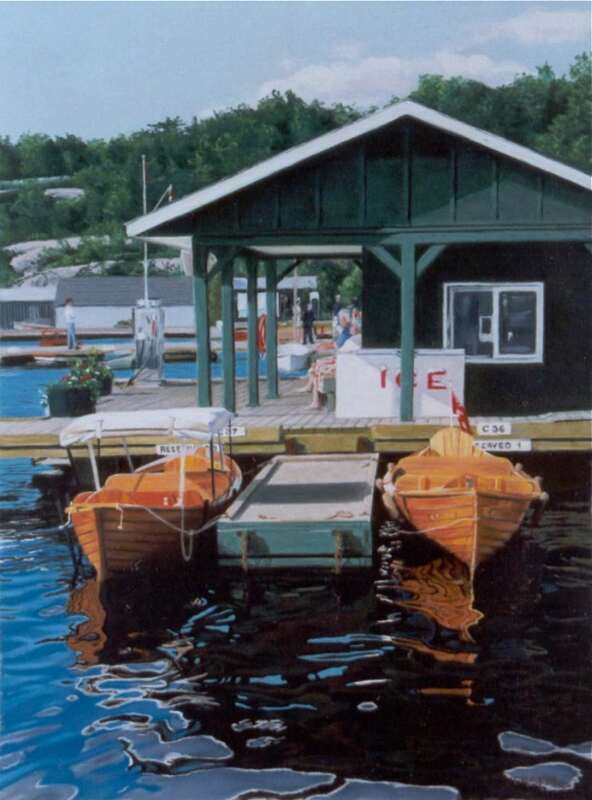 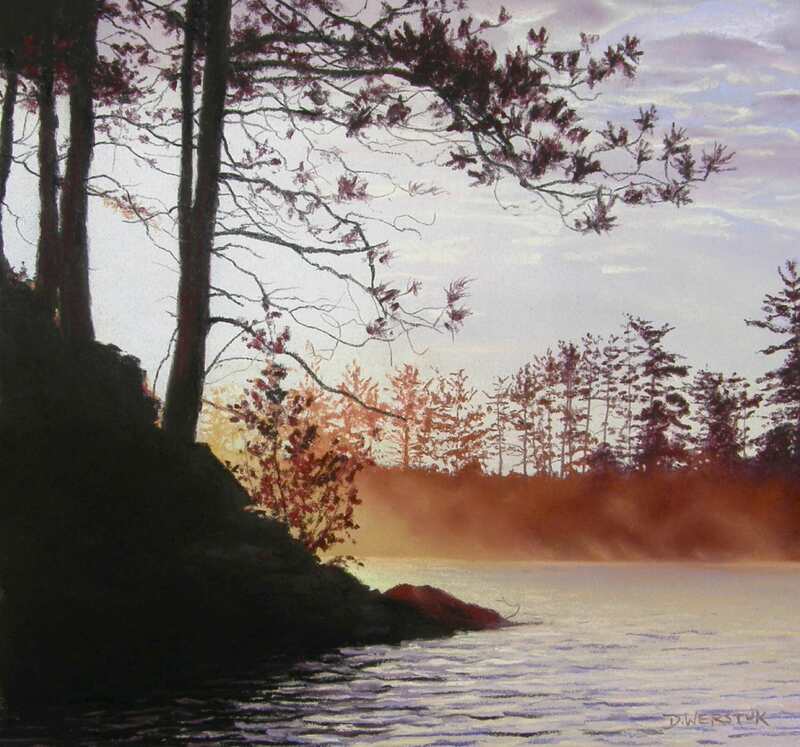 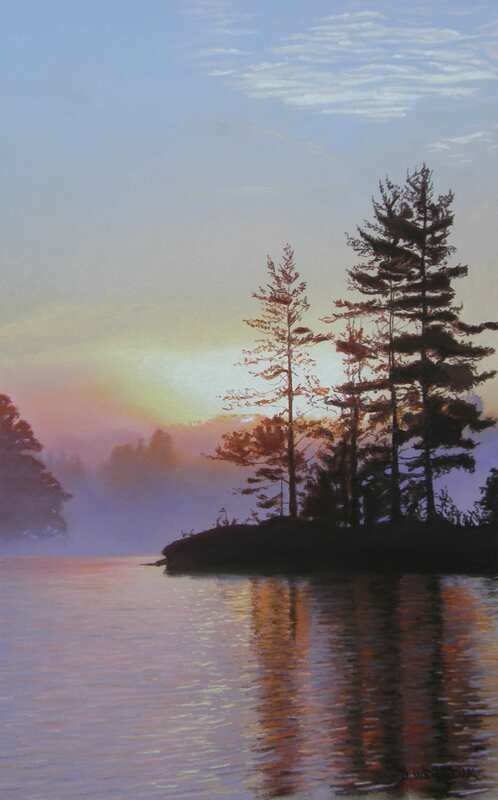 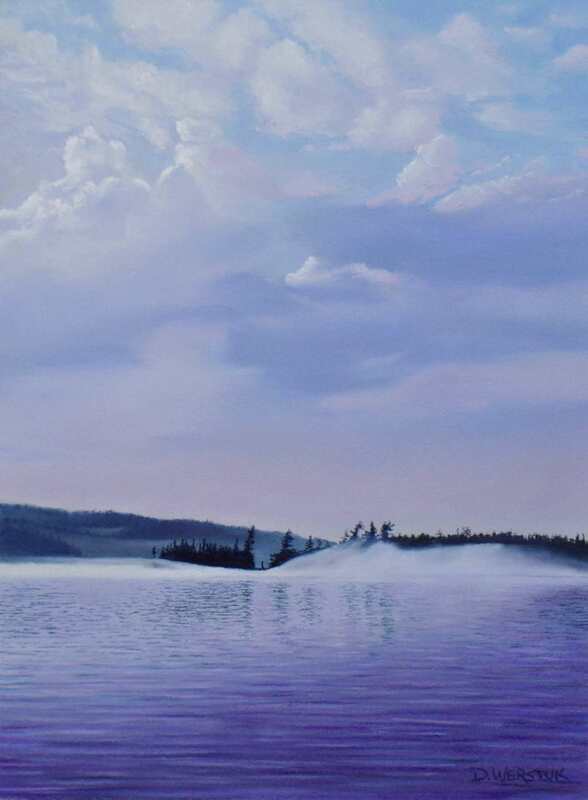 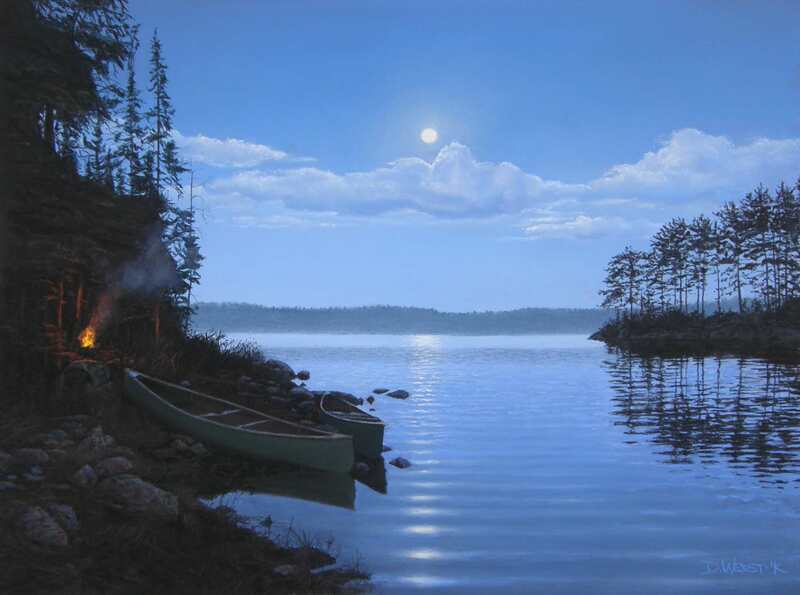 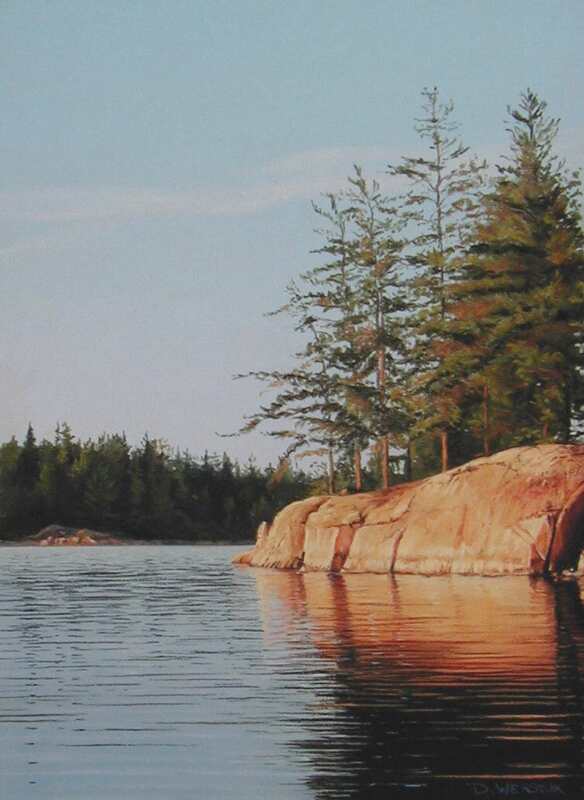 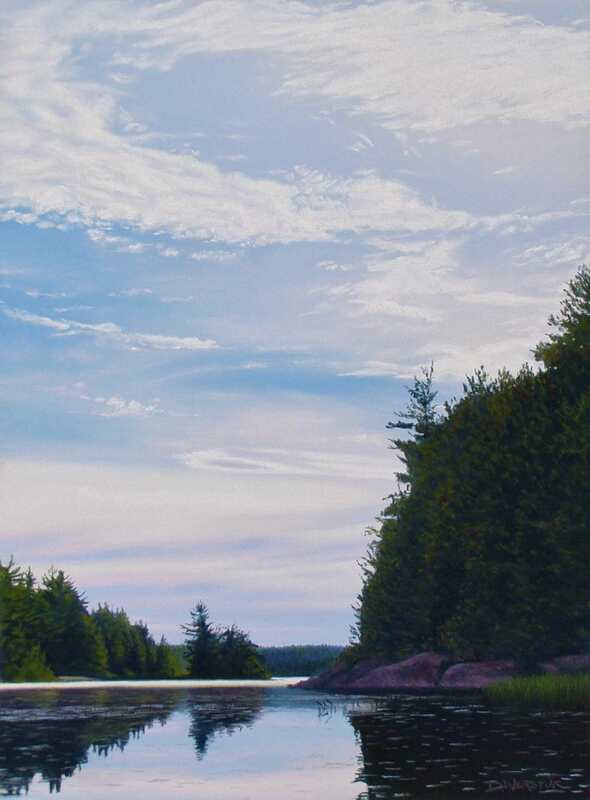 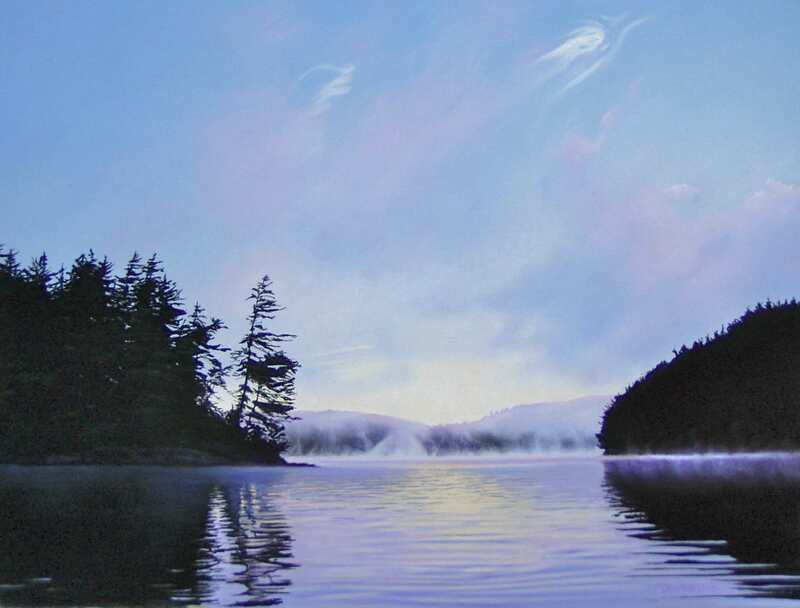 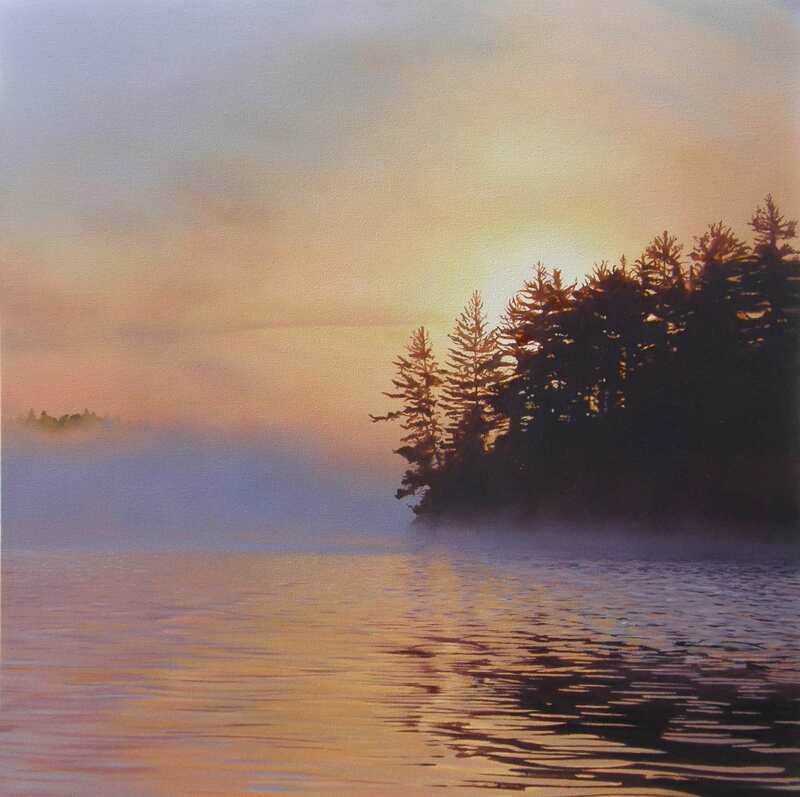 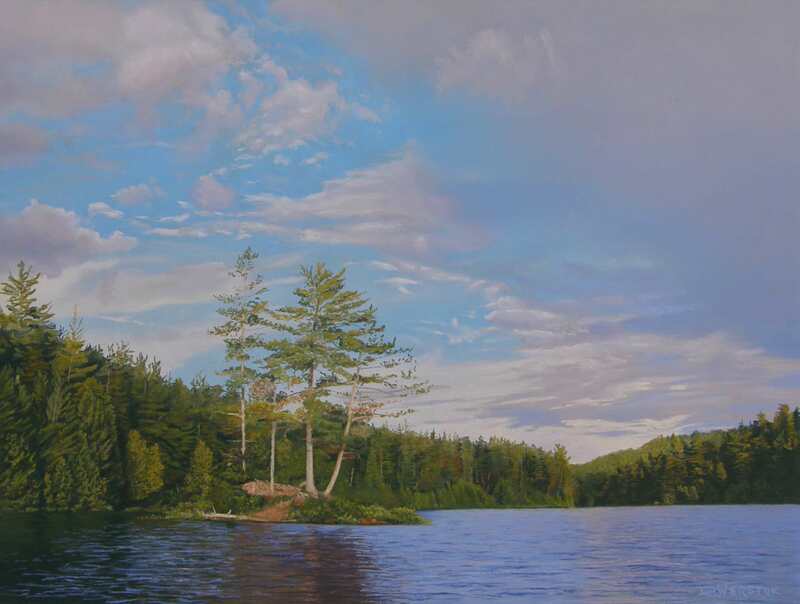 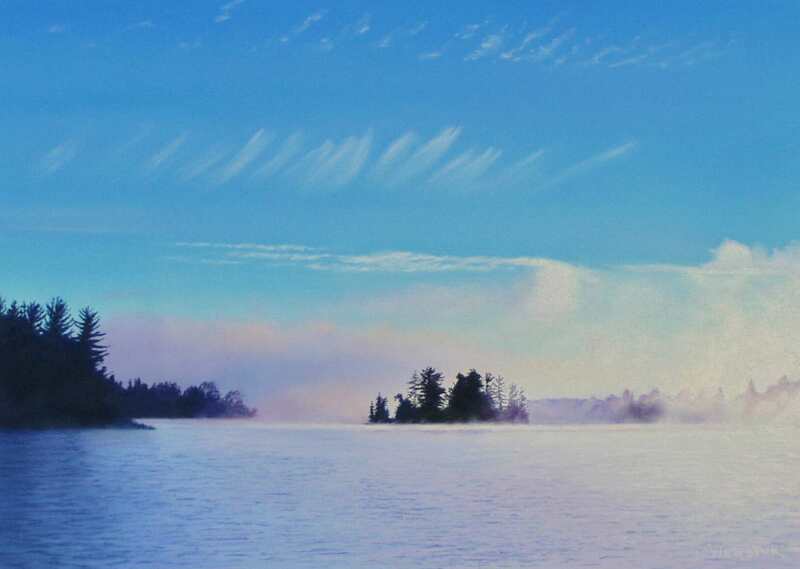 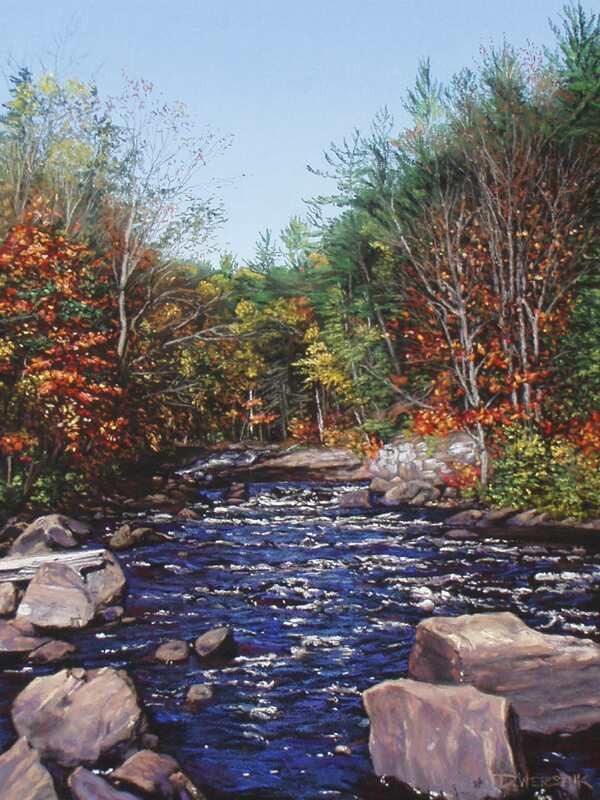 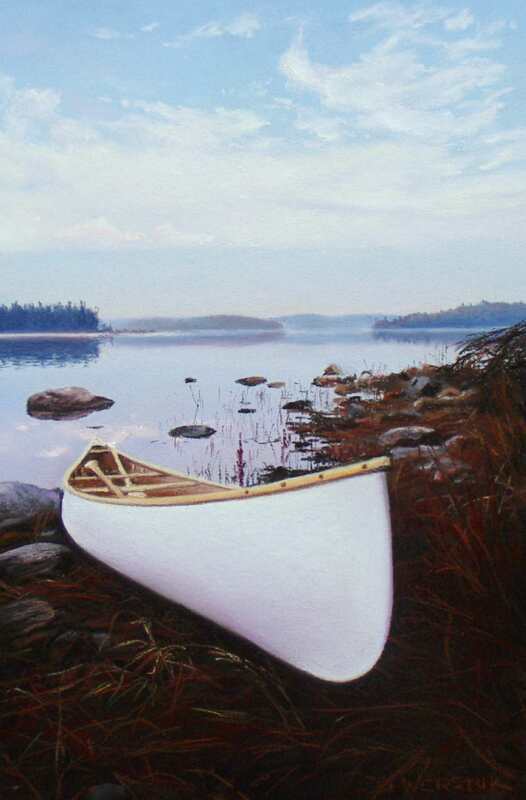 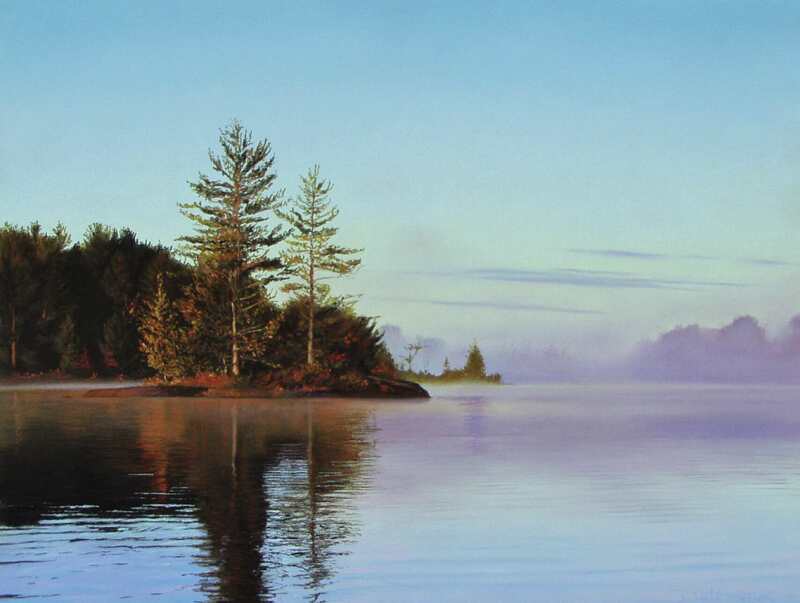 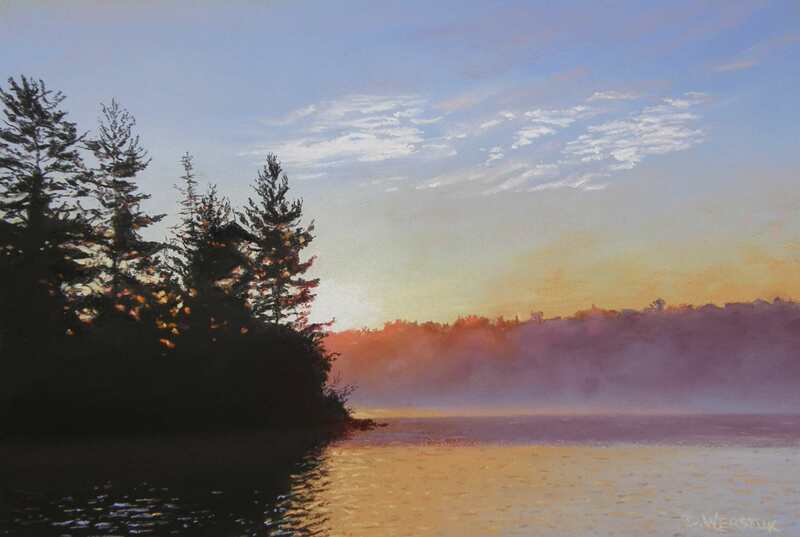 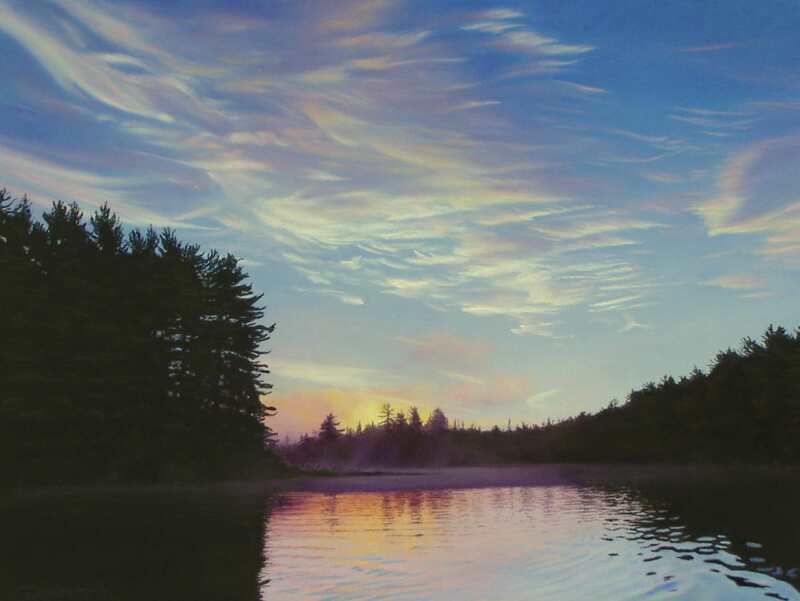 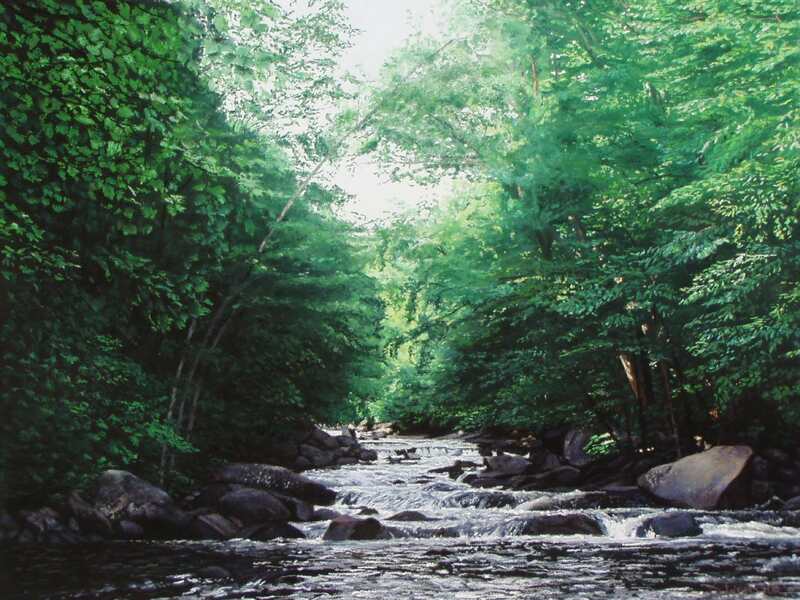 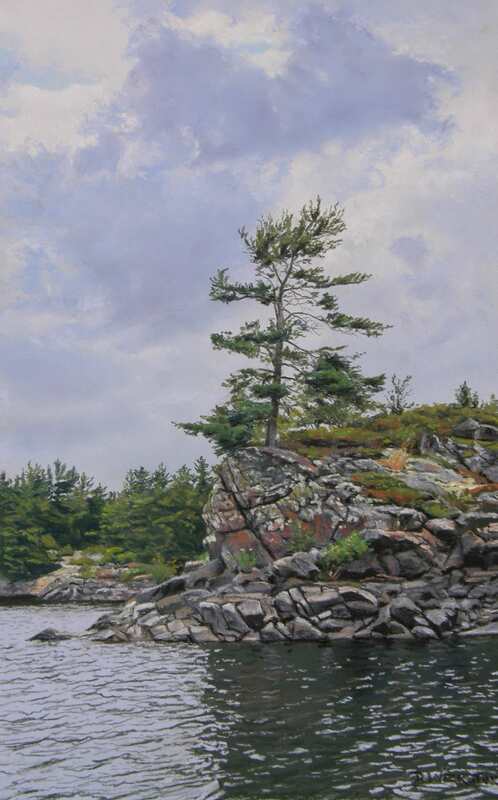 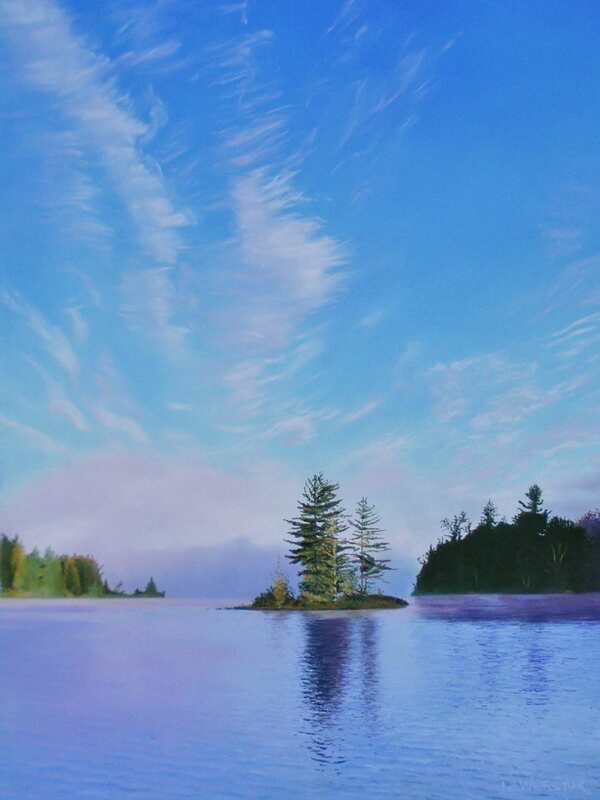 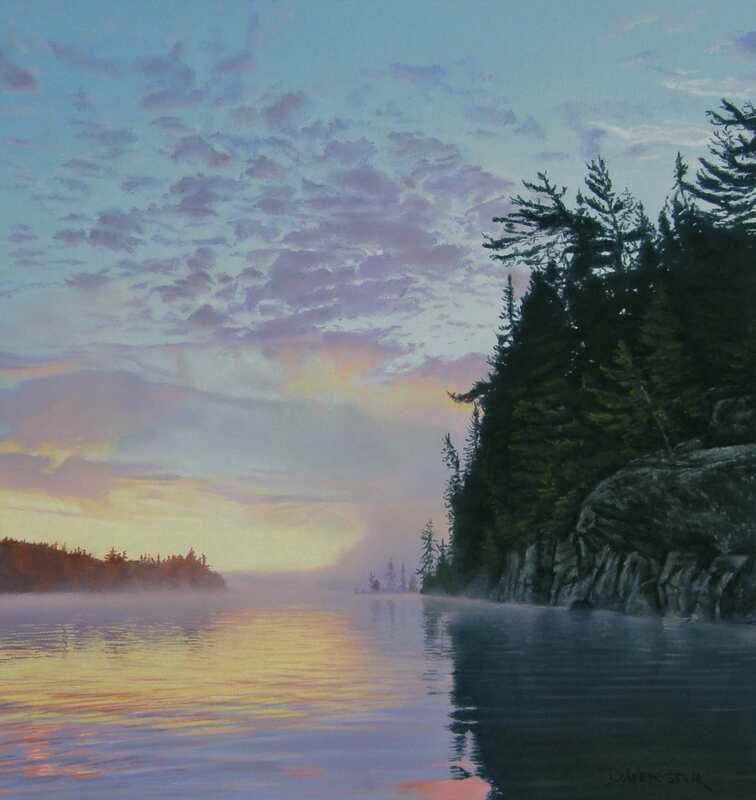 Rich in summertime memories, the boat paintings represent the rich history of the Muskoka lakes. 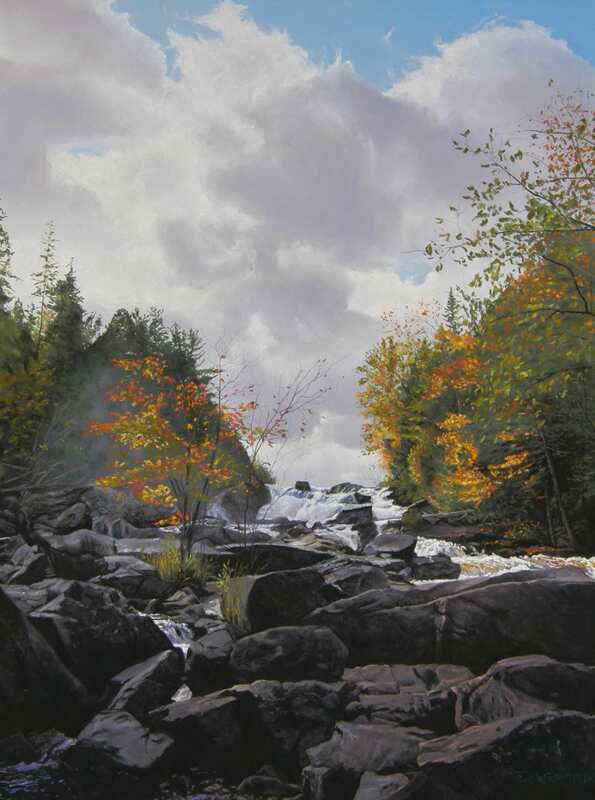 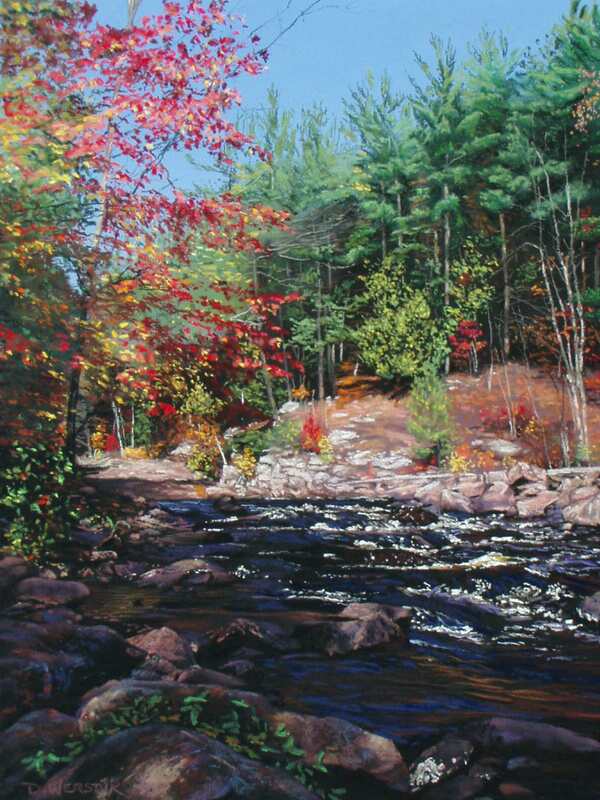 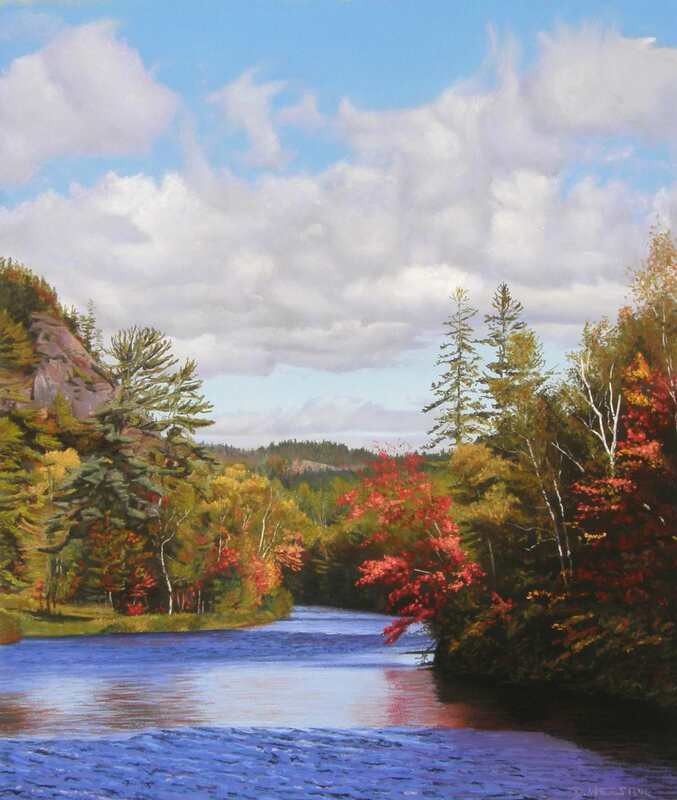 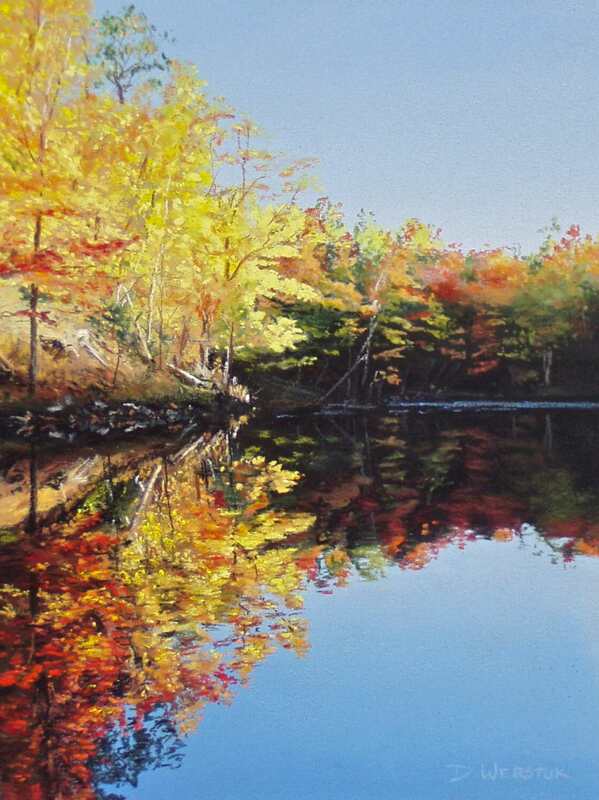 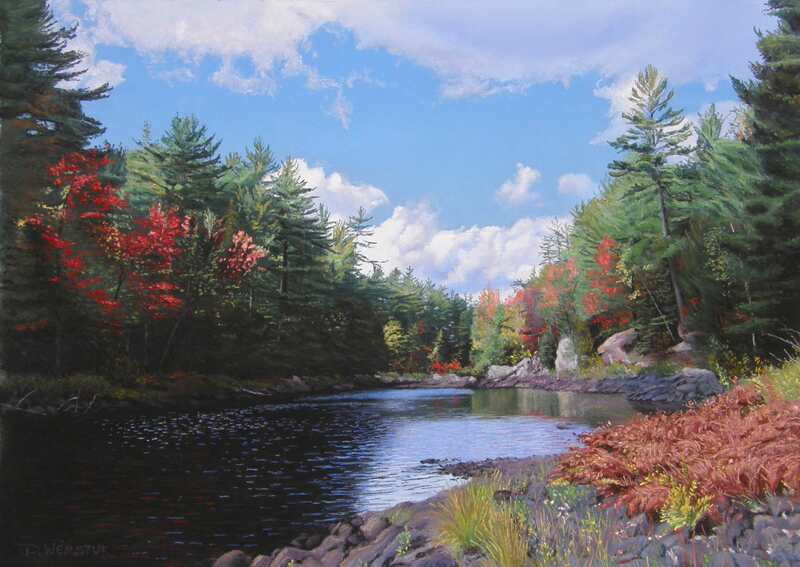 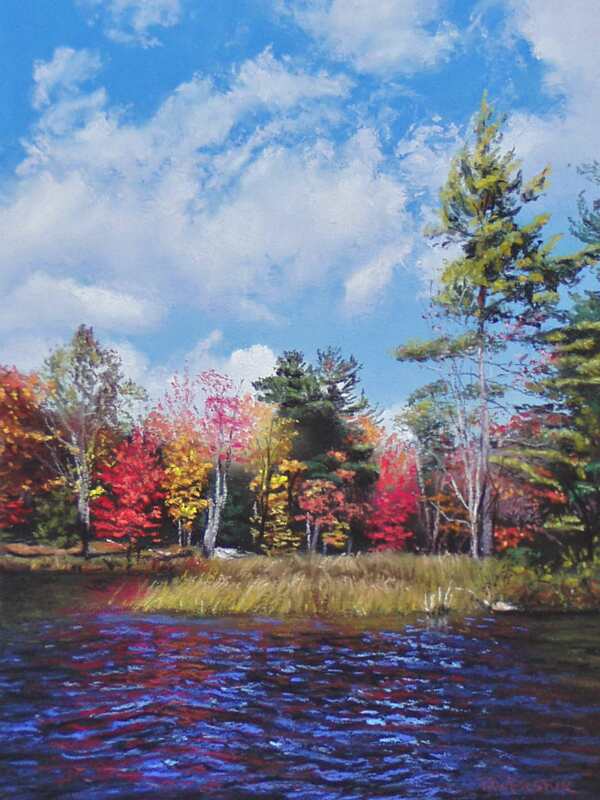 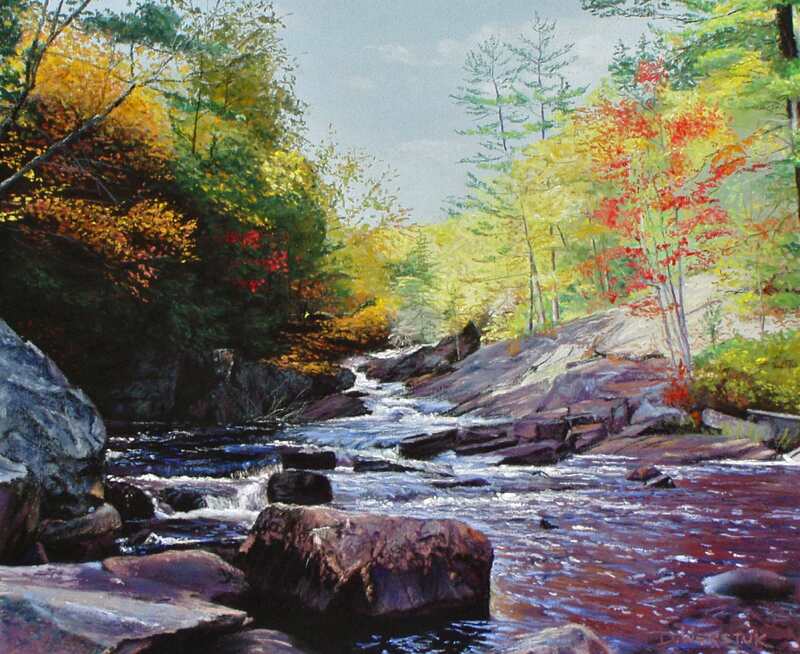 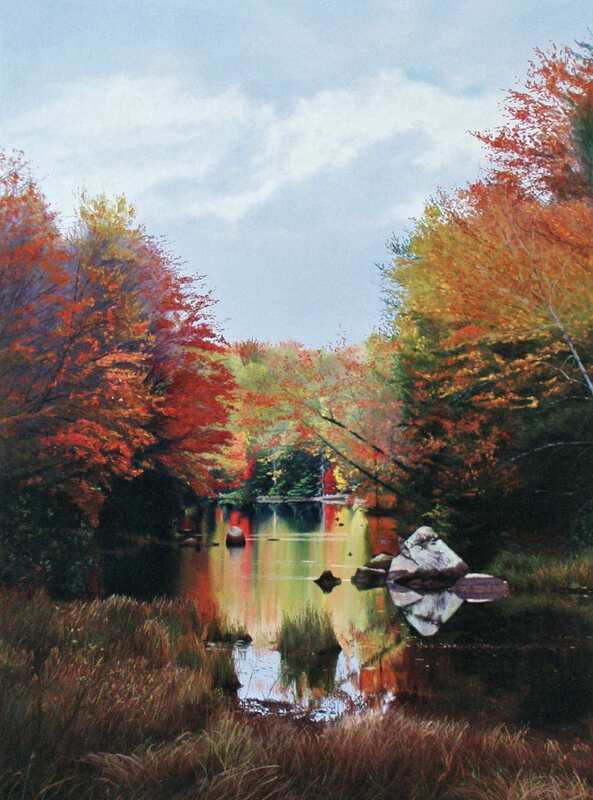 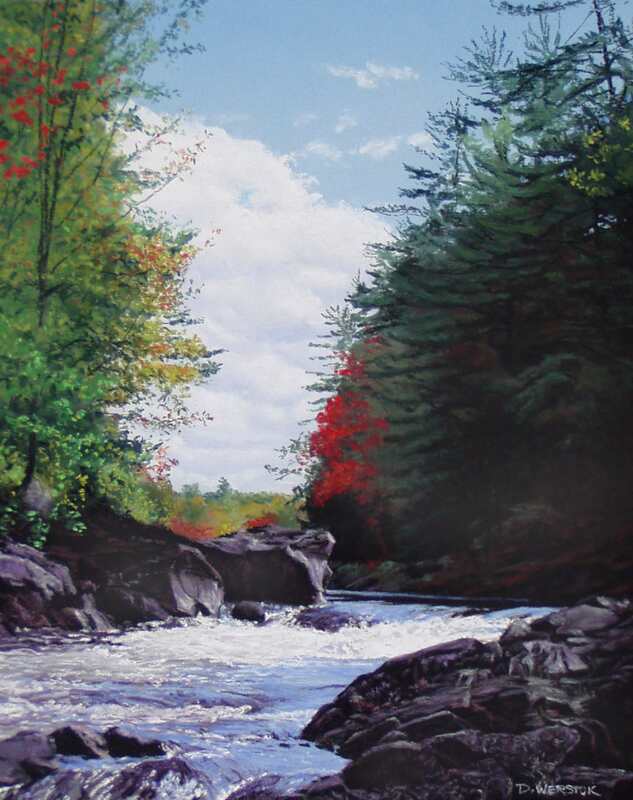 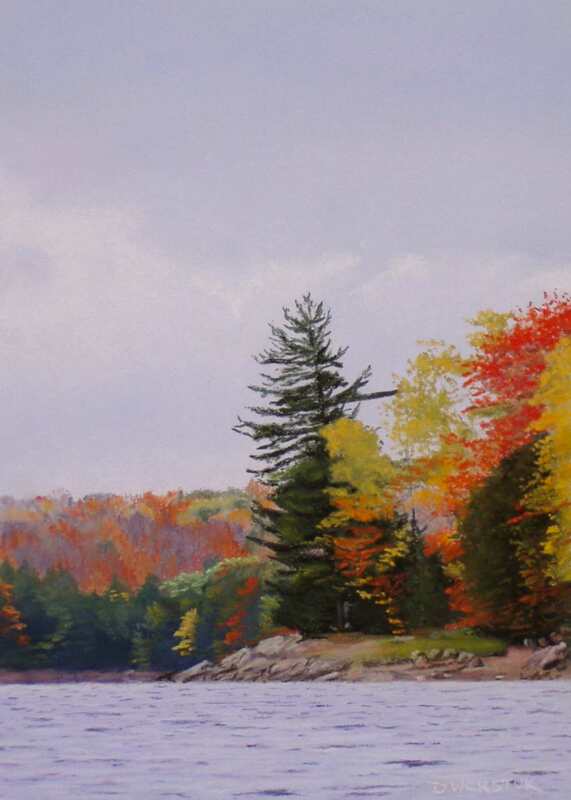 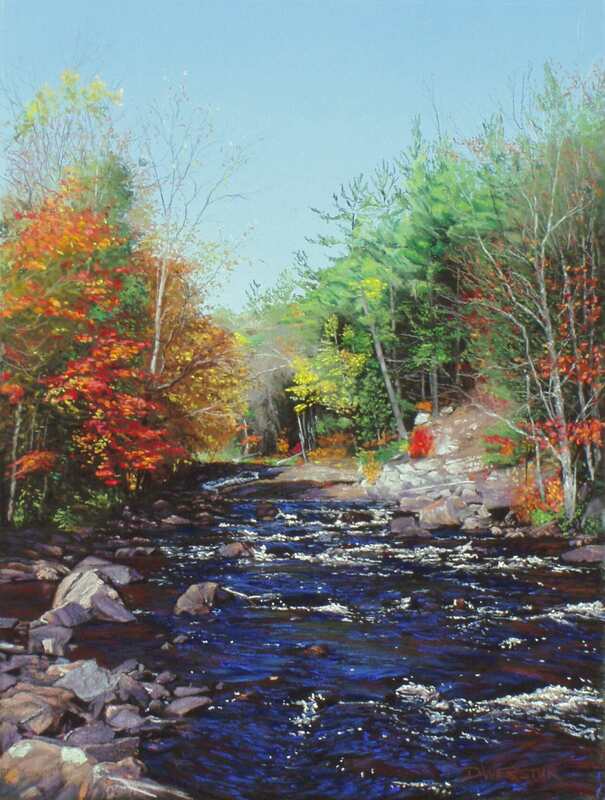 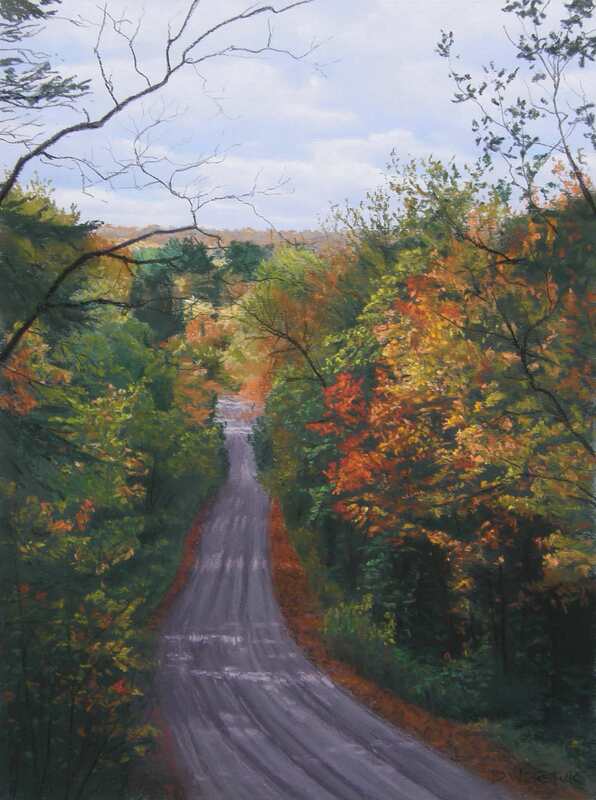 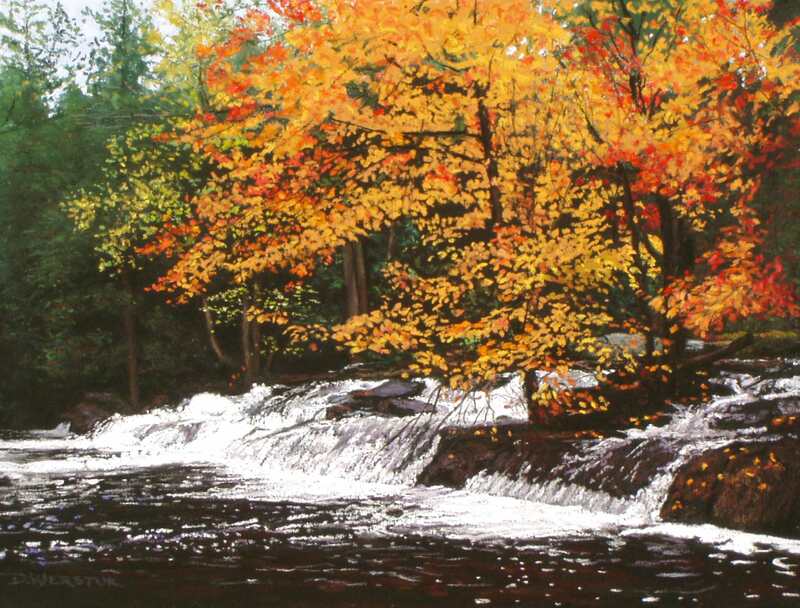 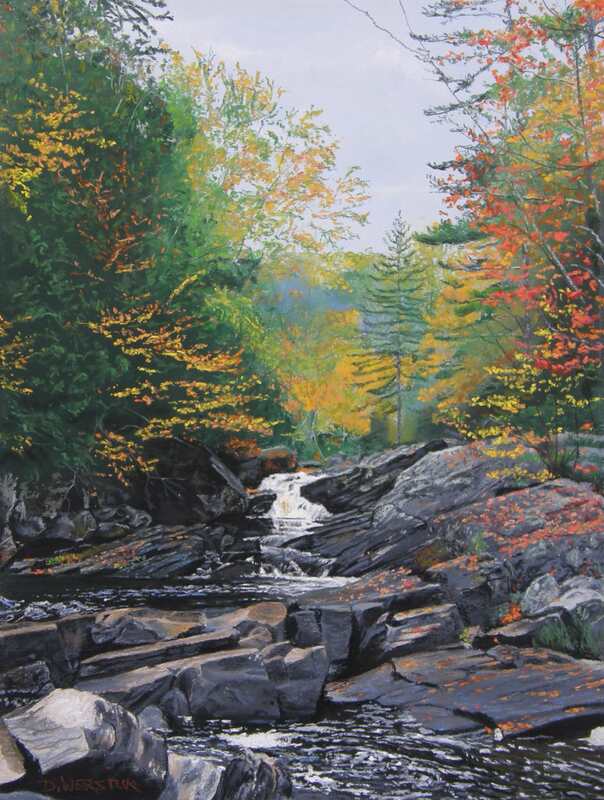 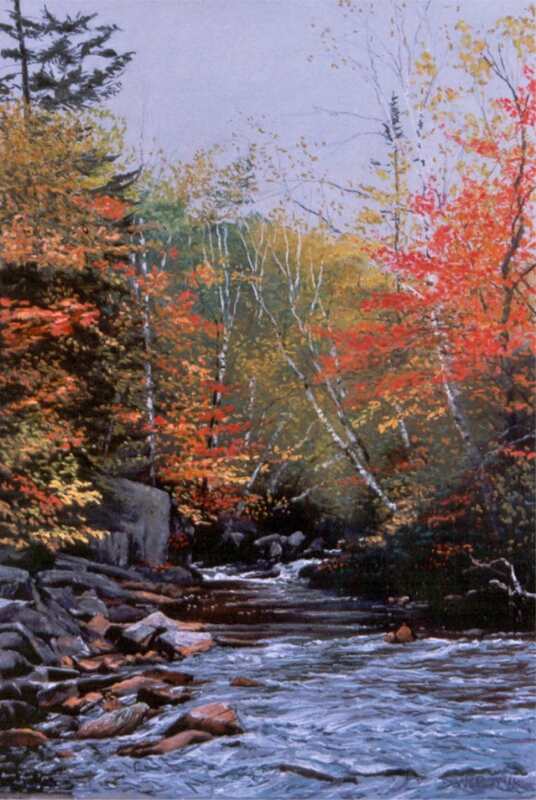 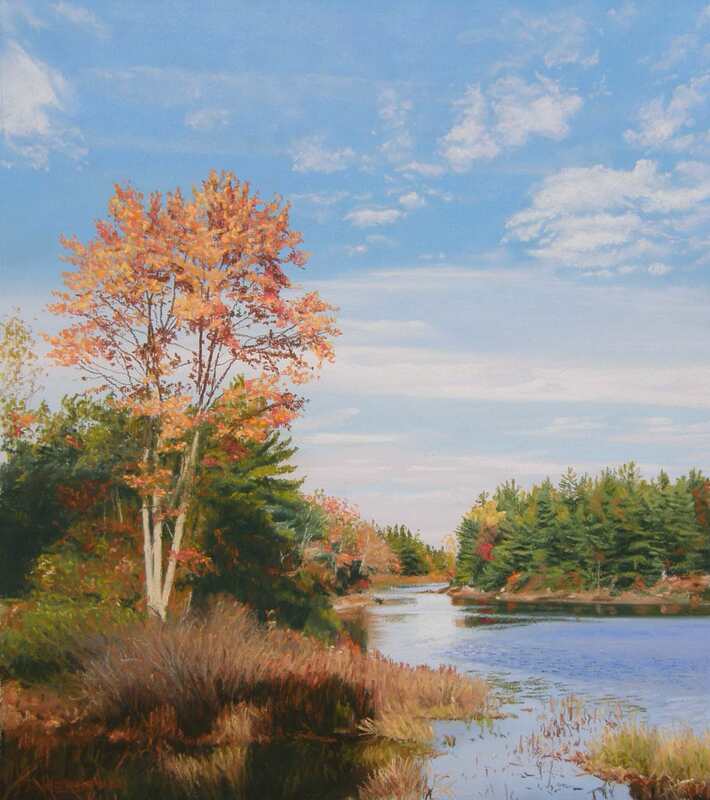 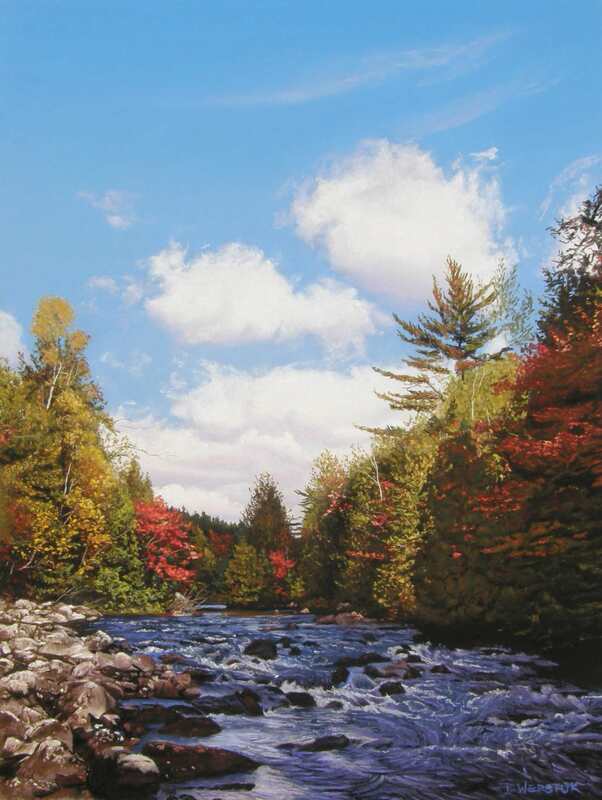 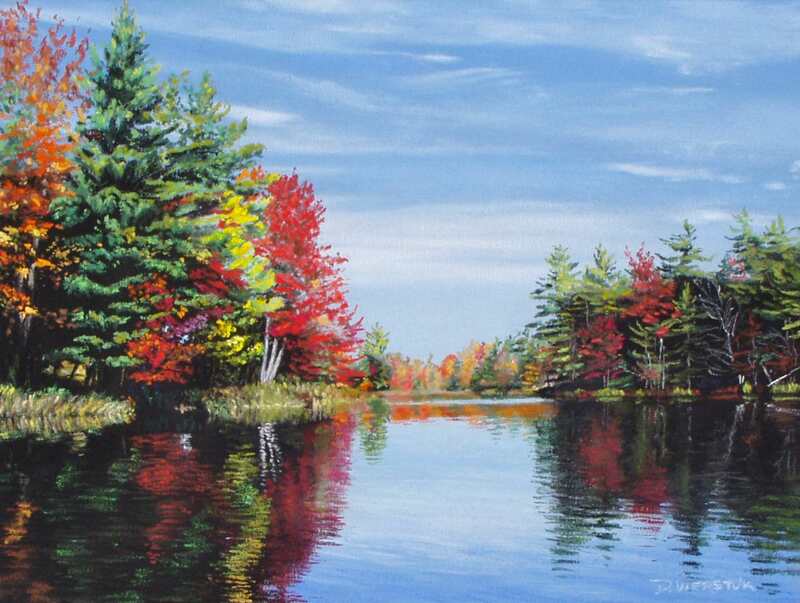 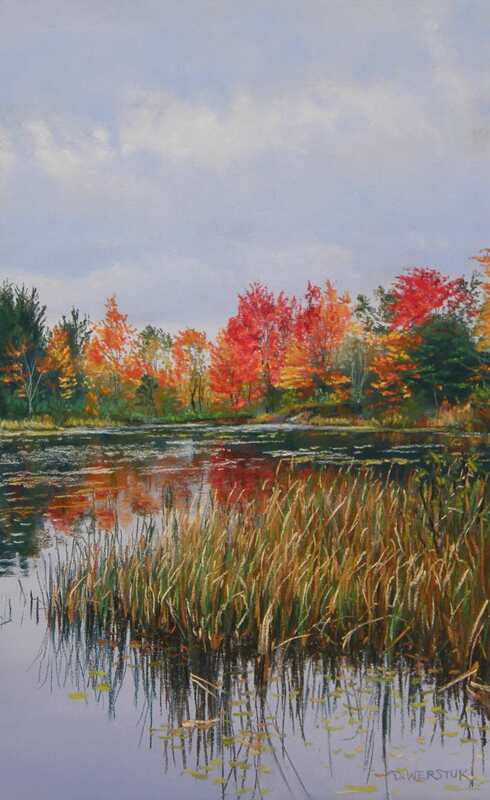 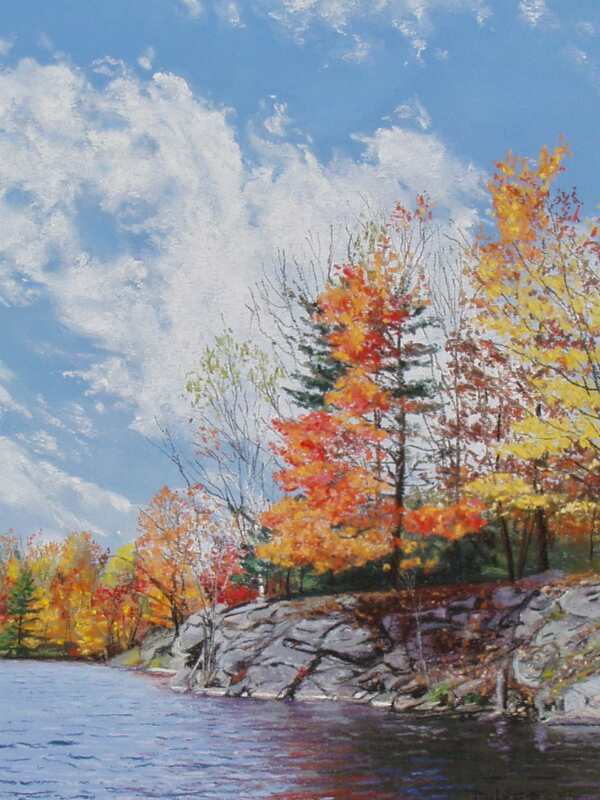 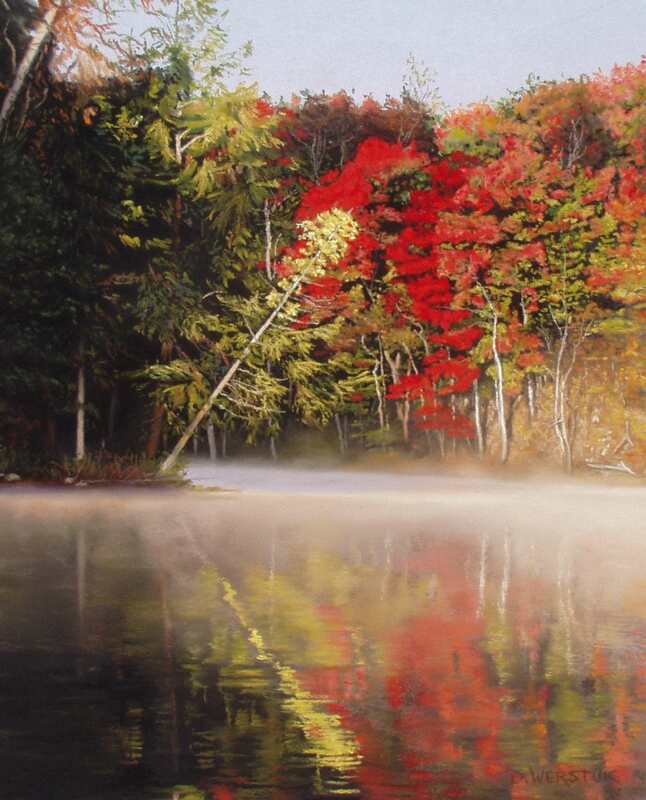 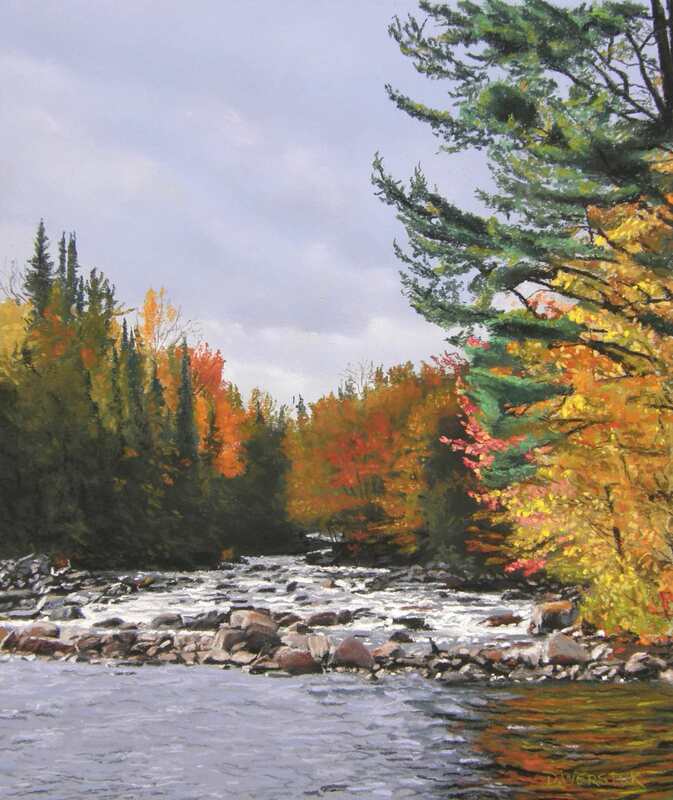 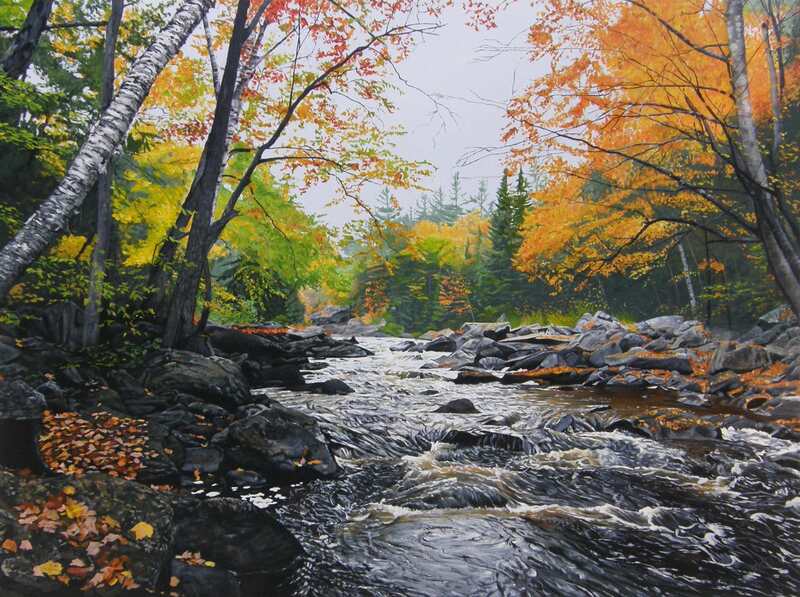 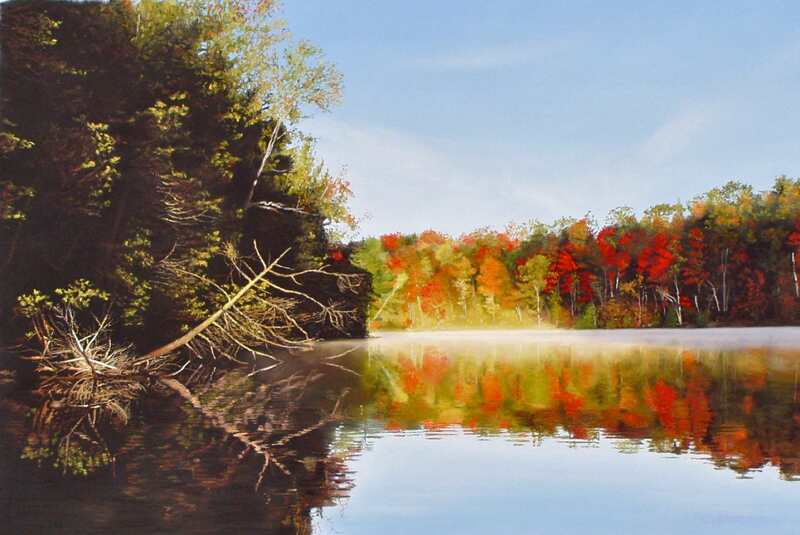 This group of paintings cover the spectacular fall colours which are breathtaking to view. 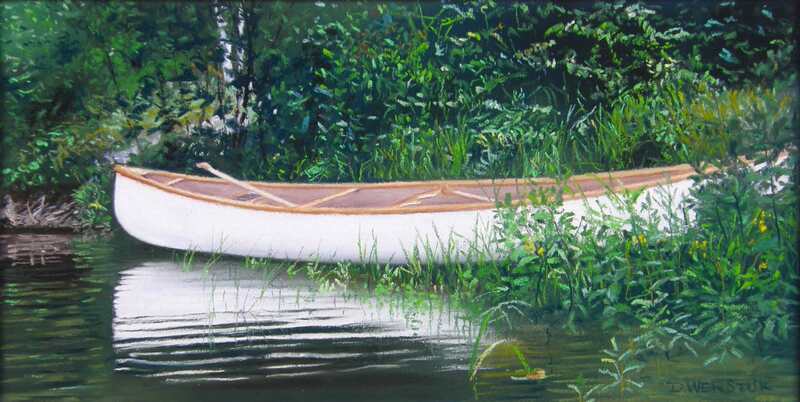 Canoes were the method of exploration since these lakes were first navigated by the native peoples and the explorers who came later. 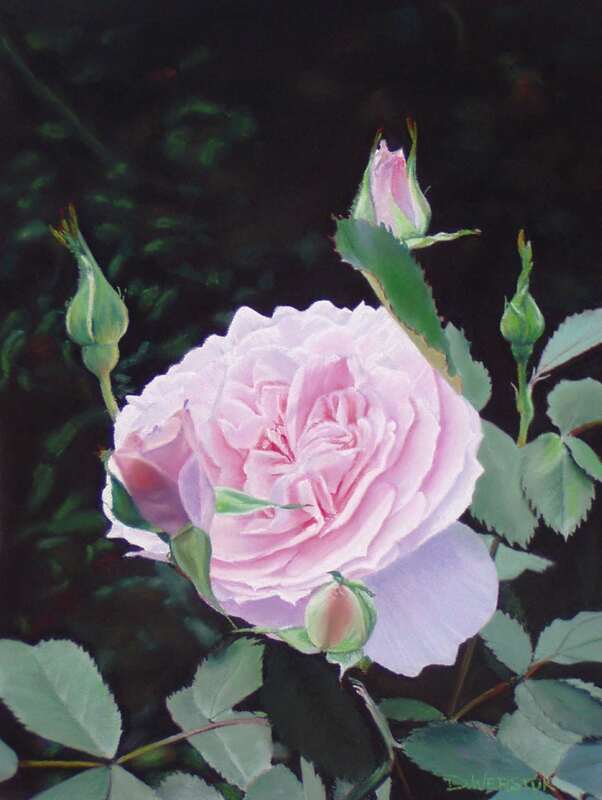 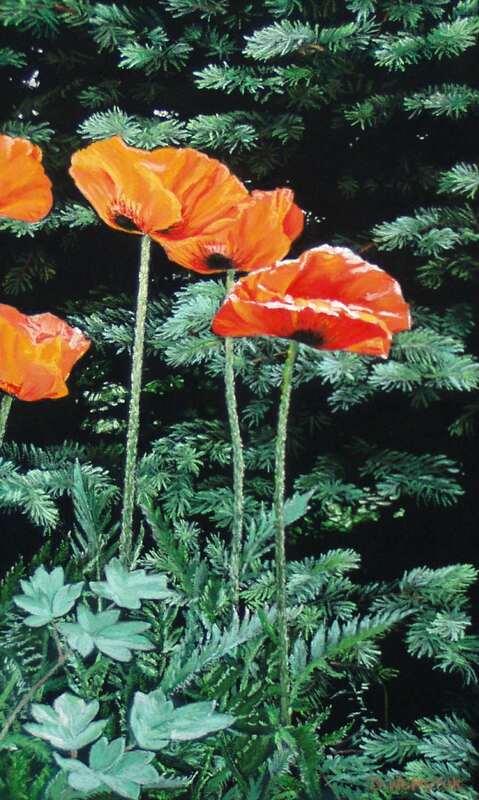 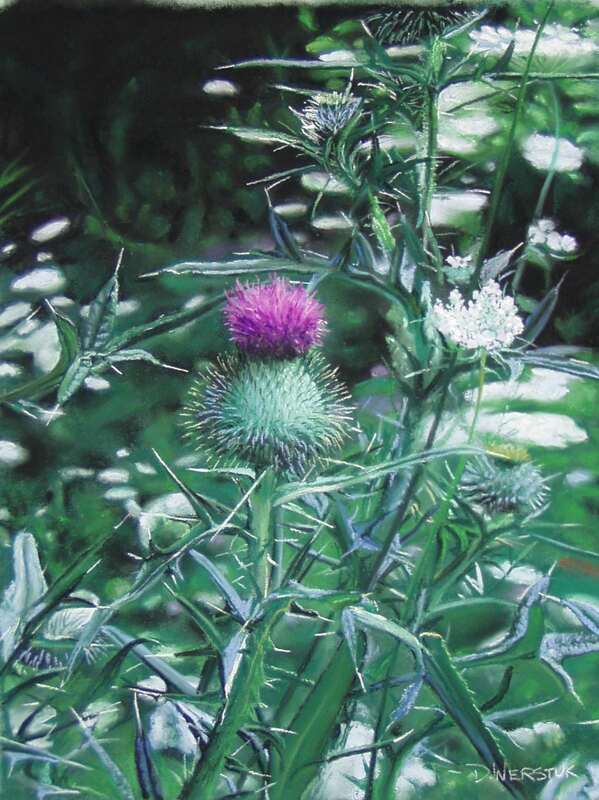 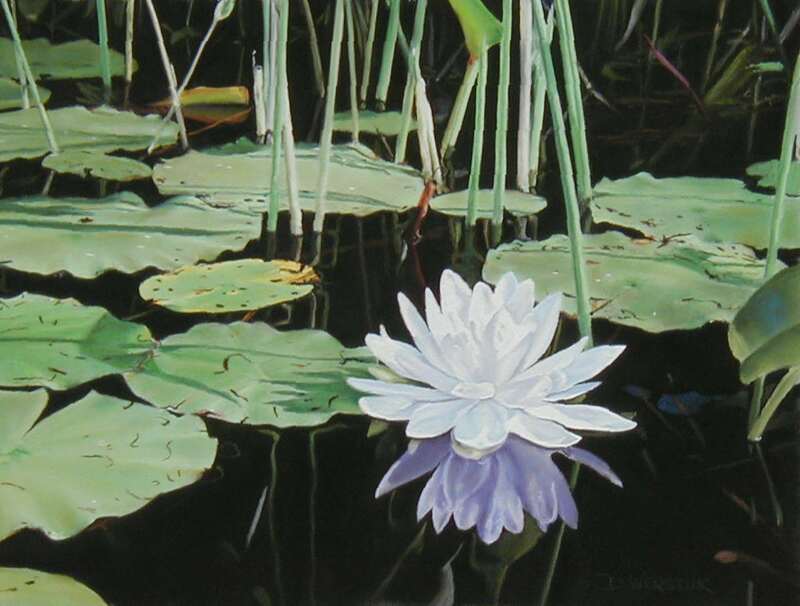 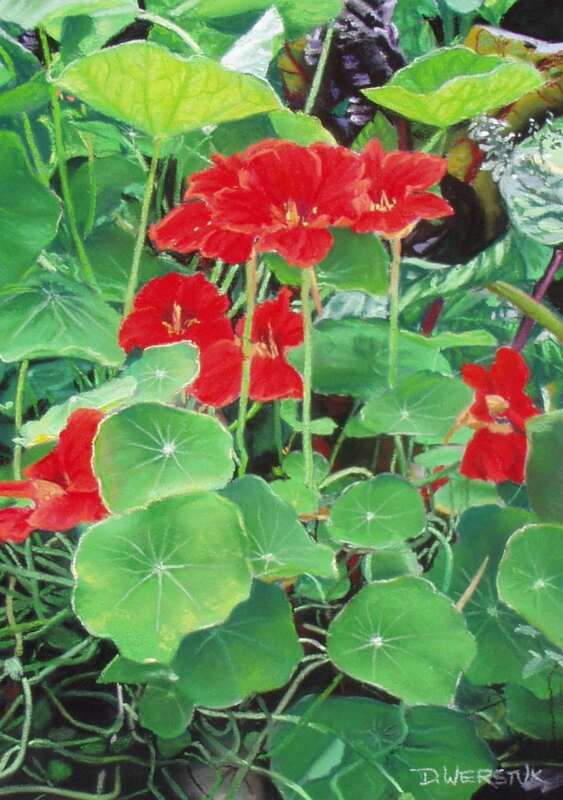 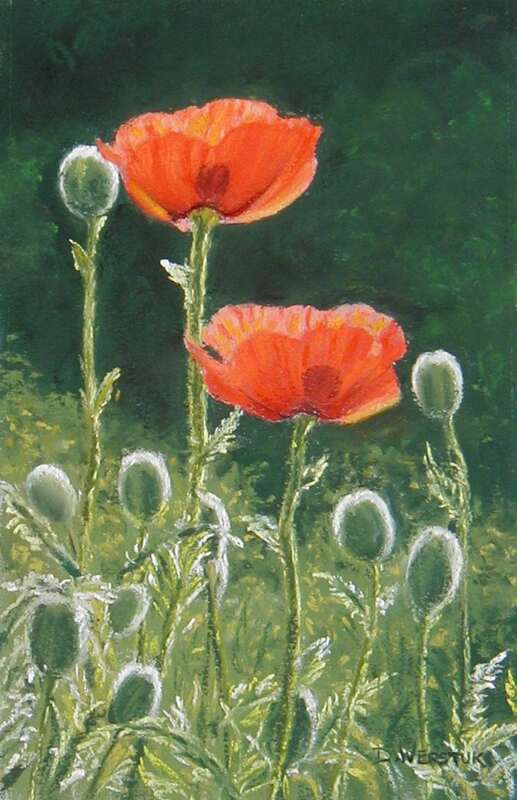 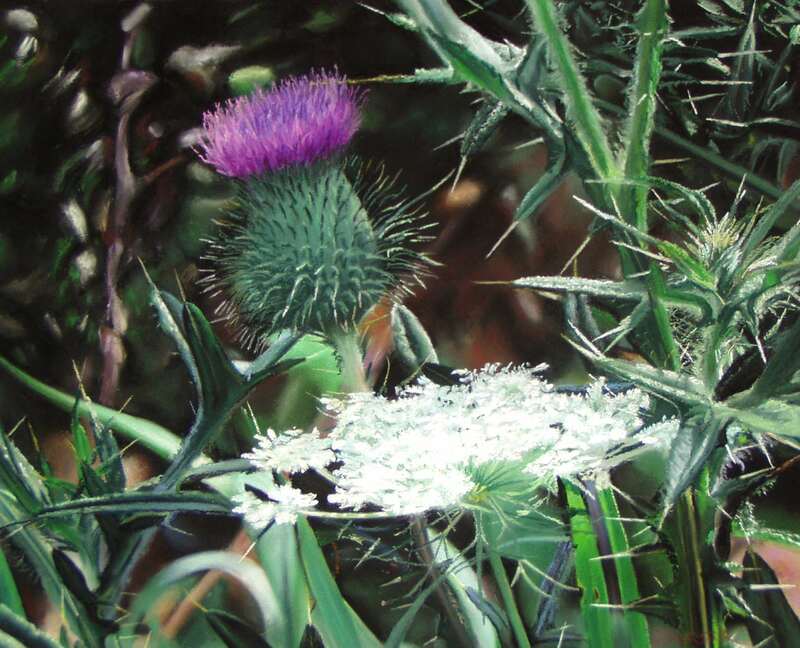 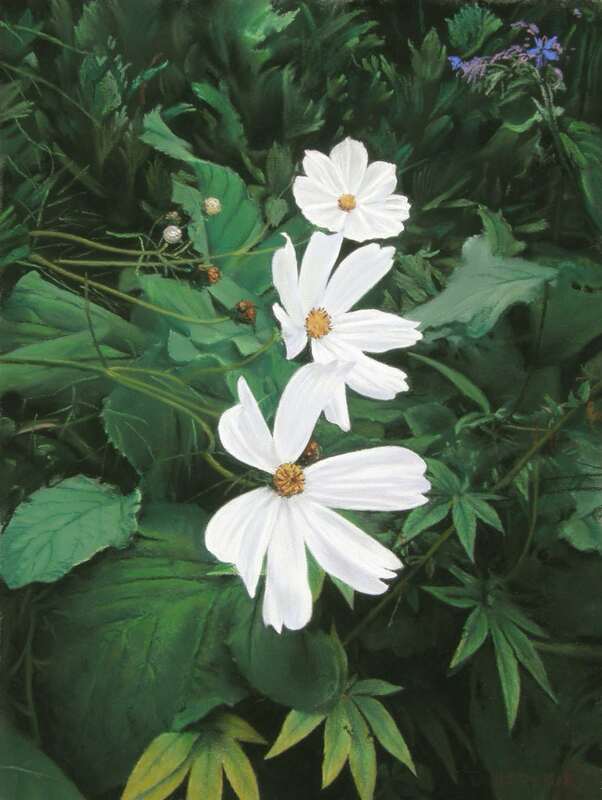 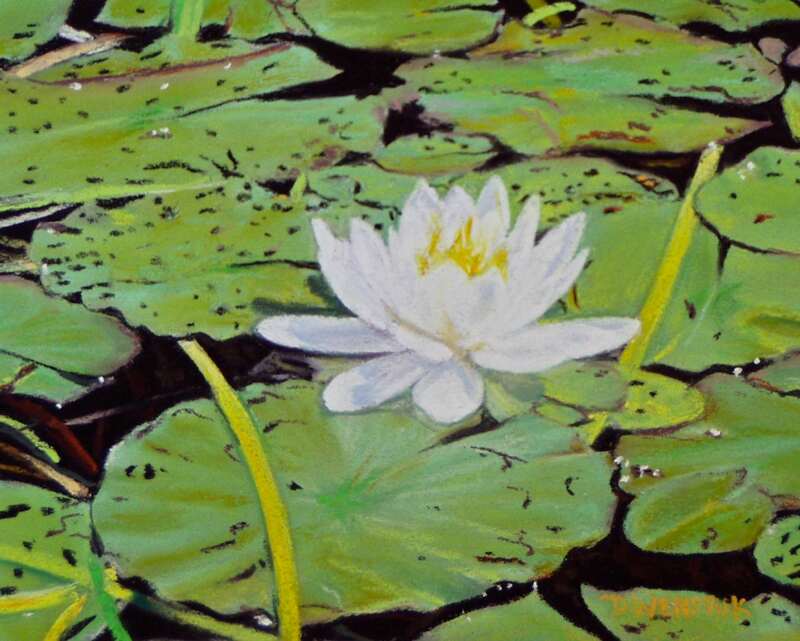 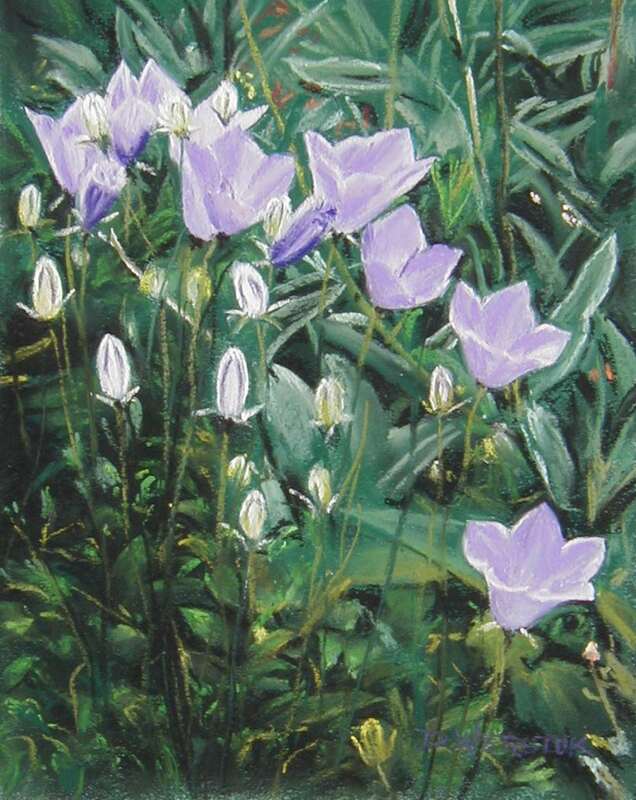 These paintings focus on close ups of flowers in their natural settings. 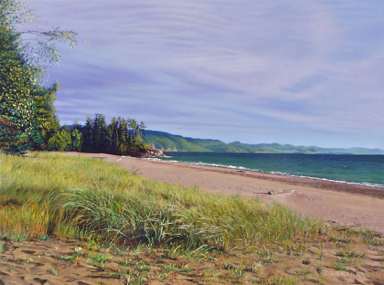 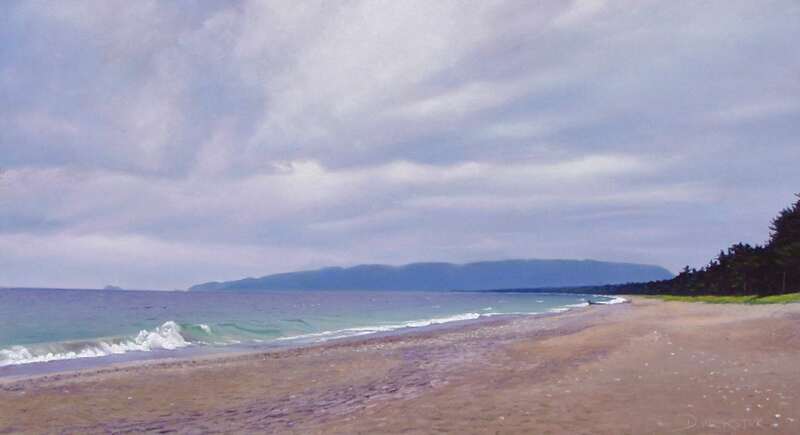 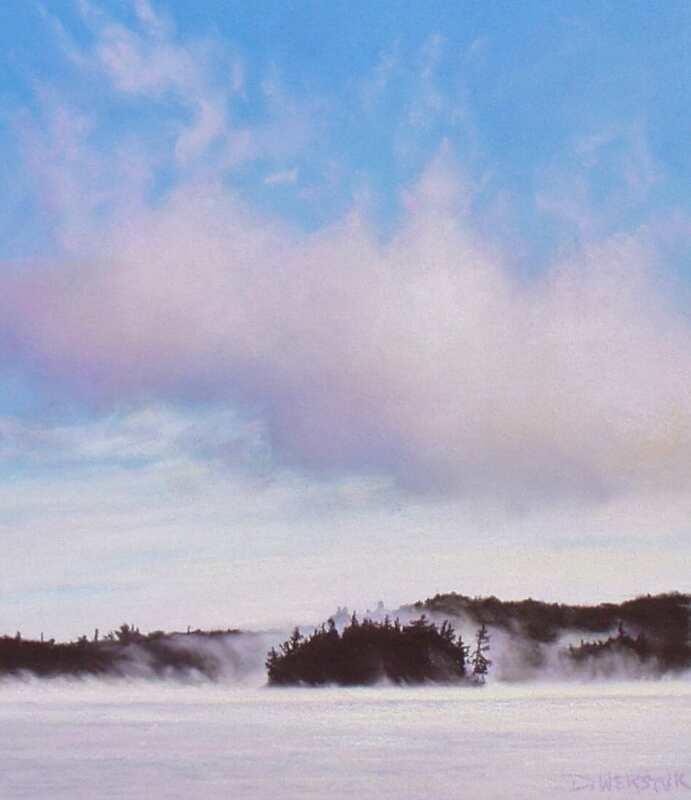 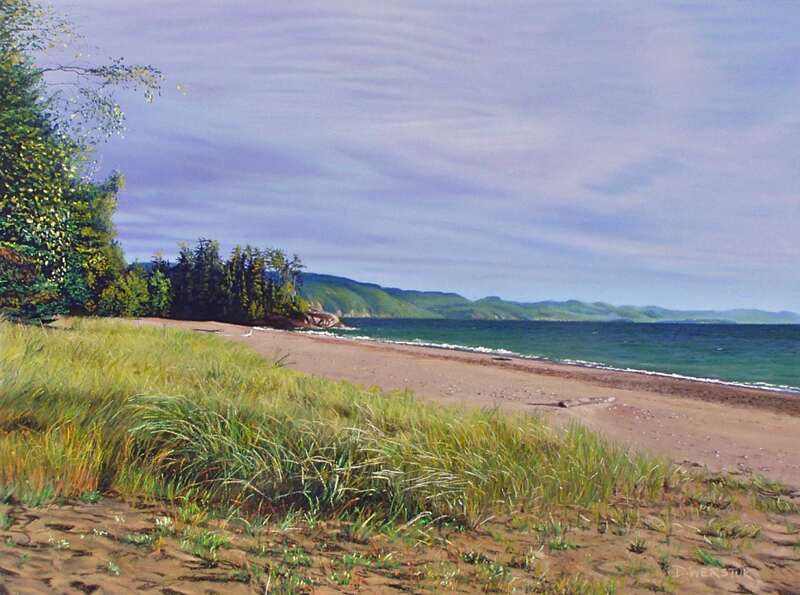 Lake Superior provides for large expansive landscapes and wind swept shorelines. 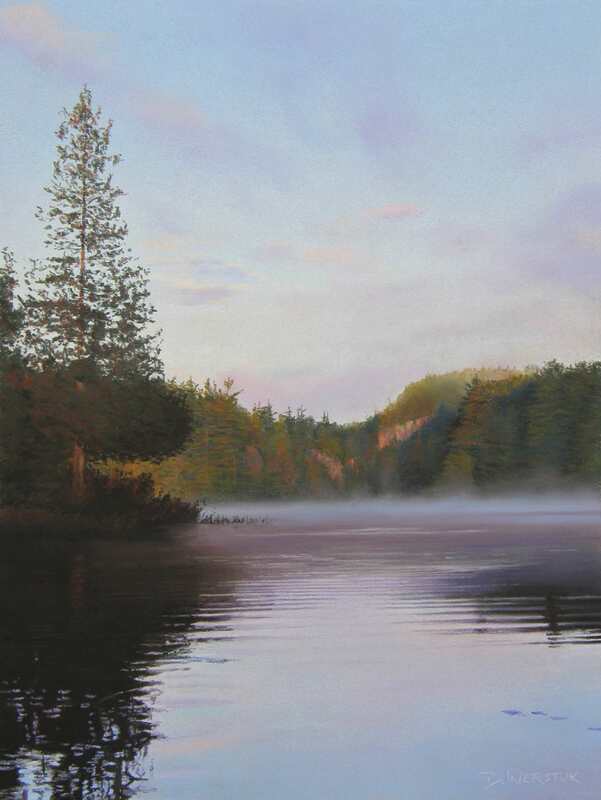 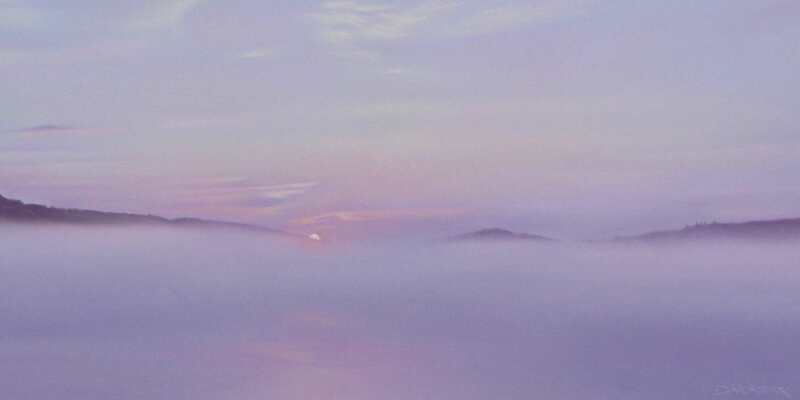 Early morning landscapes with the filtered light and soft focus from natural mist rising from the lakes and rivers. 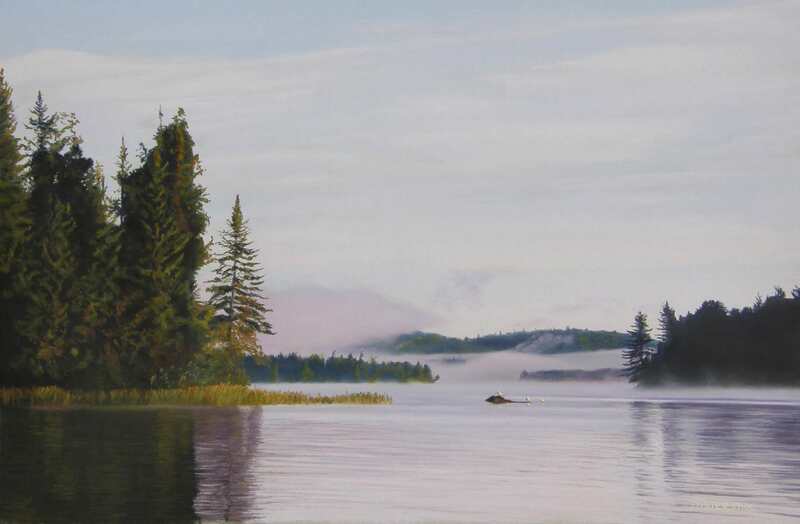 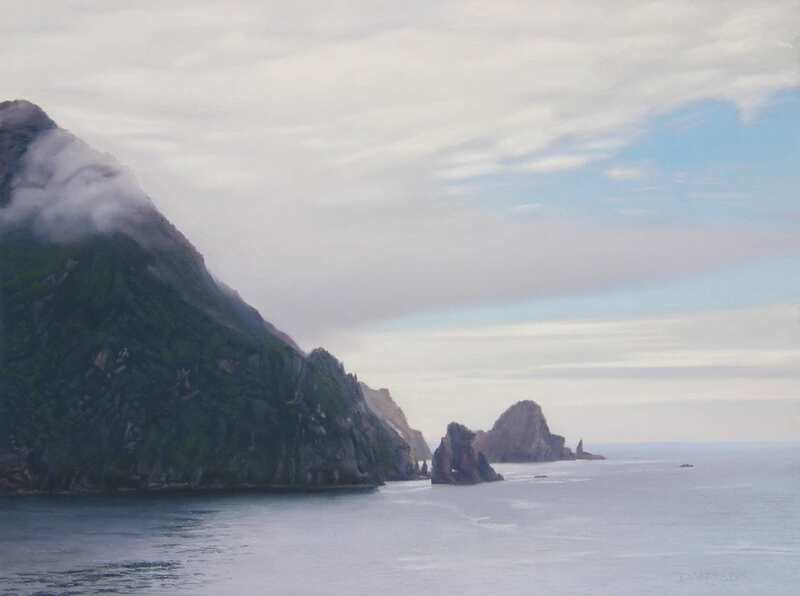 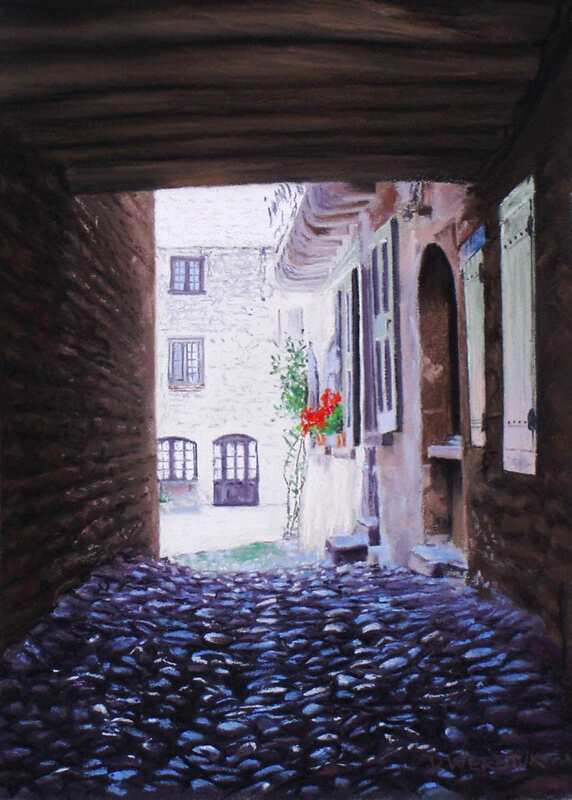 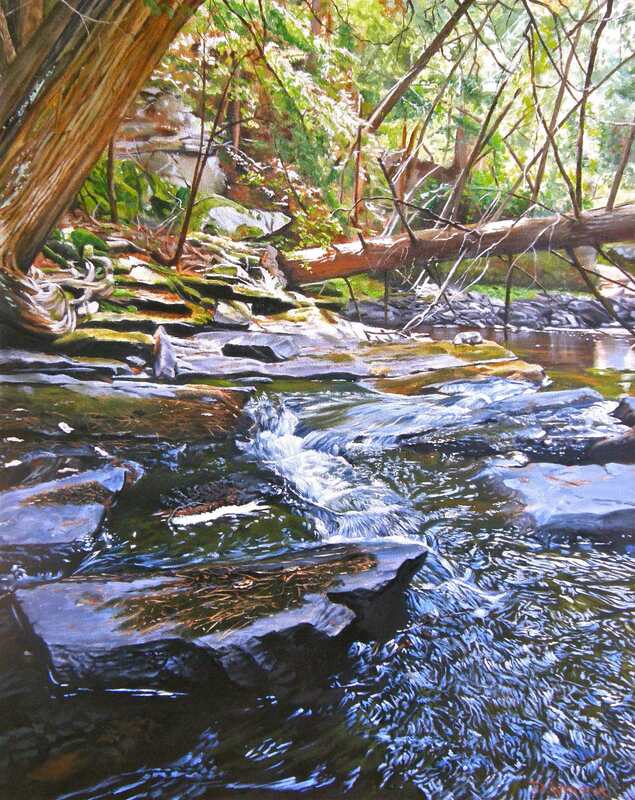 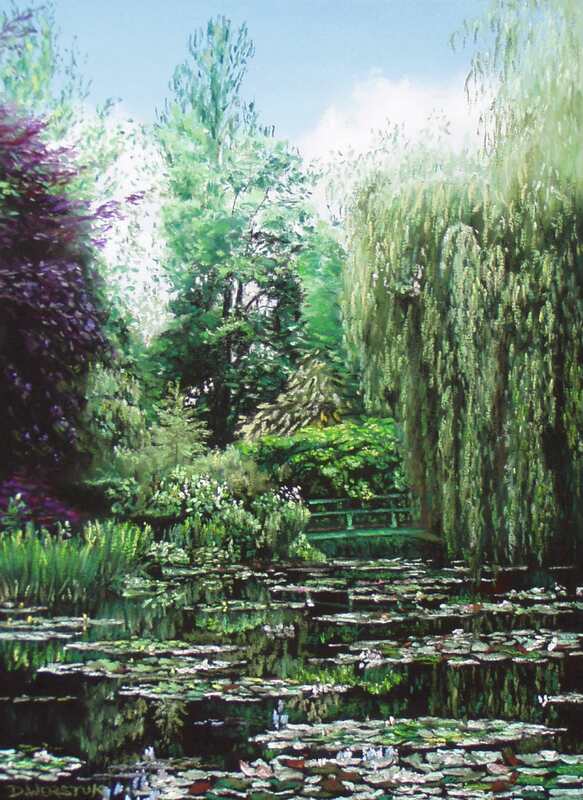 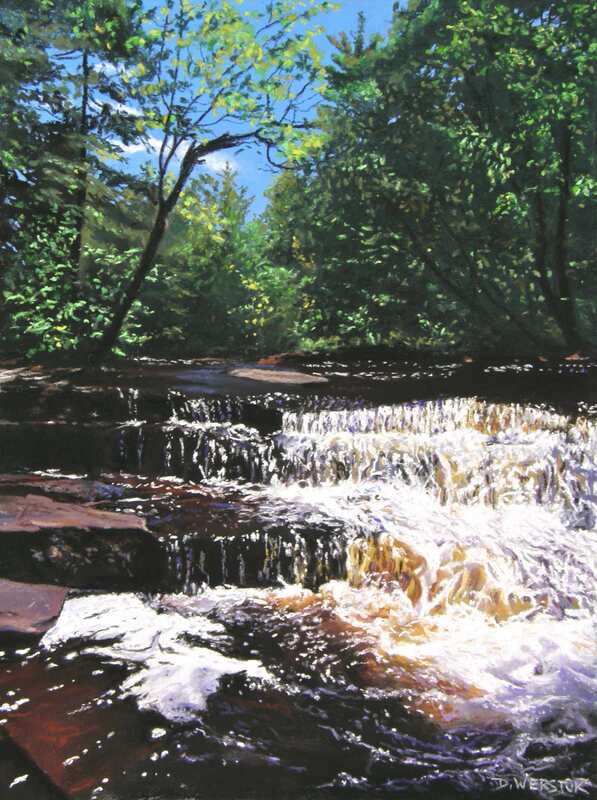 These paintings are wilderness settings and some international paintings from travelling abroad. 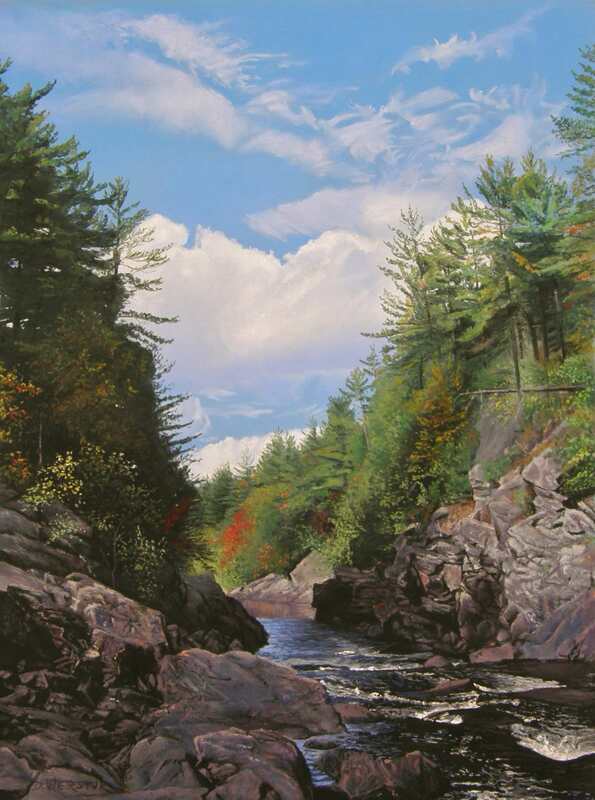 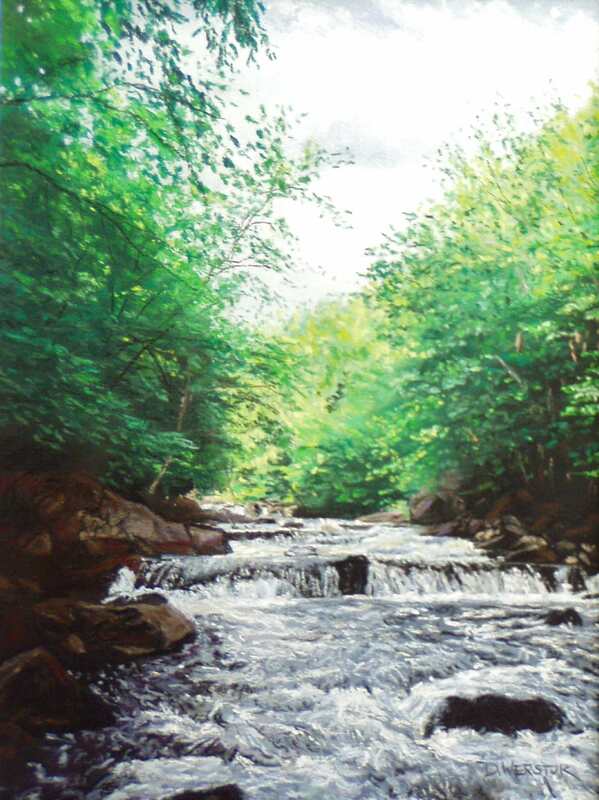 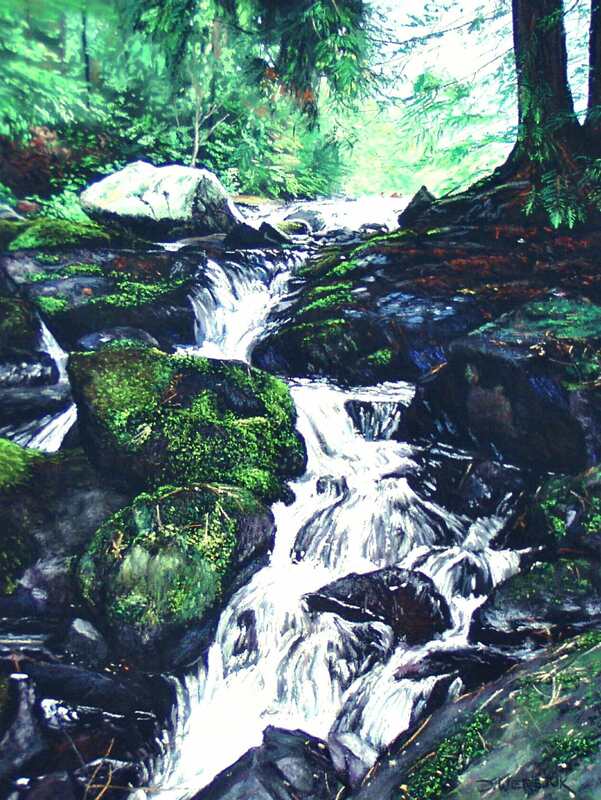 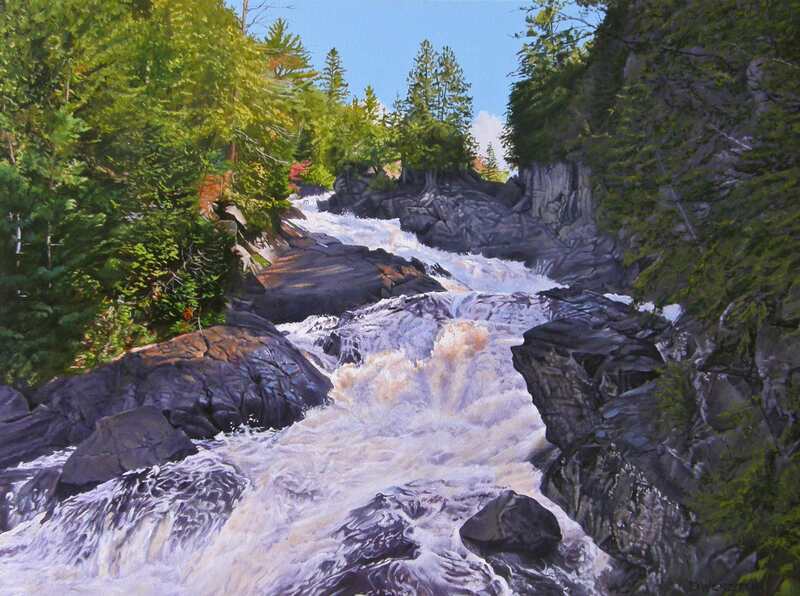 The winding rivers are so interesting as a painting subject, each bend in the river revealing dramatic views. 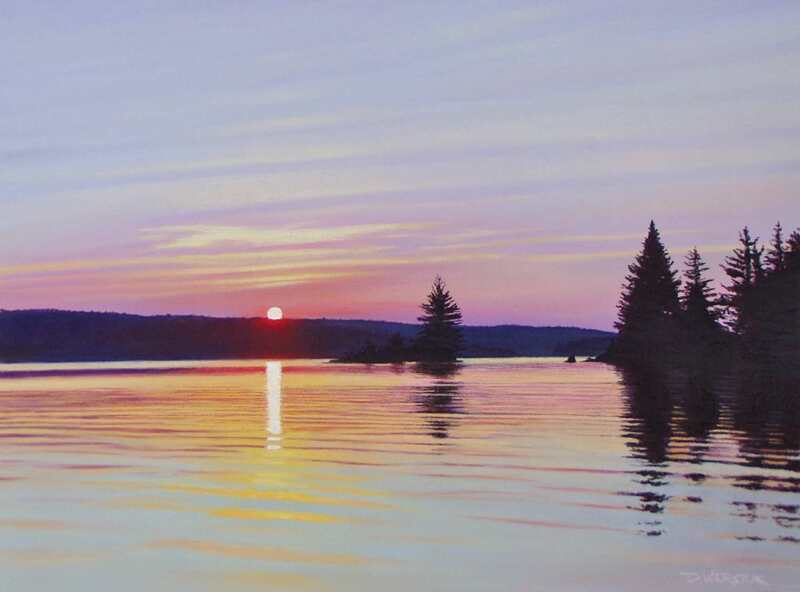 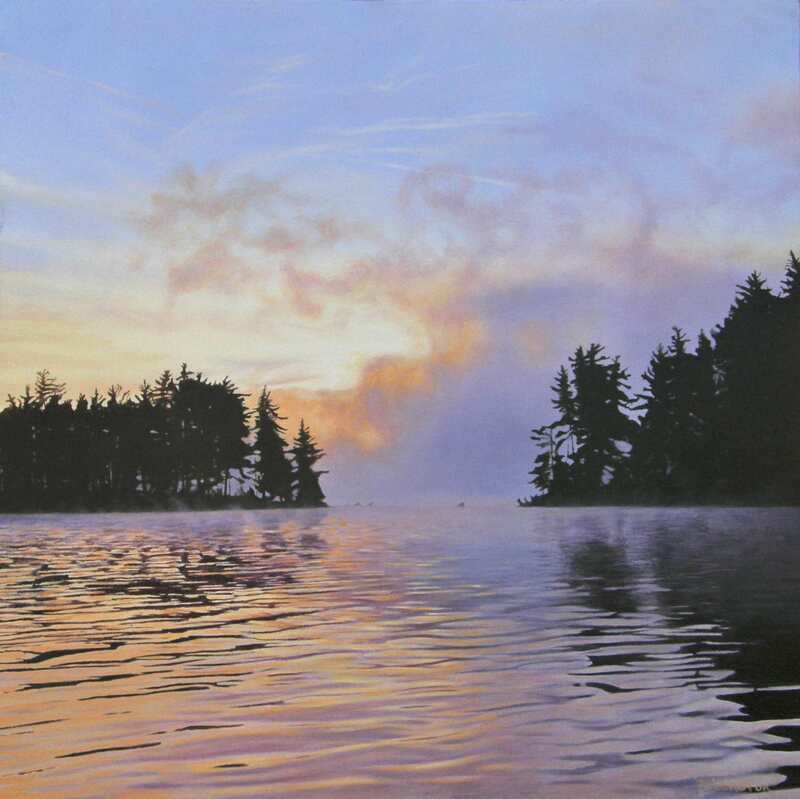 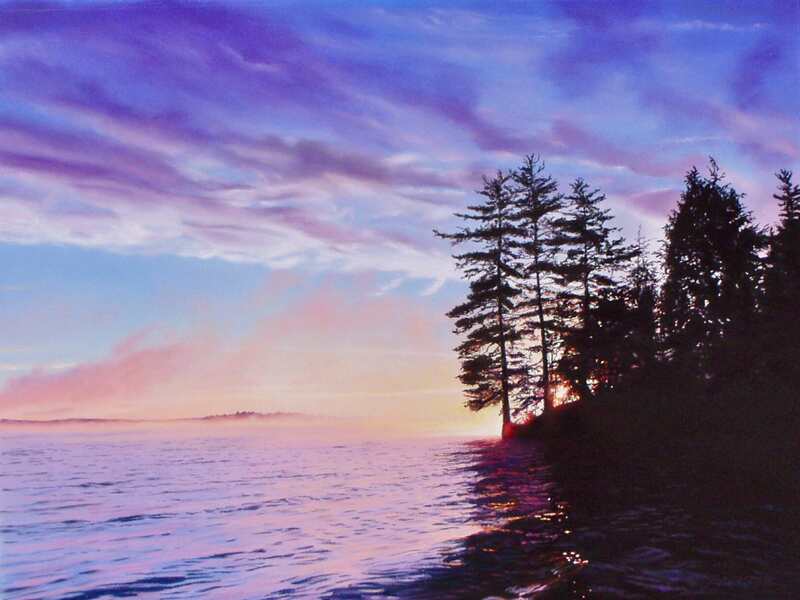 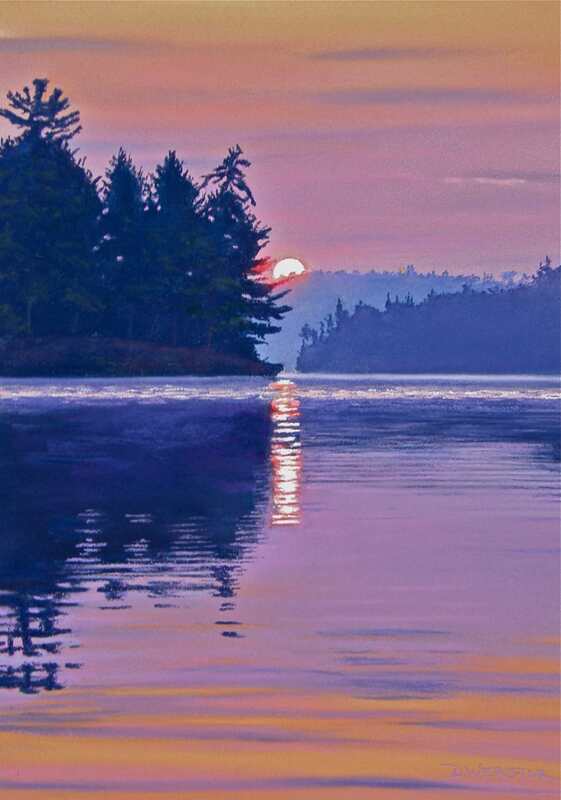 The closing out of each day marked by beautiful sunsets, the paintings here capture the subtlety of colour and shade which challenge the artist. 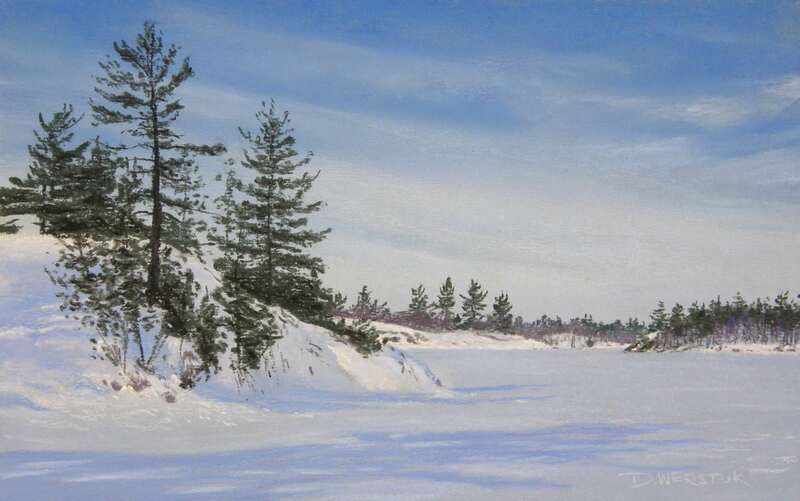 Dan enjoys that winter has especially provided new opportunities to capture the quiet beauty of winter scenes in remote places. 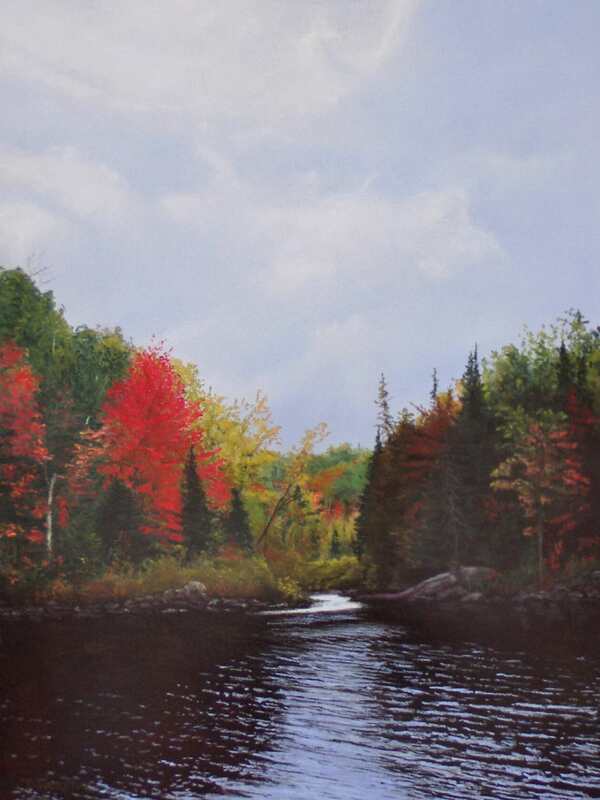 The artwork on this web site is not to be copied, sold, traded, or given away. 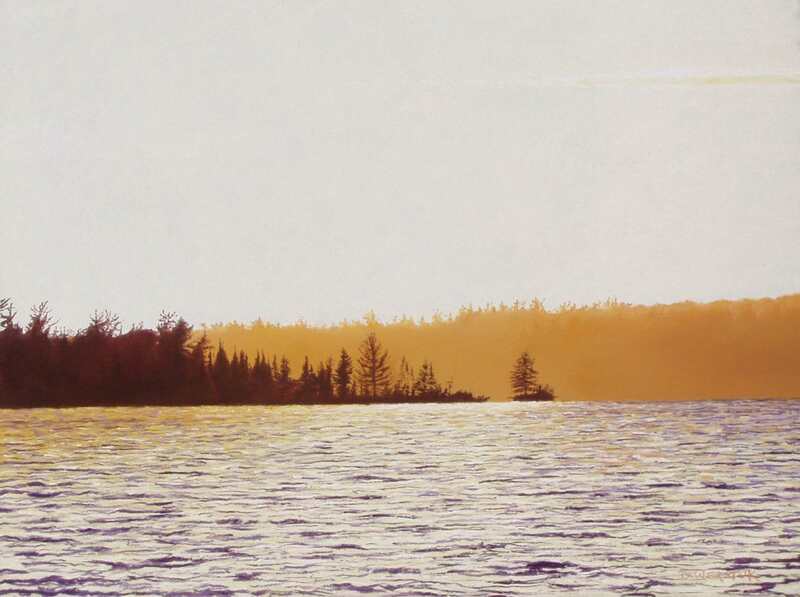 Any copying, manipulation, publishing or other transfer of these materials is strictly prohibited.